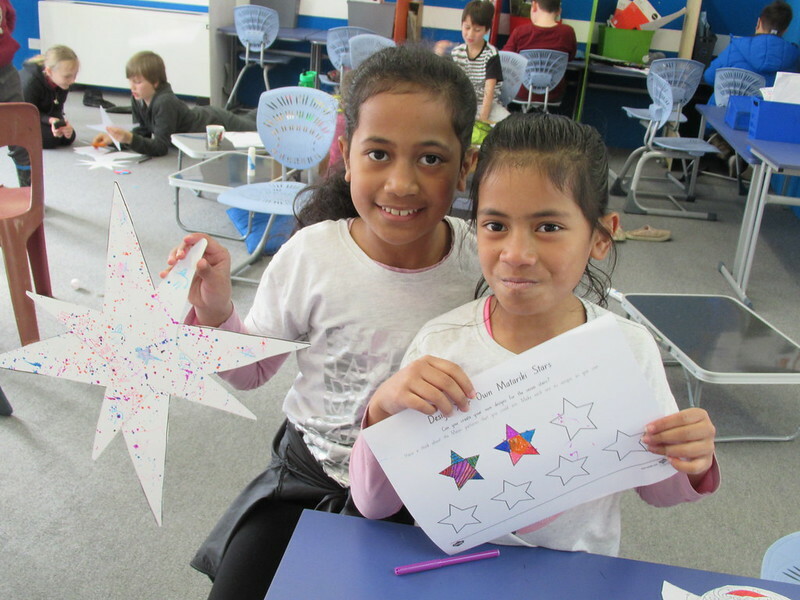 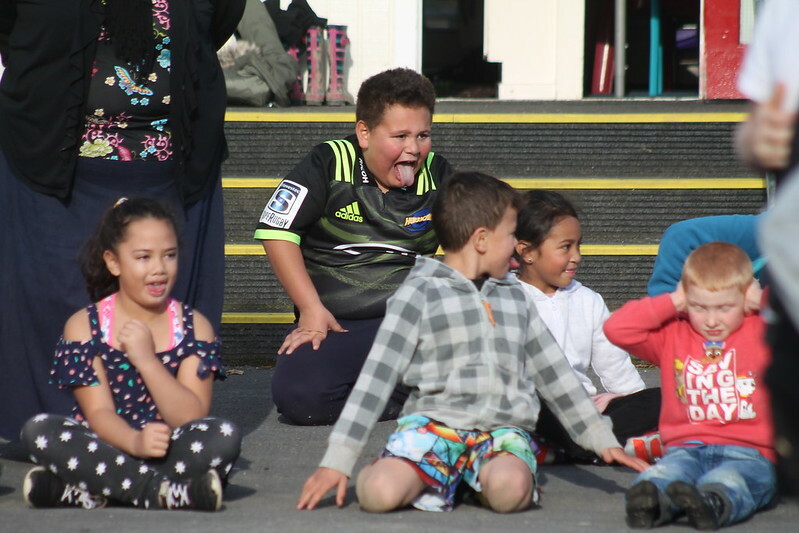 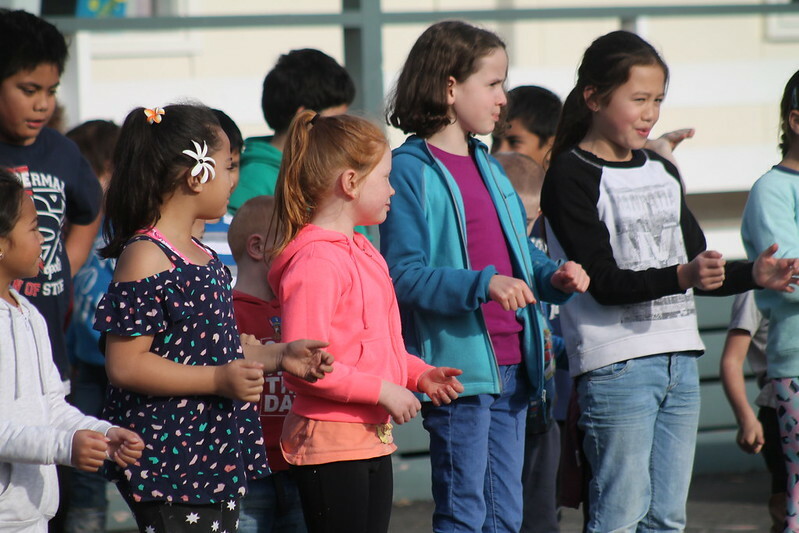 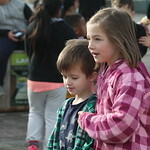 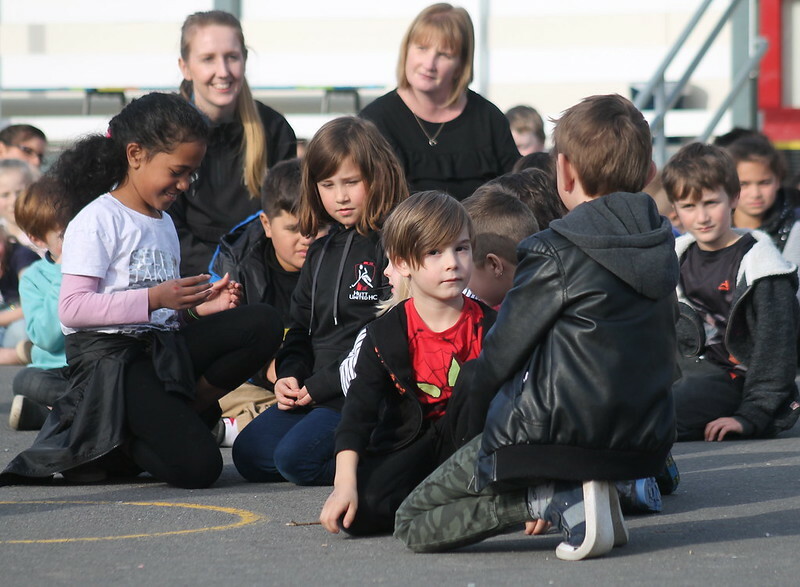 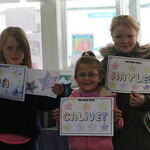 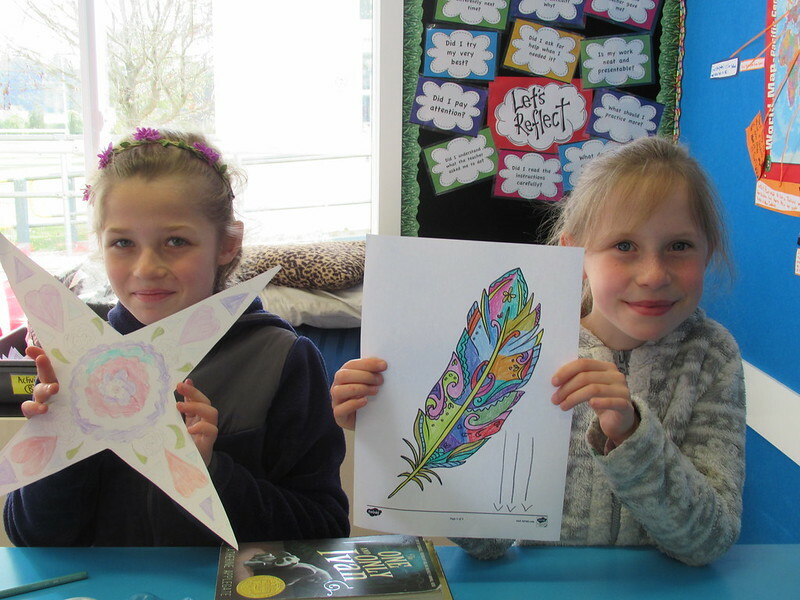 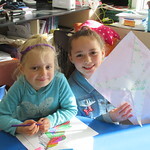 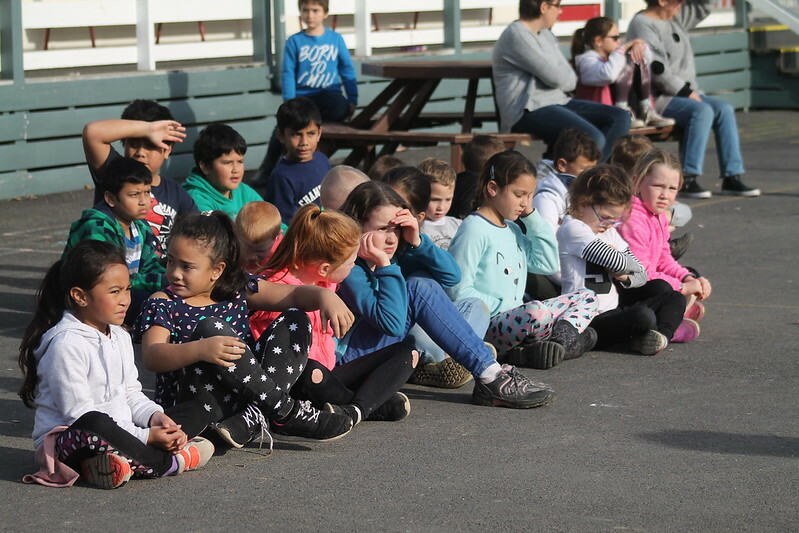 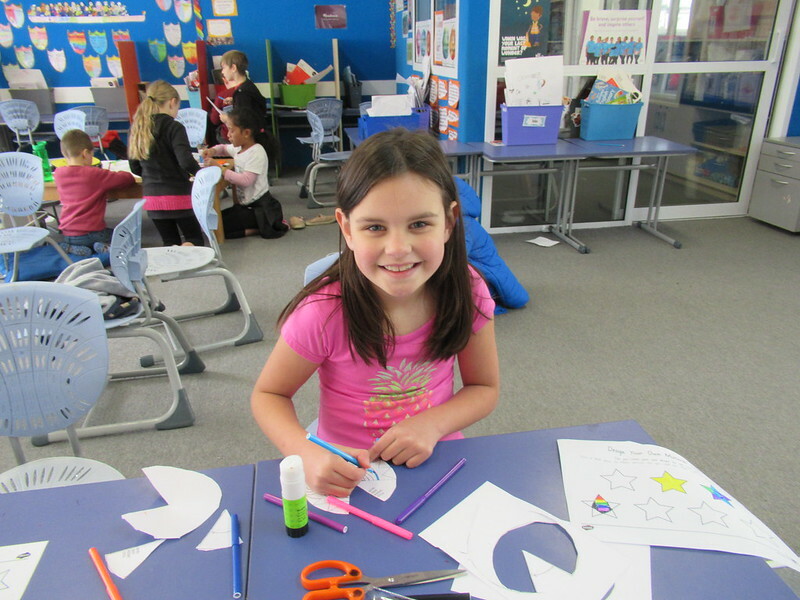 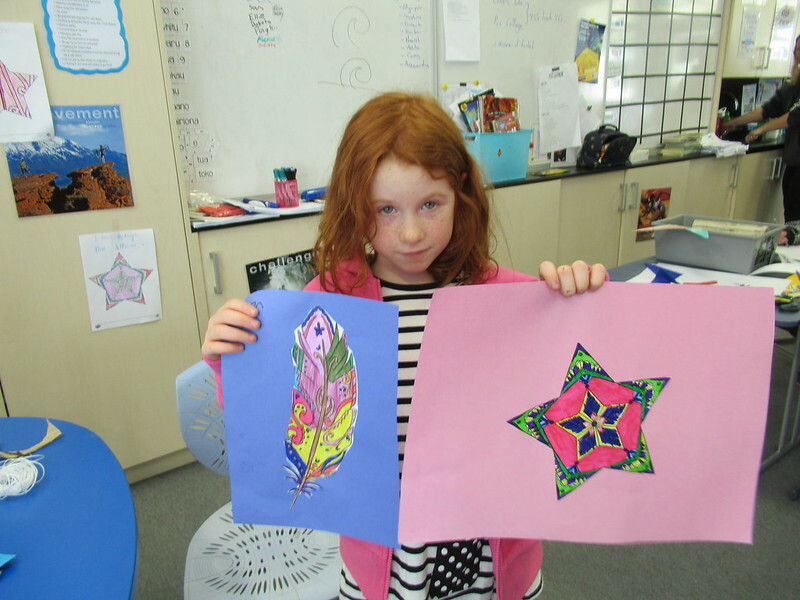 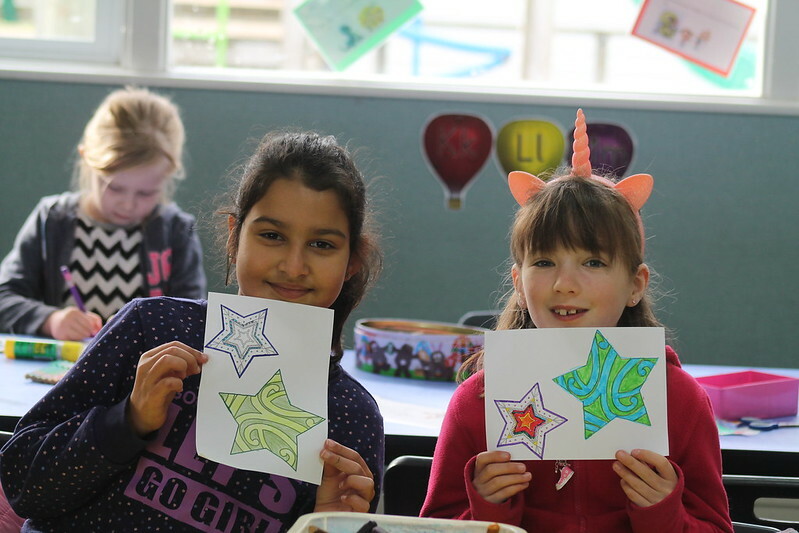 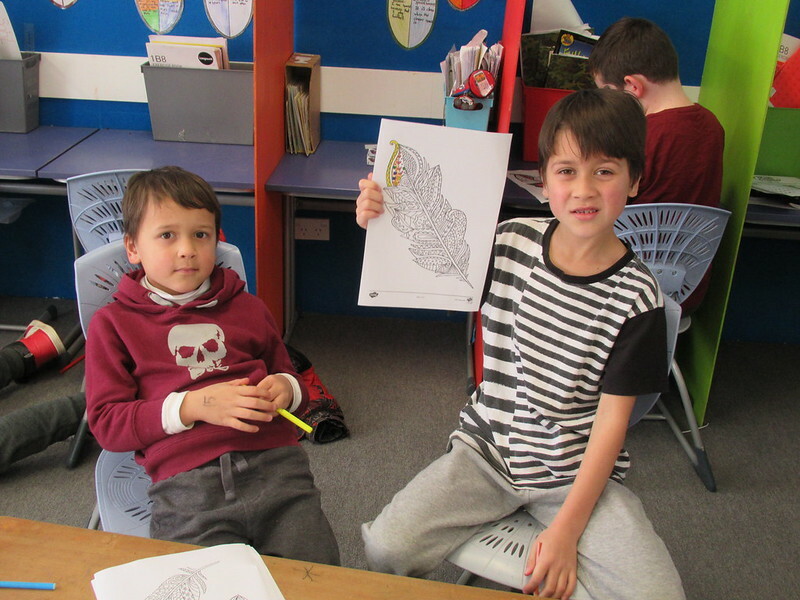 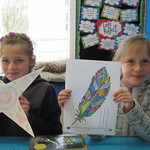 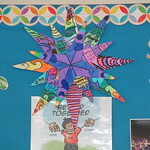 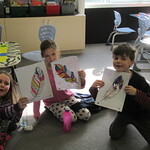 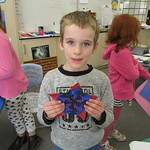 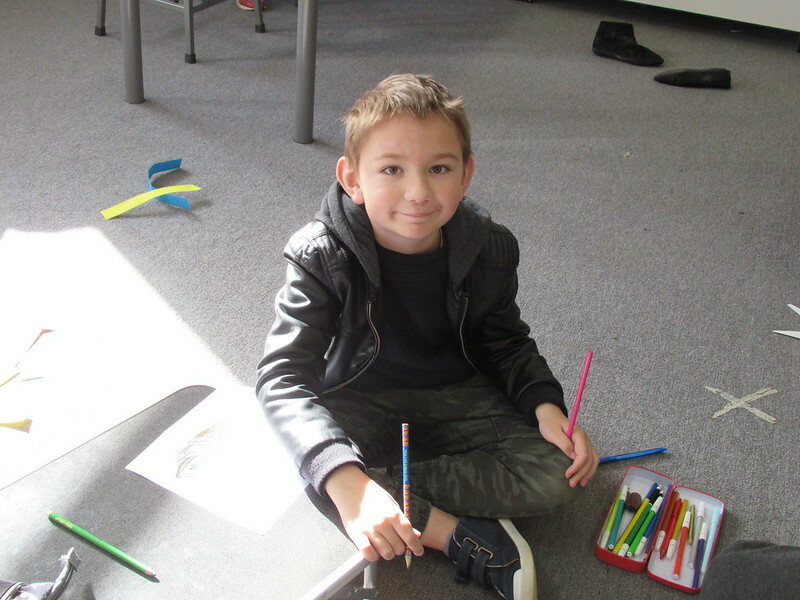 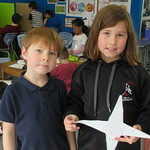 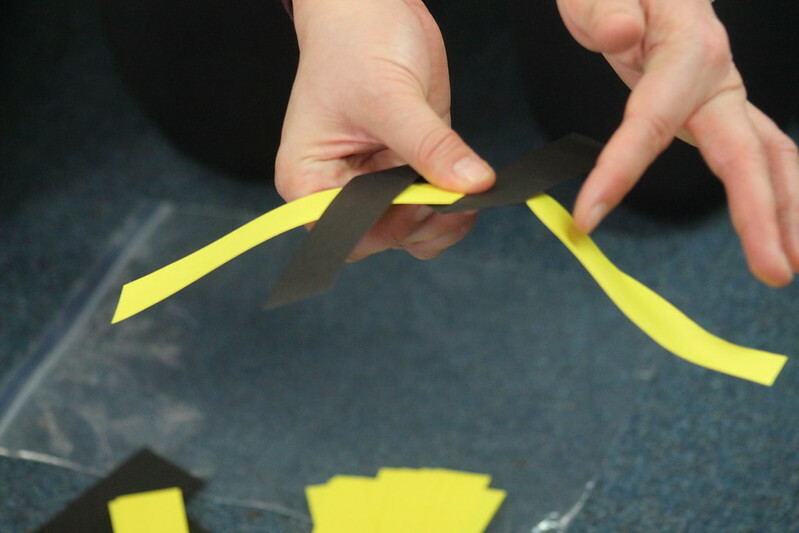 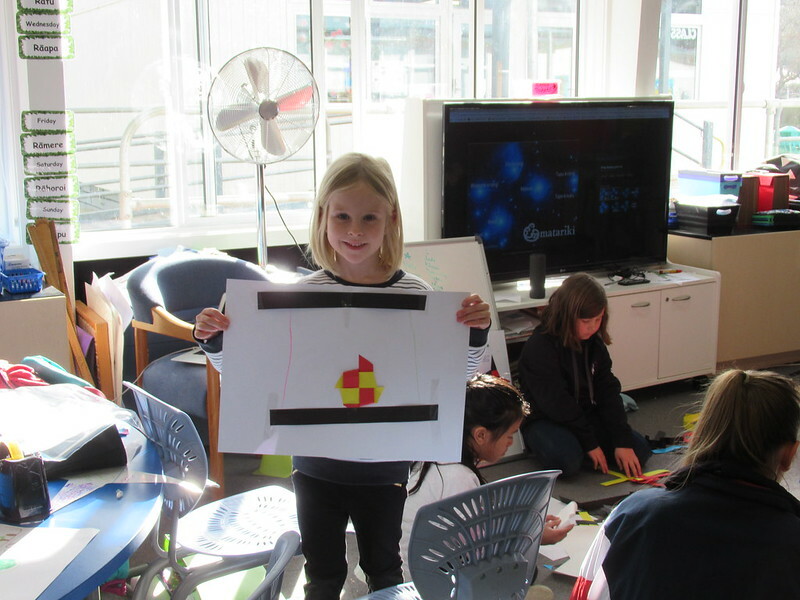 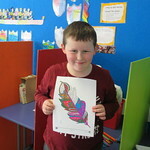 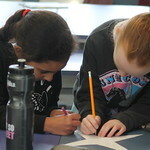 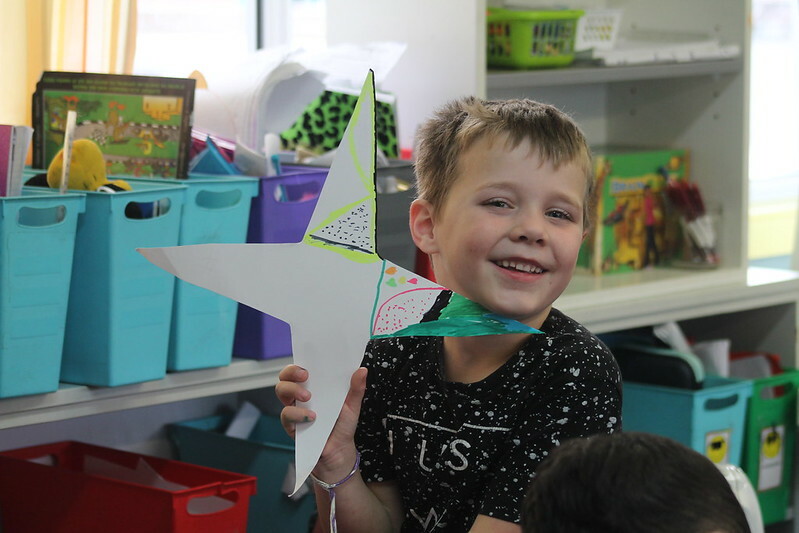 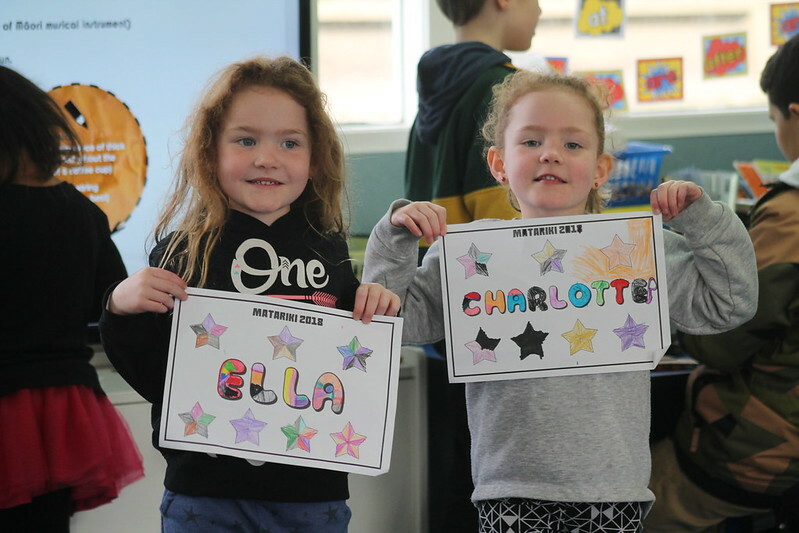 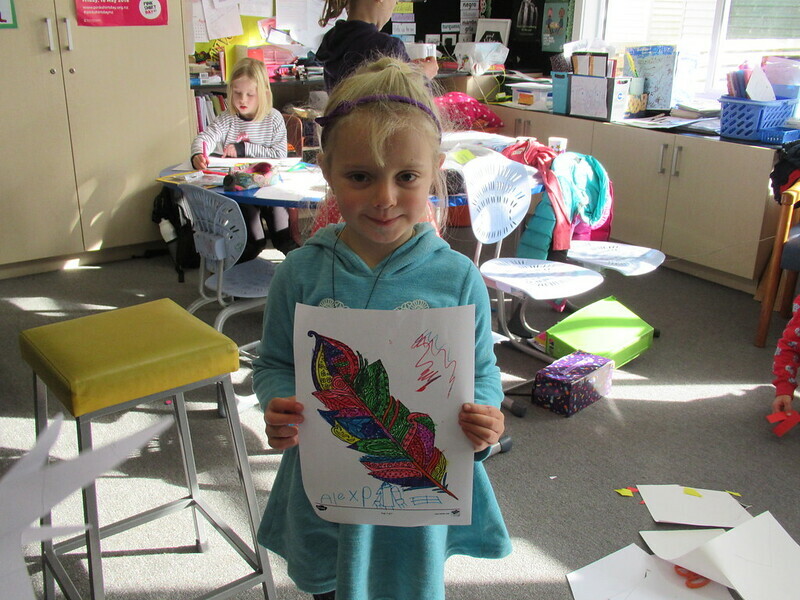 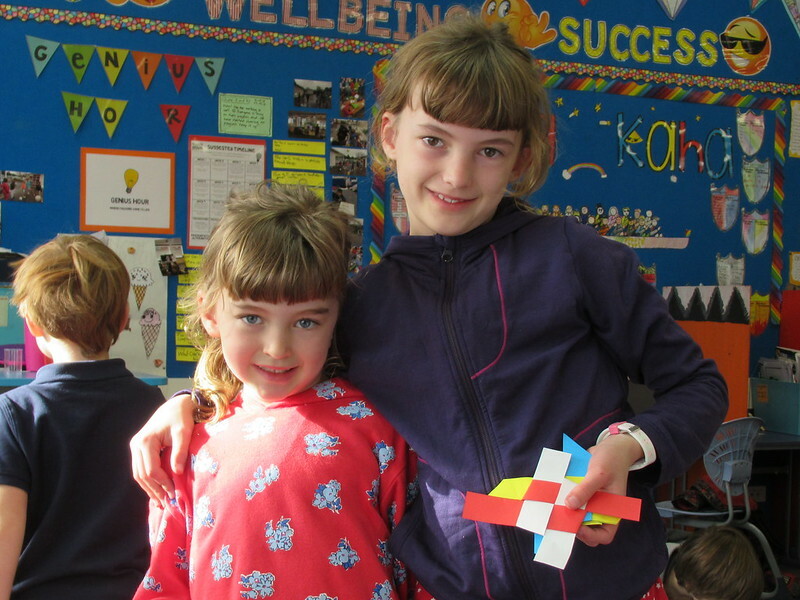 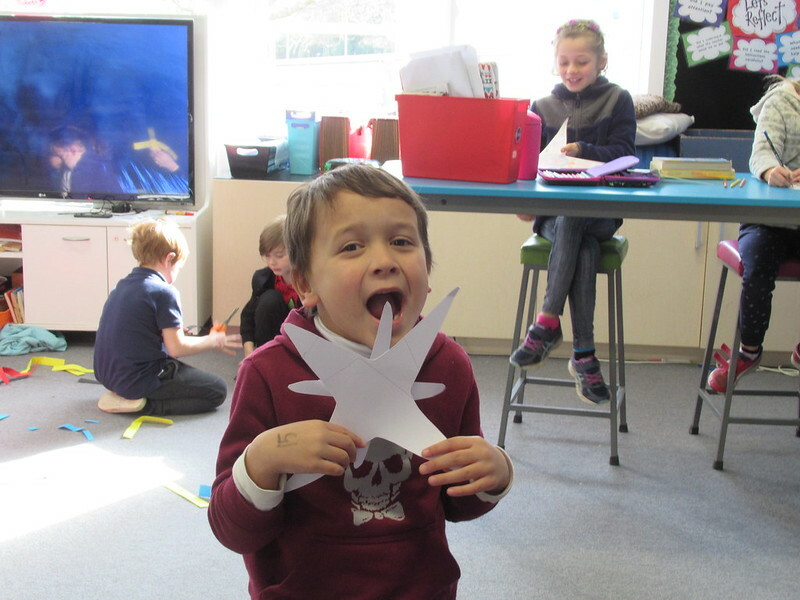 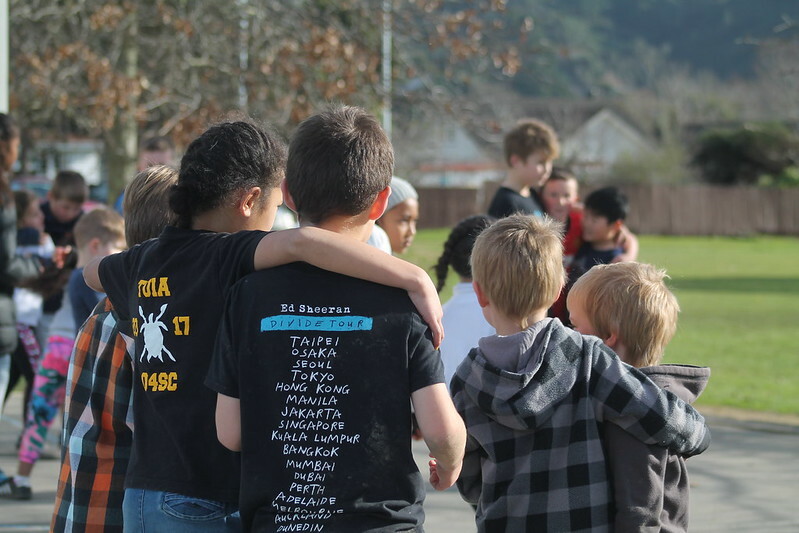 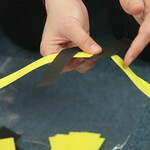 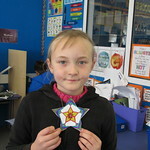 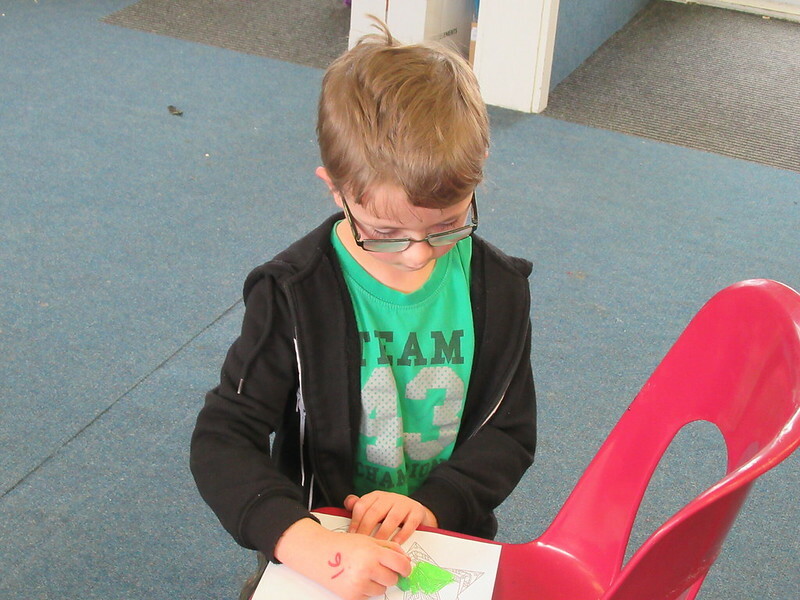 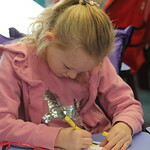 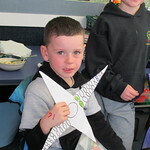 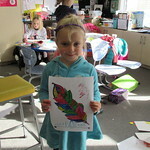 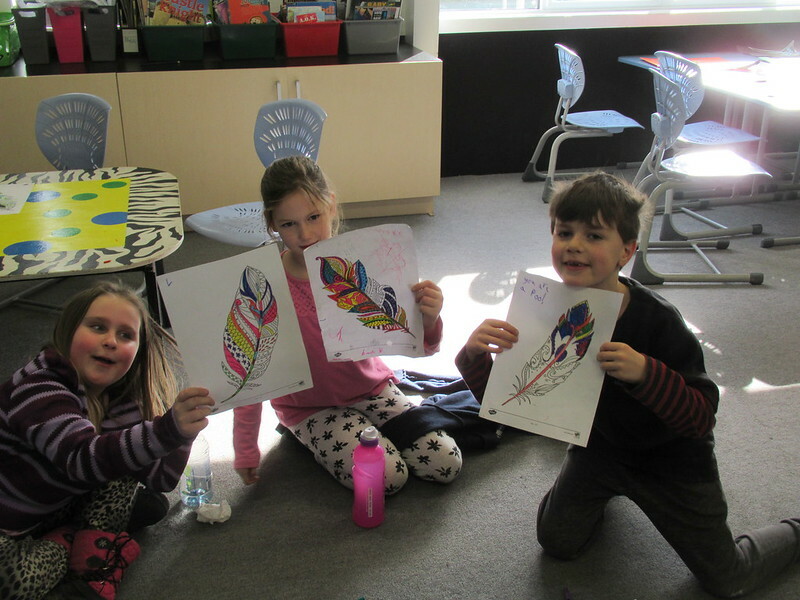 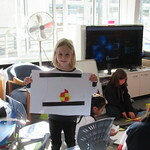 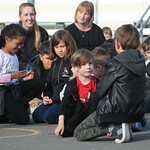 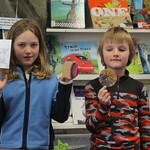 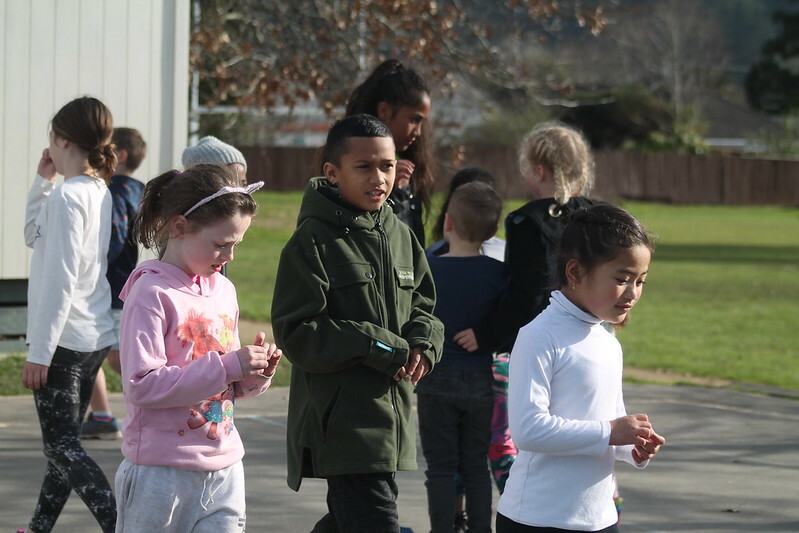 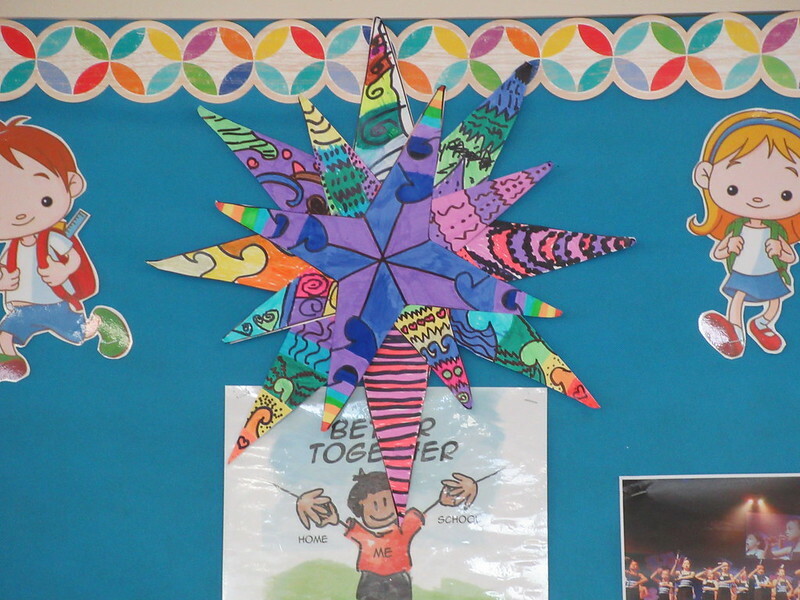 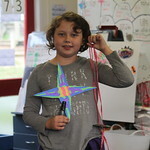 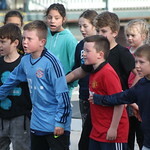 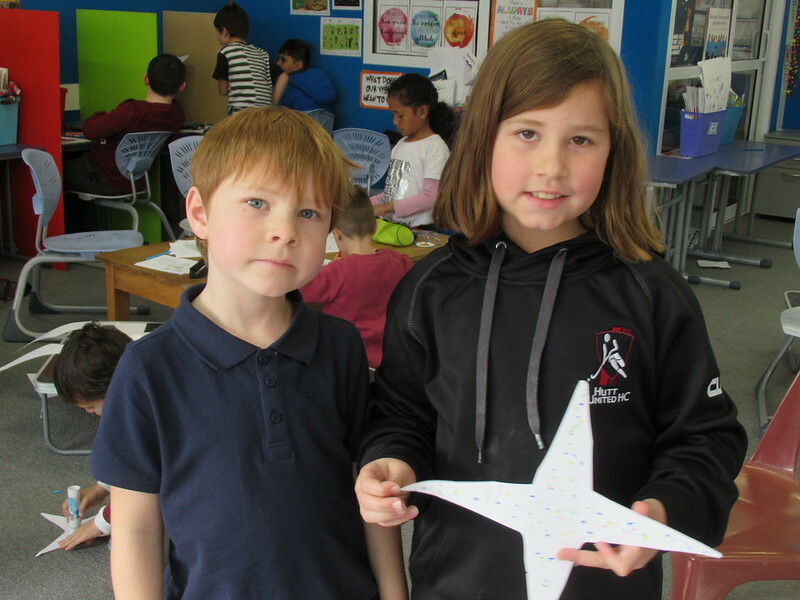 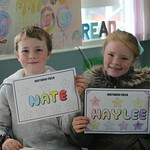 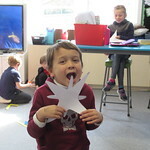 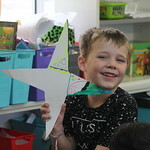 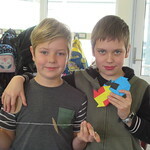 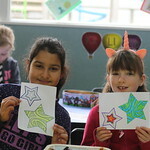 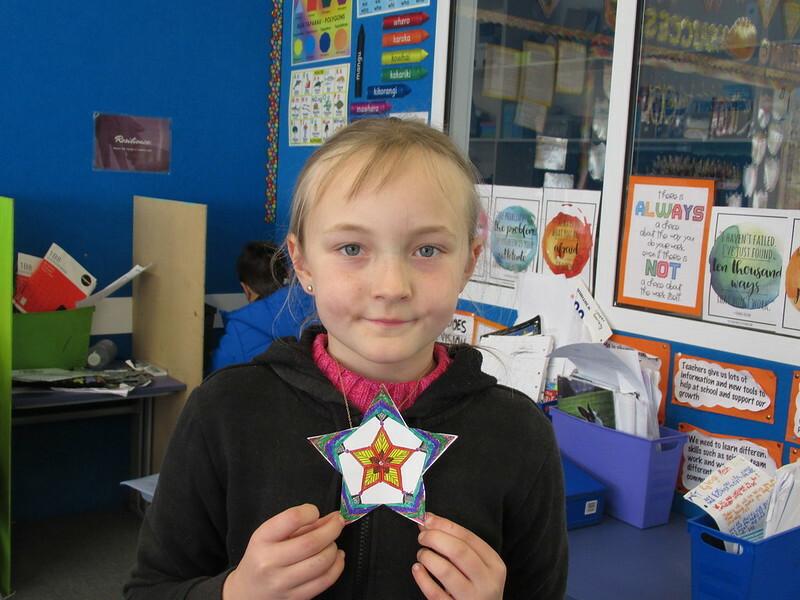 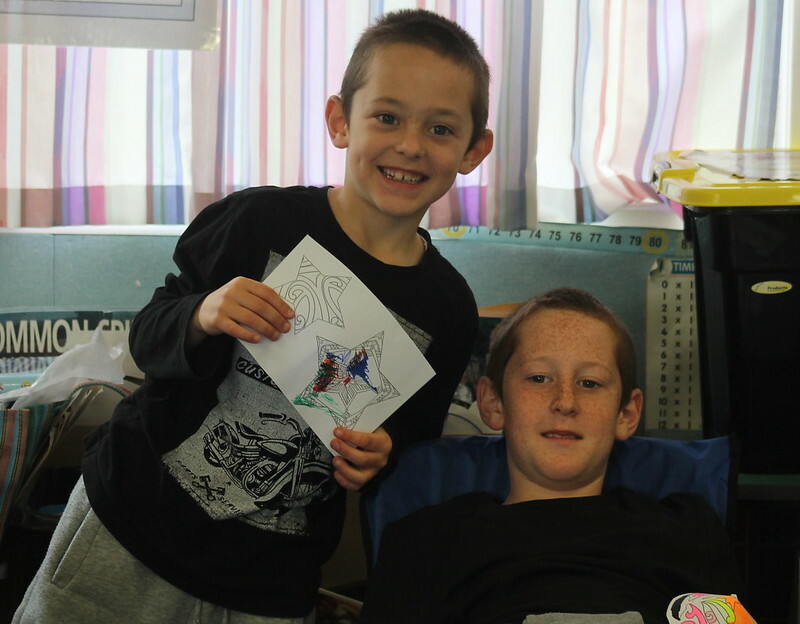 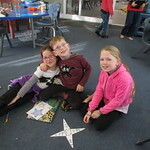 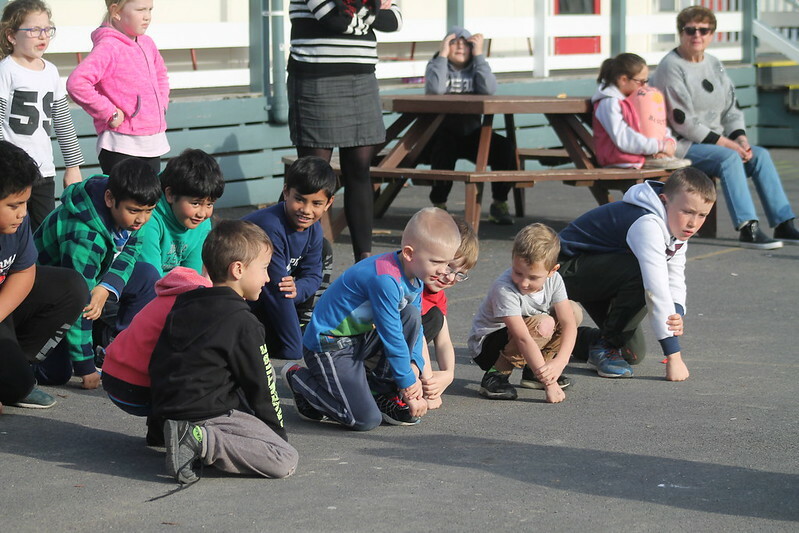 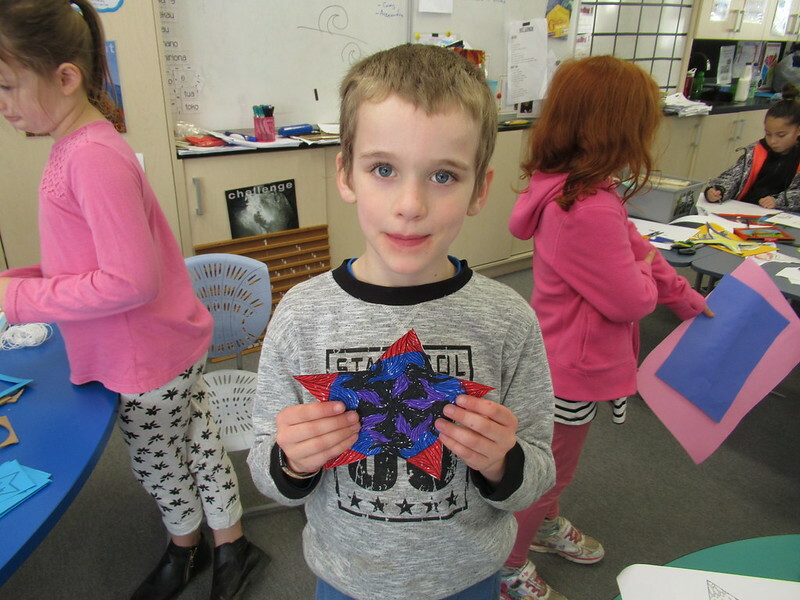 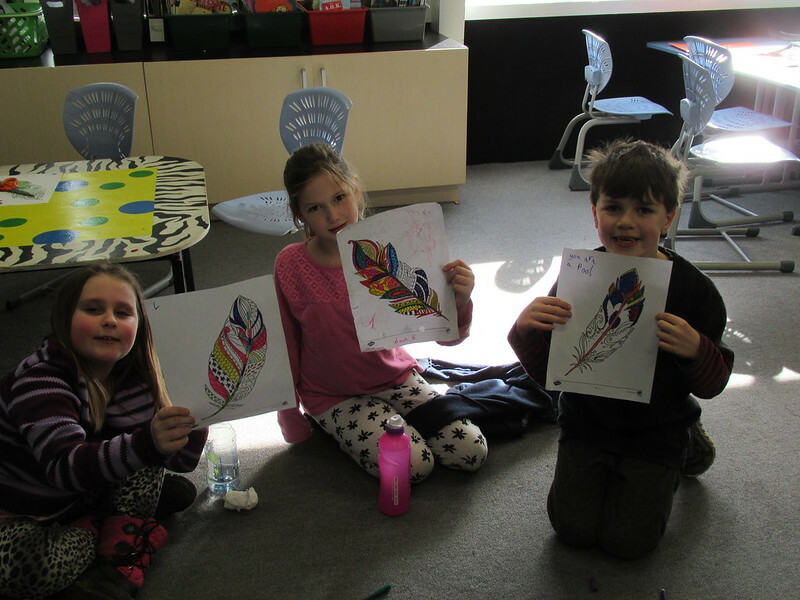 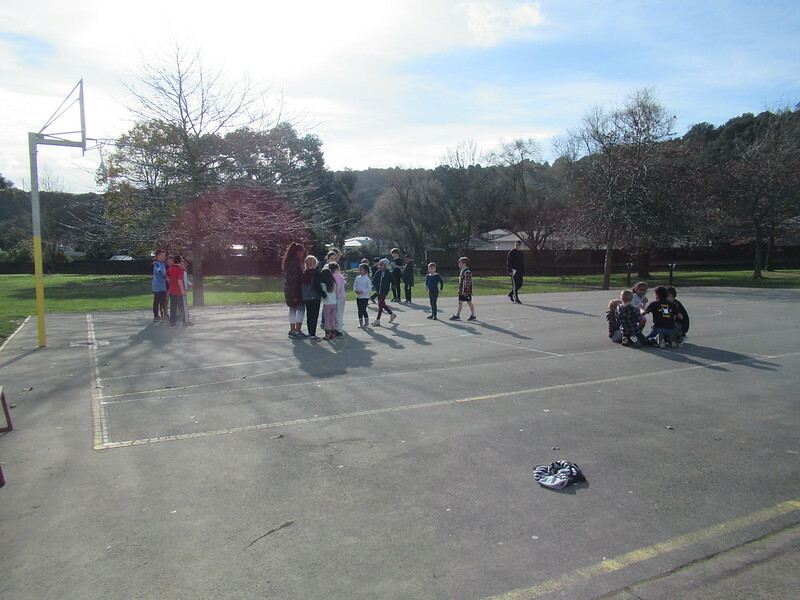 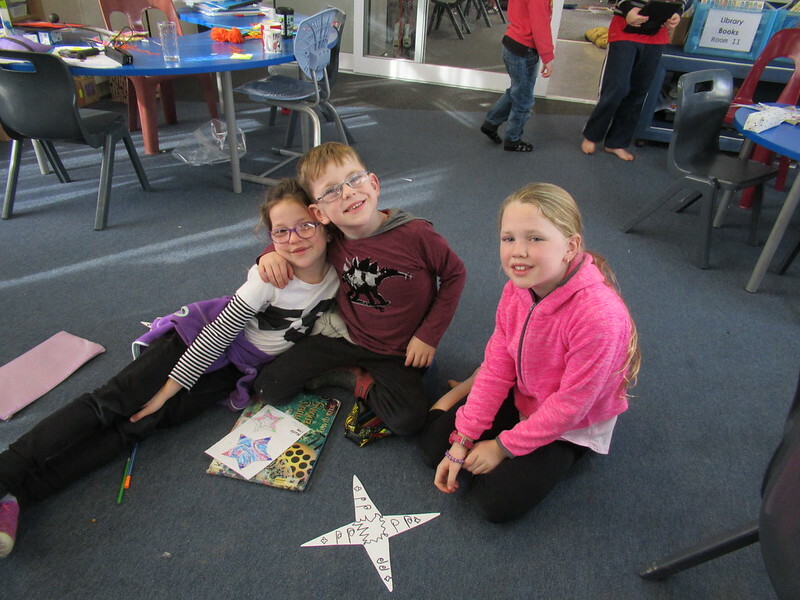 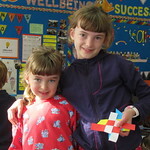 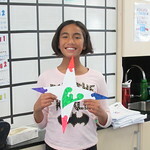 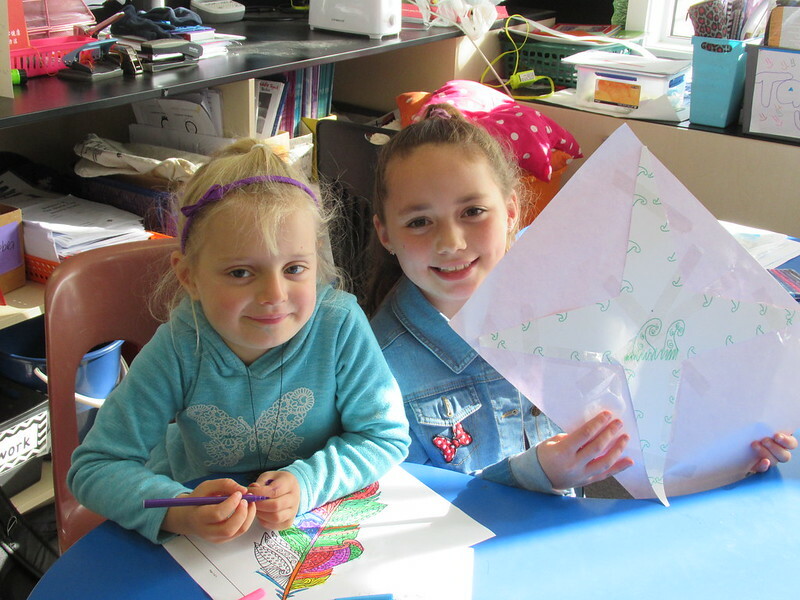 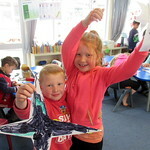 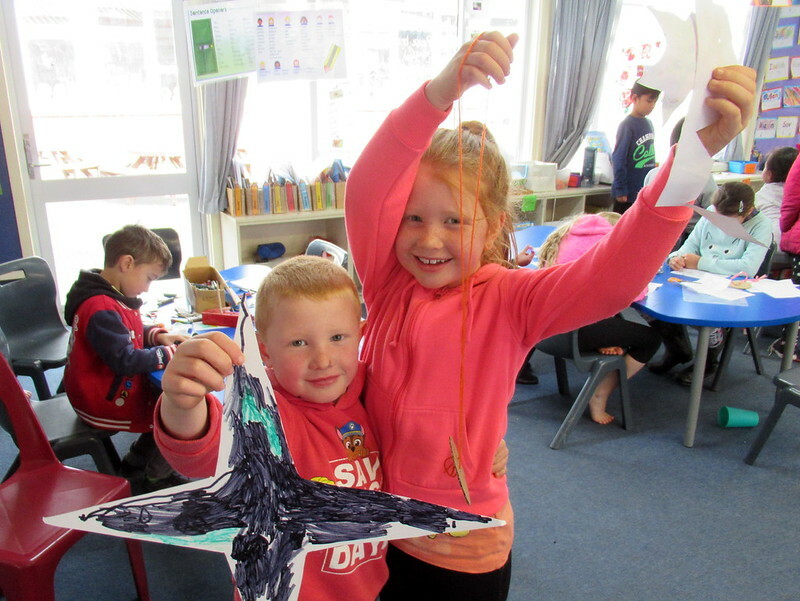 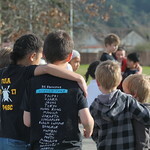 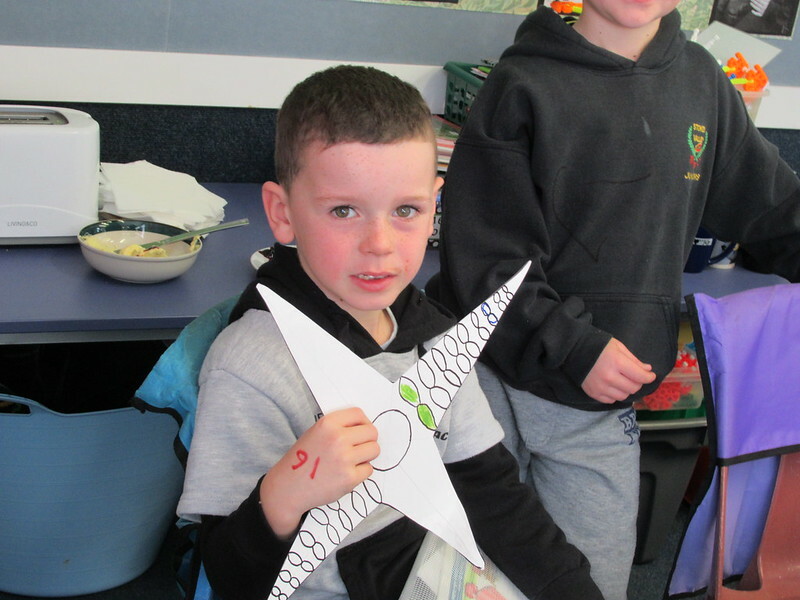 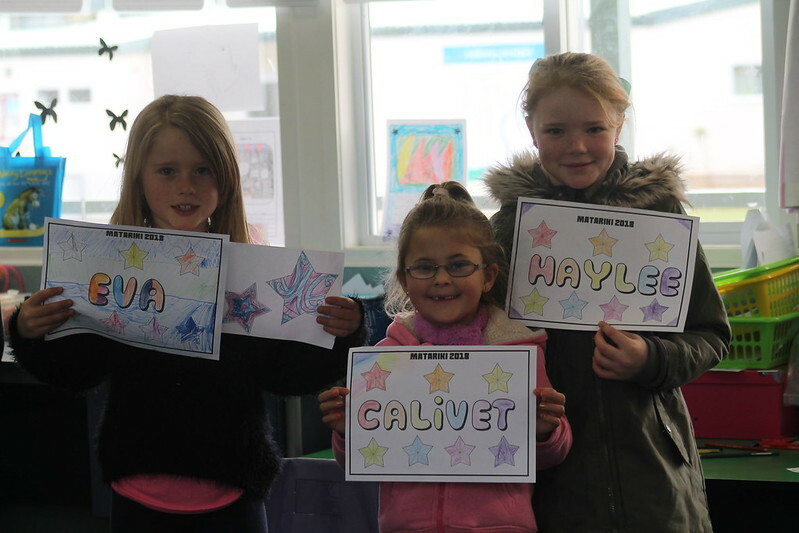 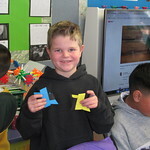 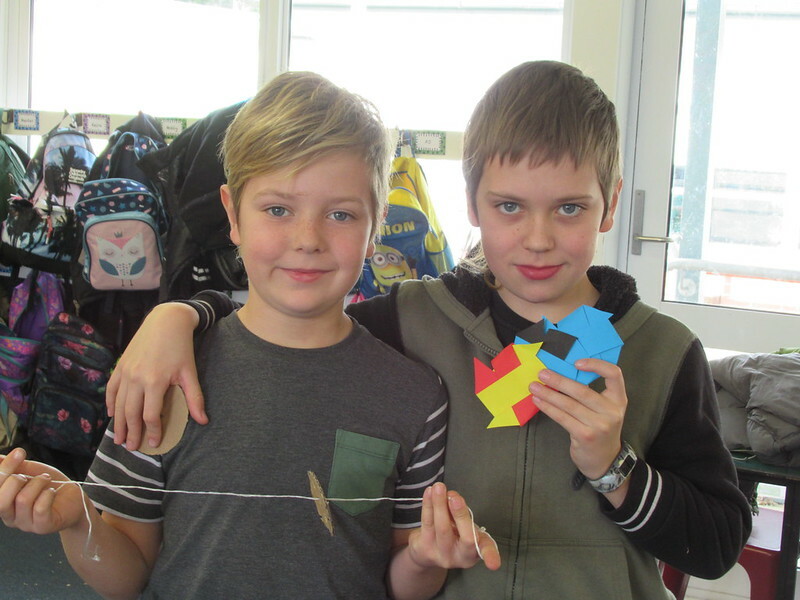 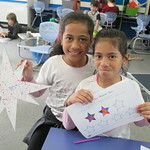 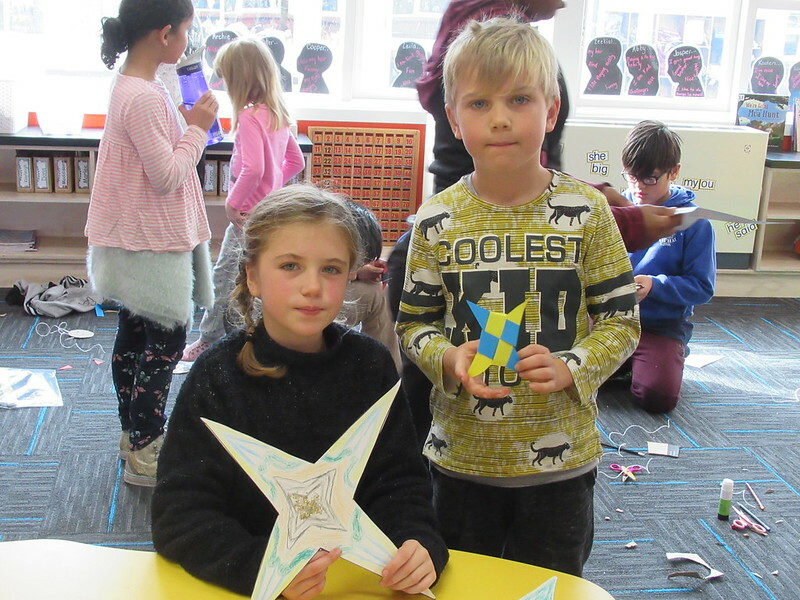 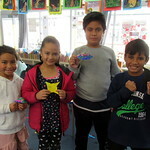 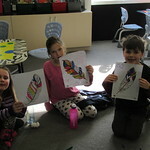 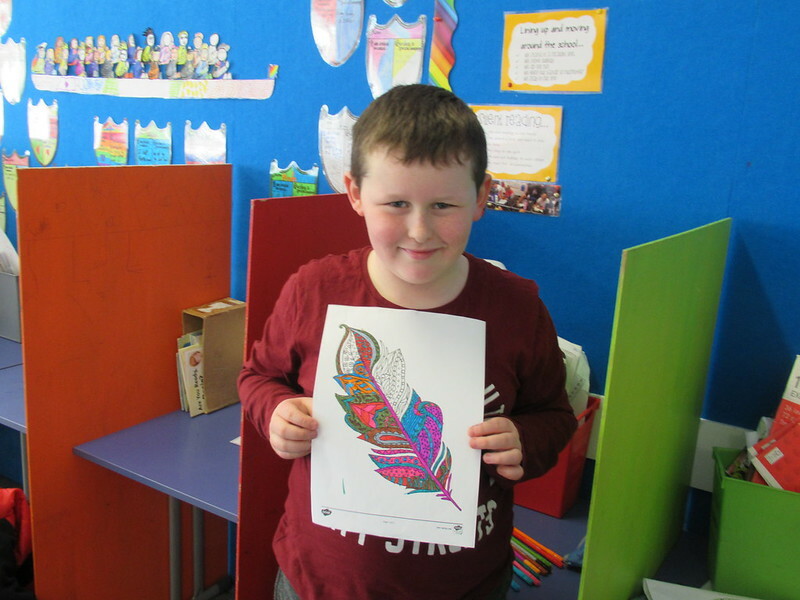 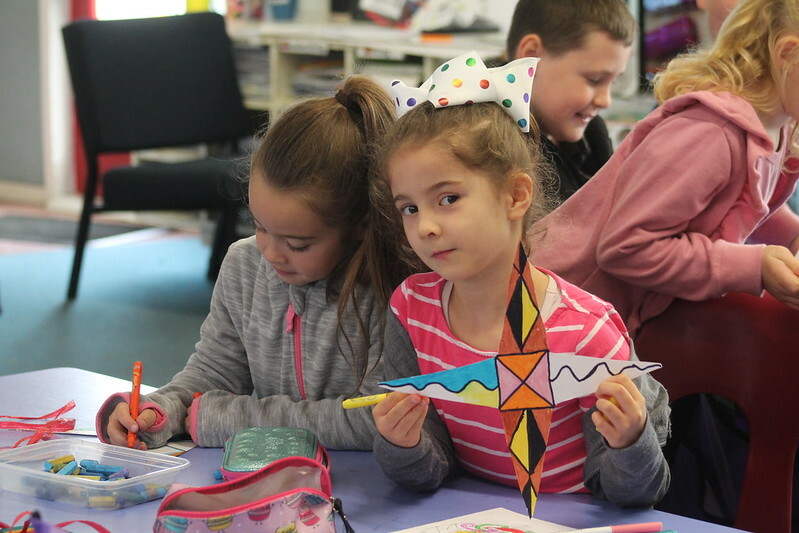 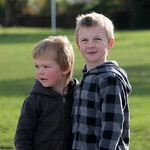 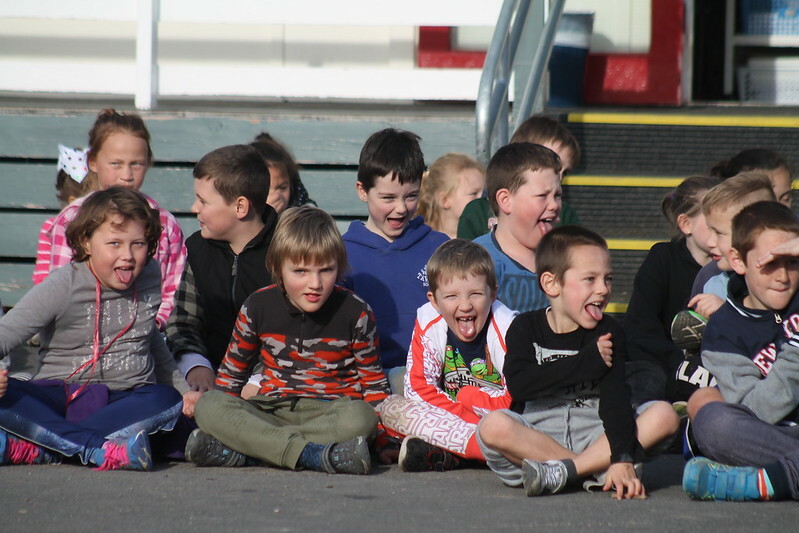 The sun really shone upon us today as we celebrated Matariki & Super Wellbeing Time. 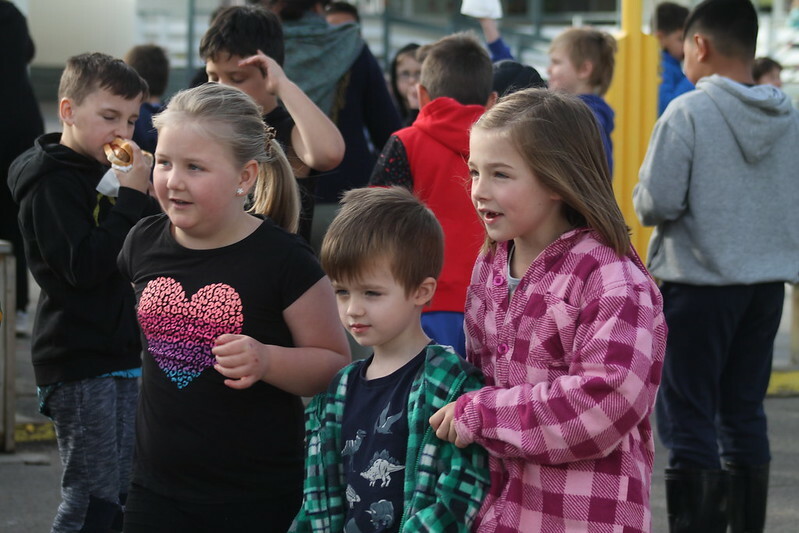 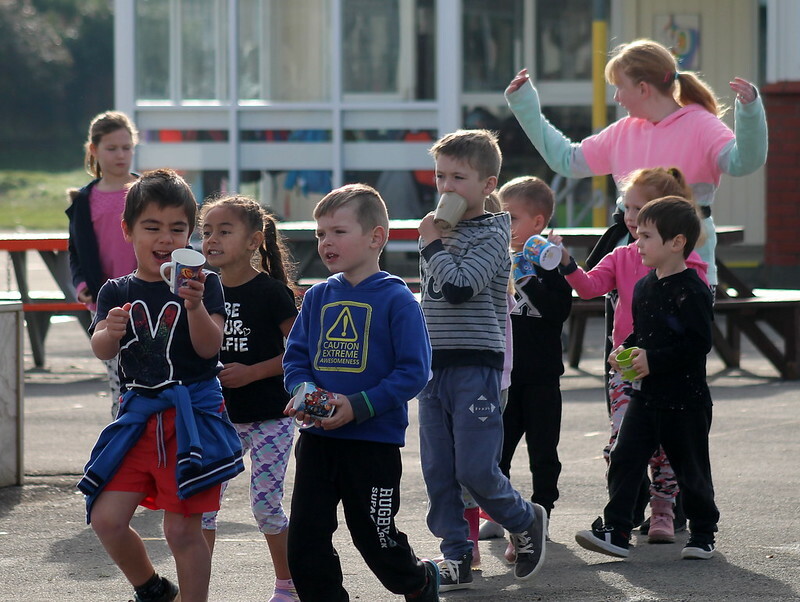 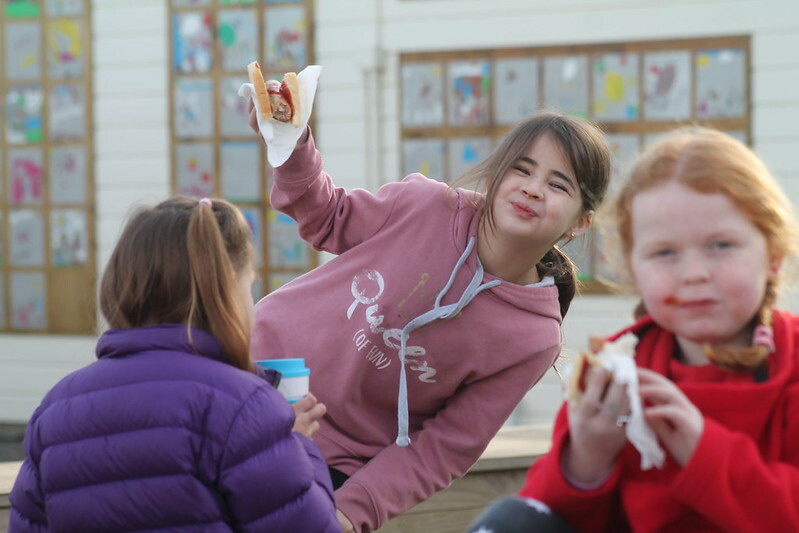 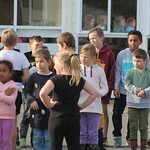 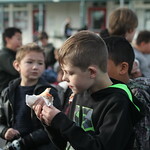 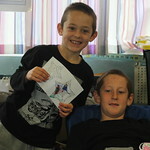 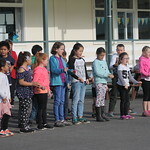 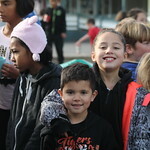 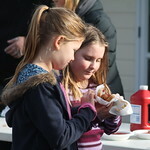 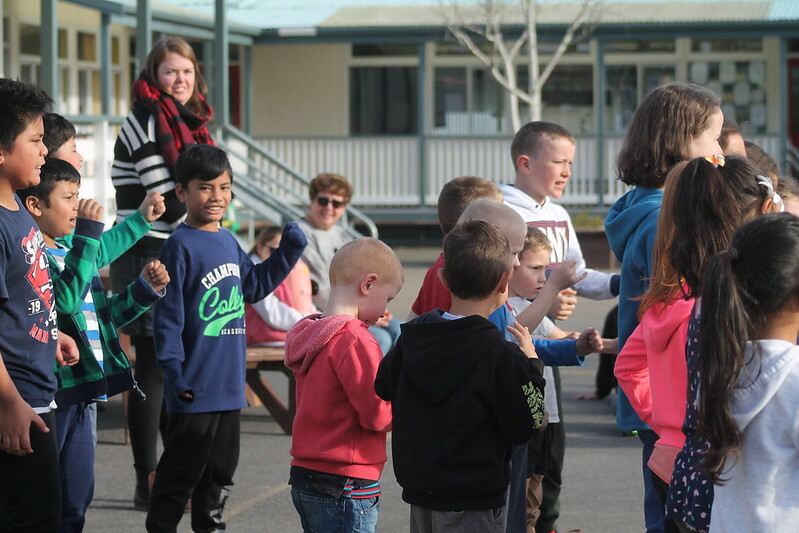 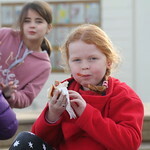 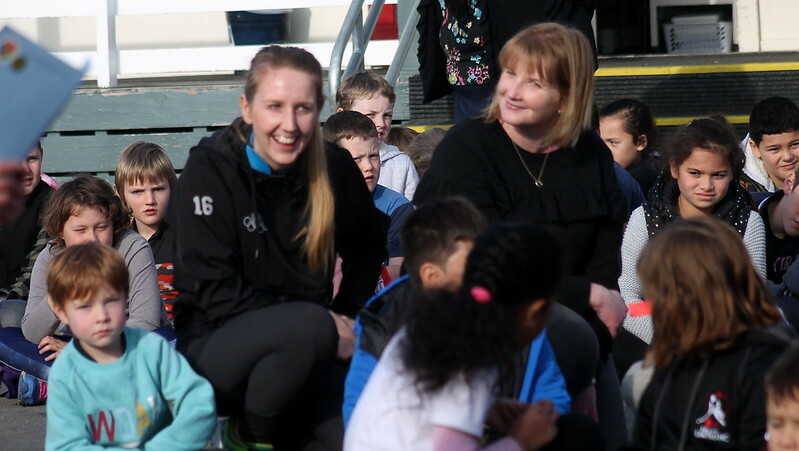 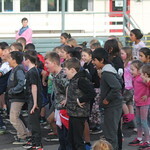 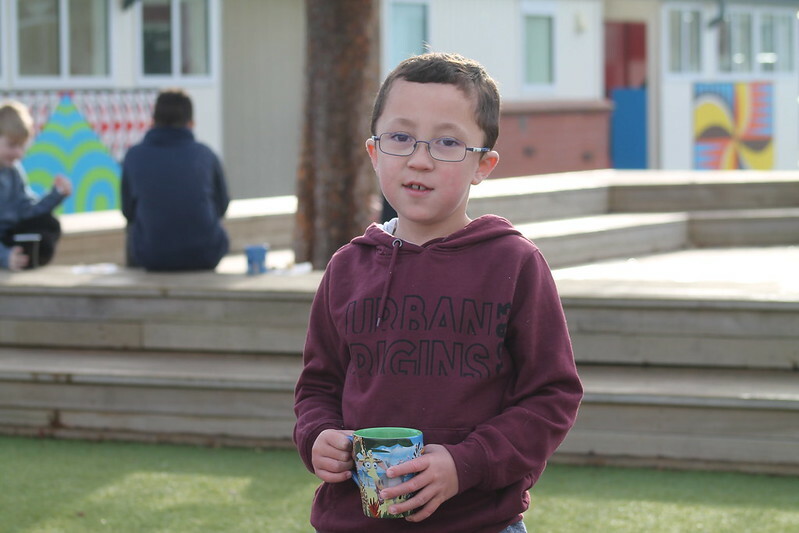 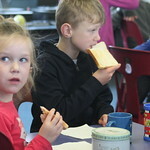 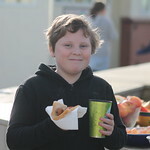 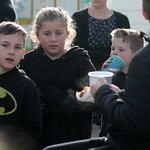 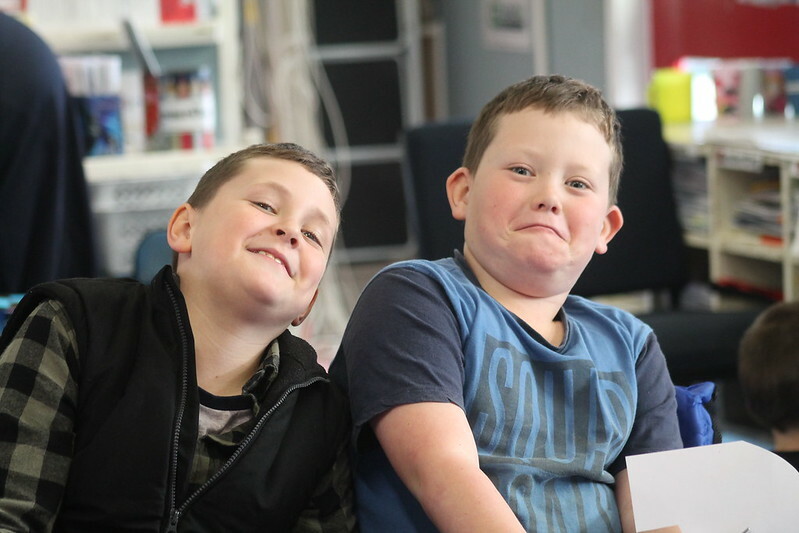 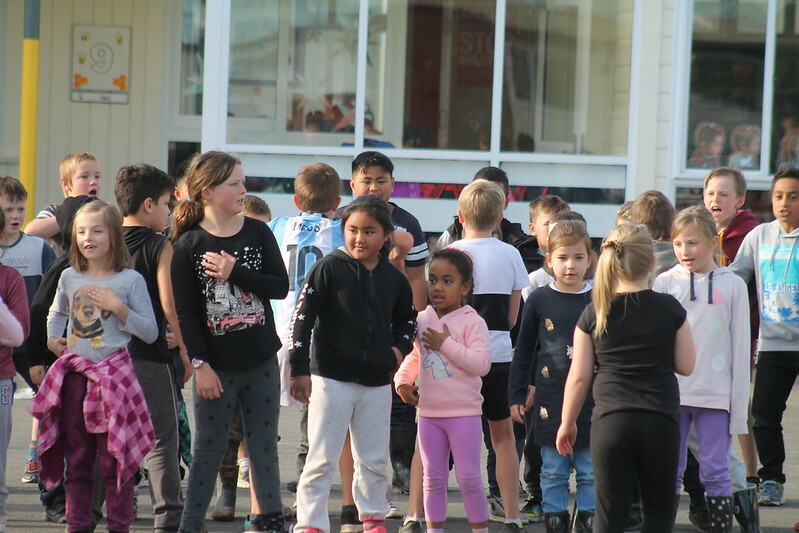 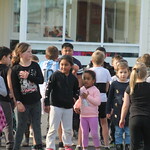 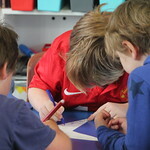 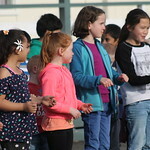 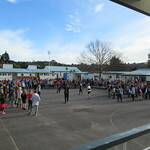 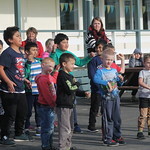 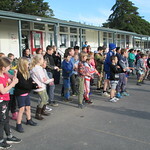 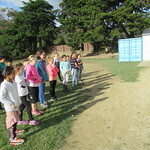 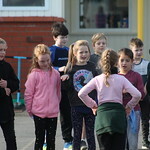 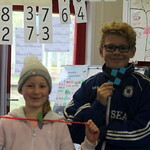 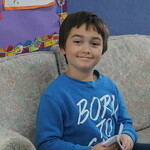 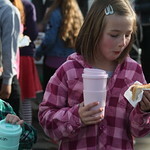 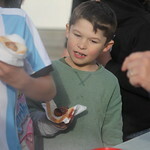 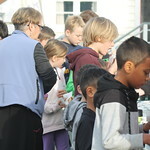 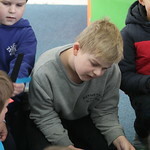 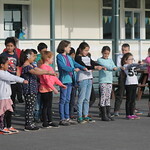 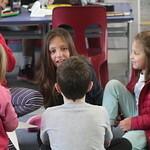 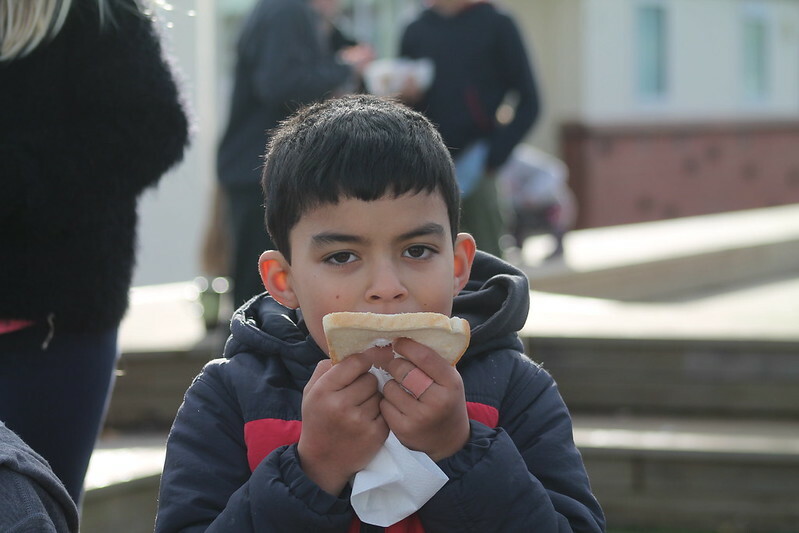 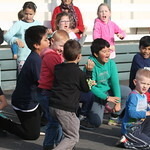 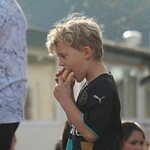 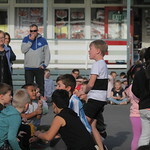 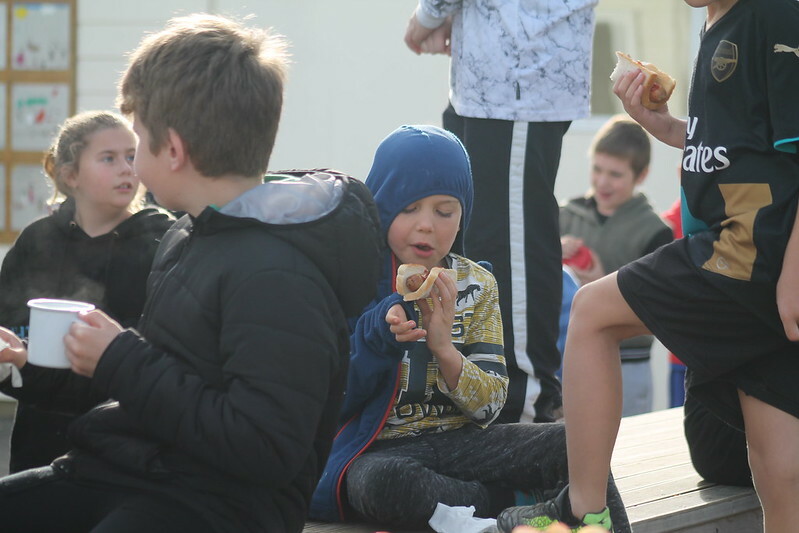 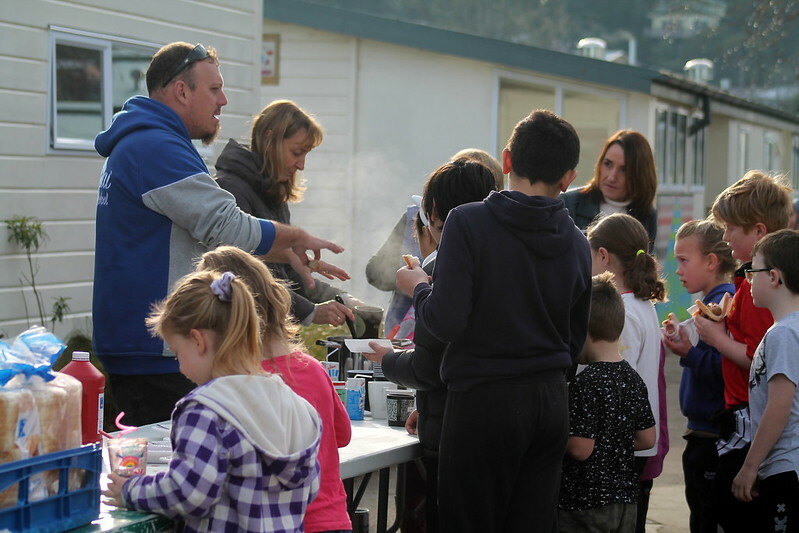 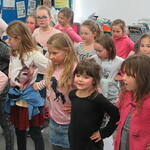 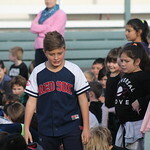 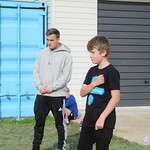 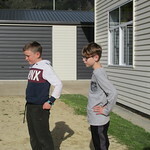 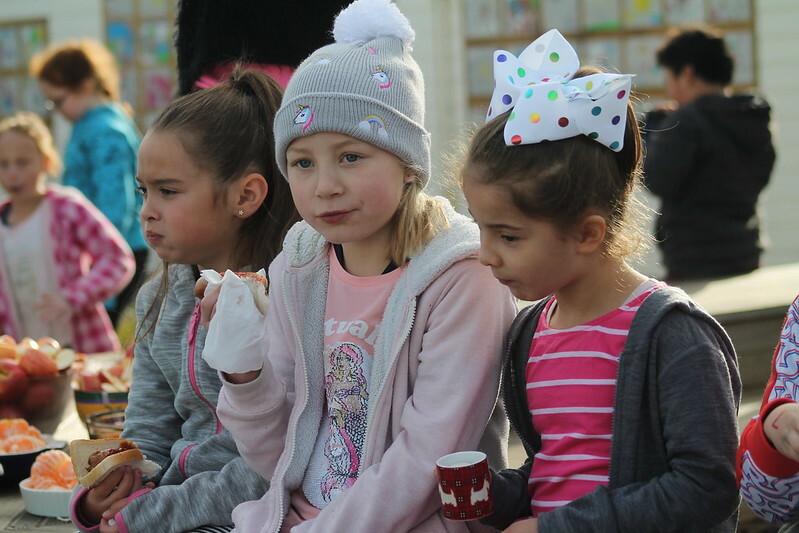 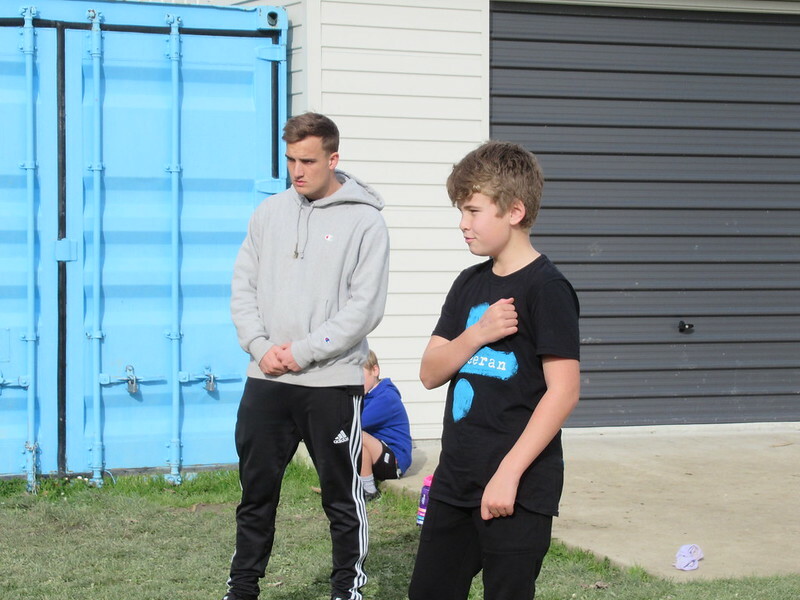 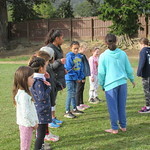 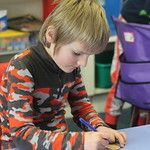 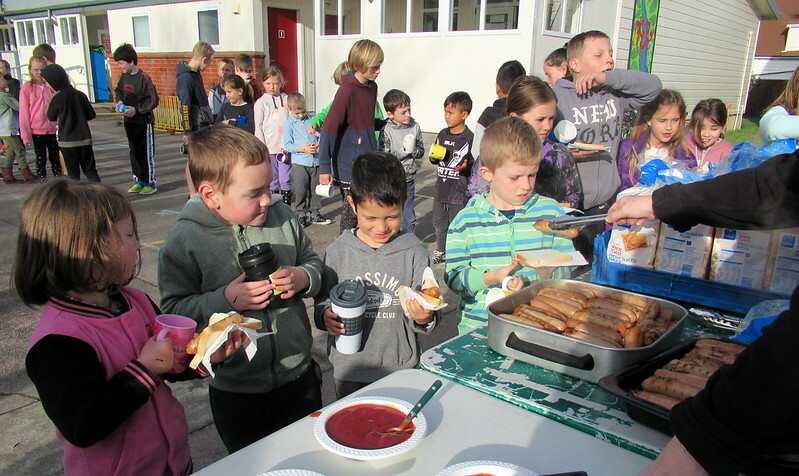 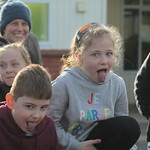 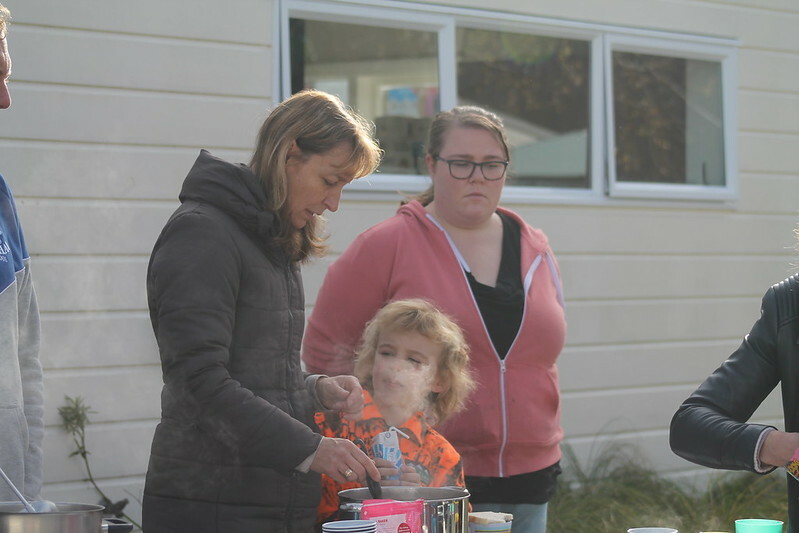 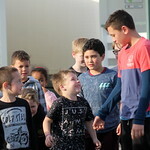 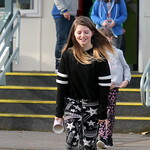 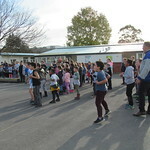 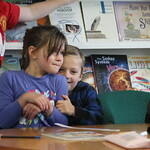 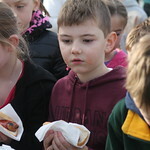 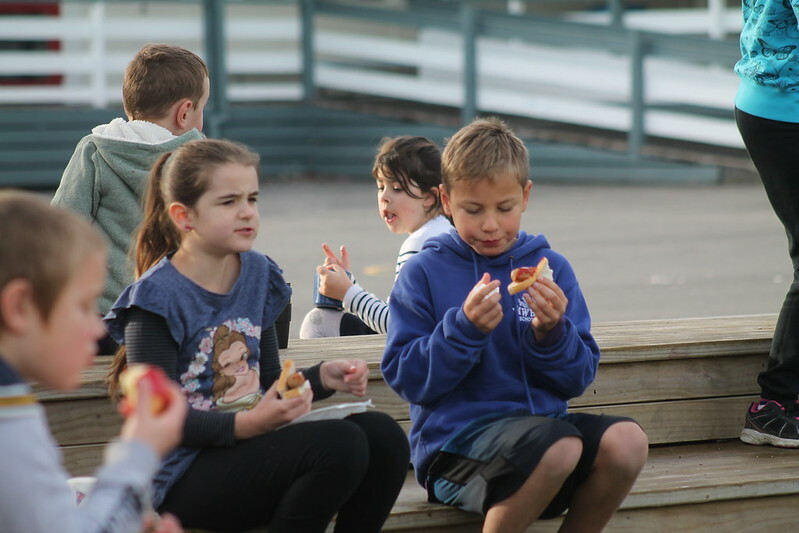 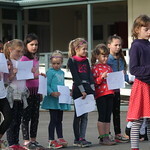 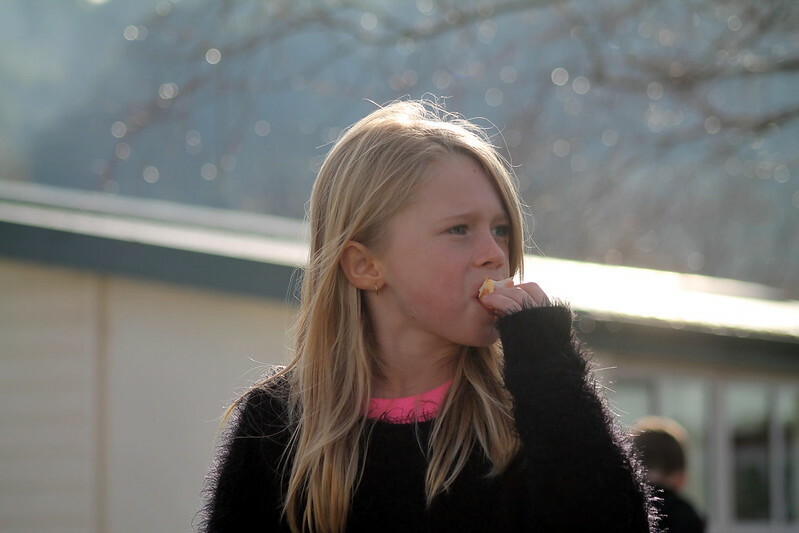 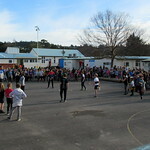 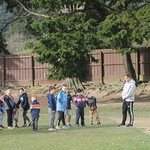 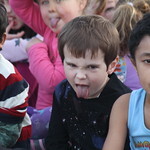 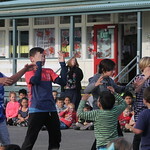 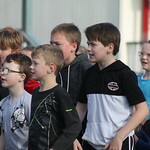 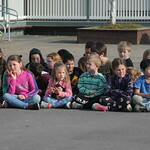 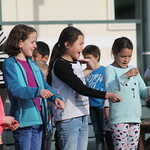 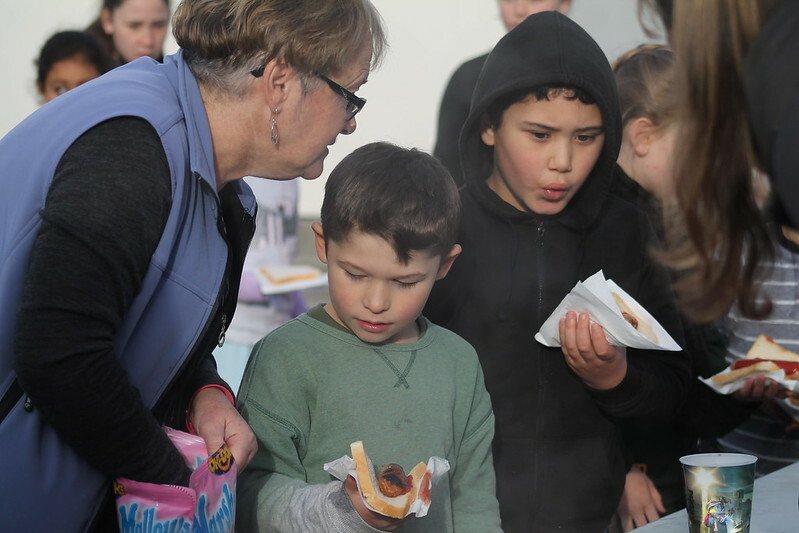 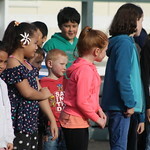 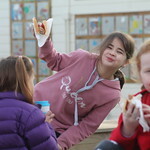 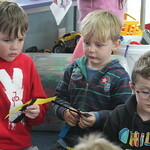 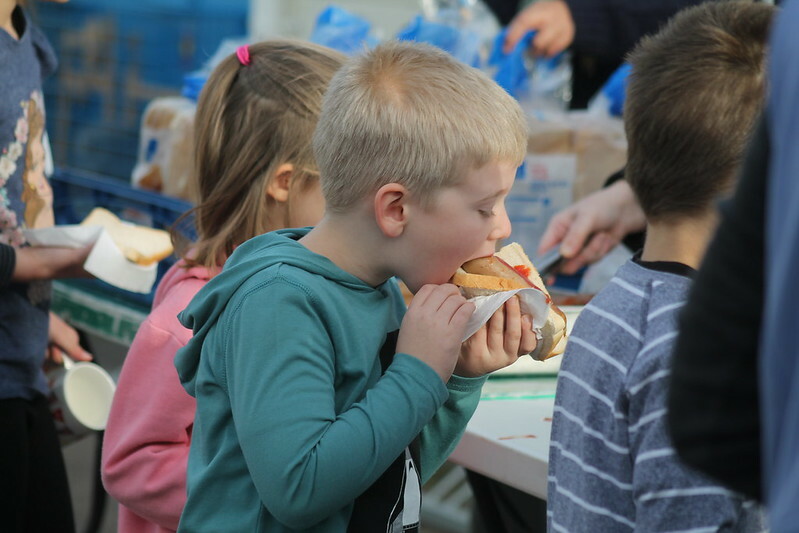 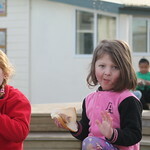 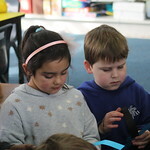 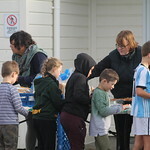 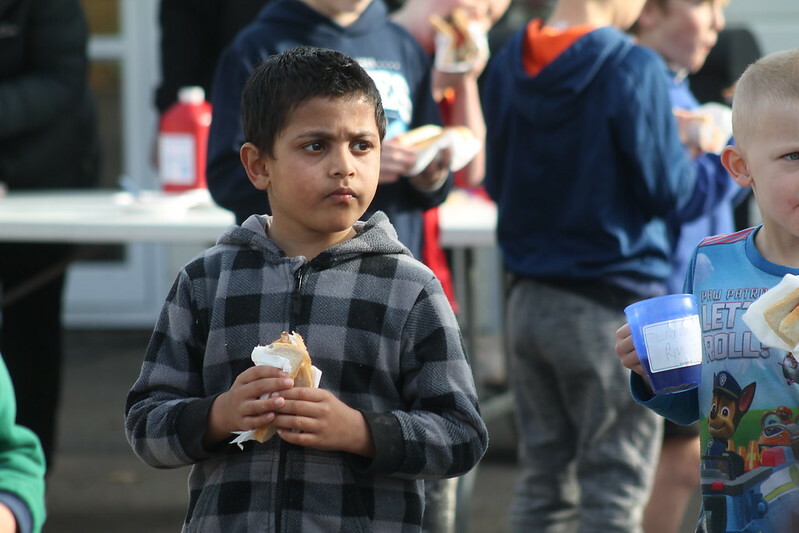 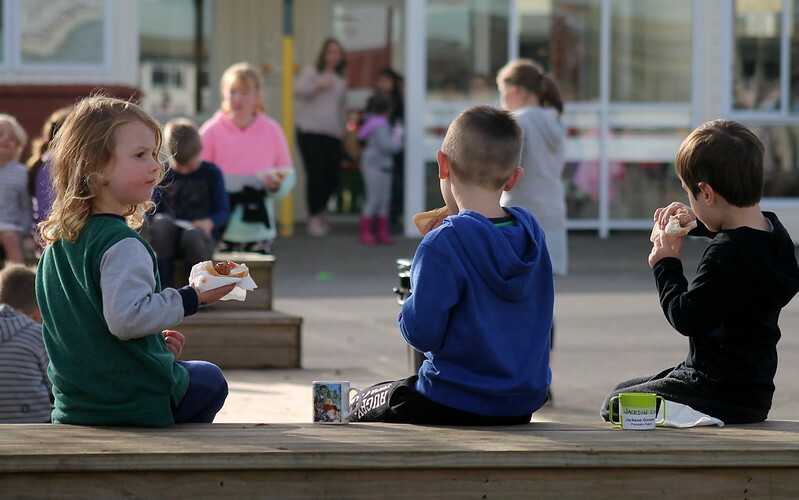 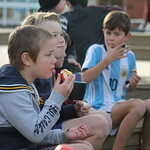 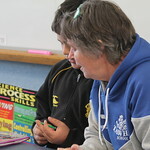 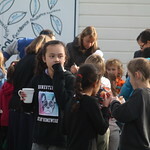 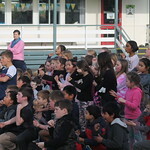 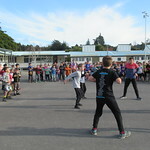 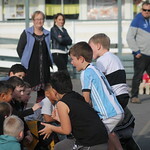 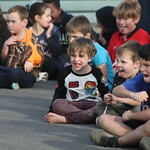 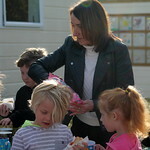 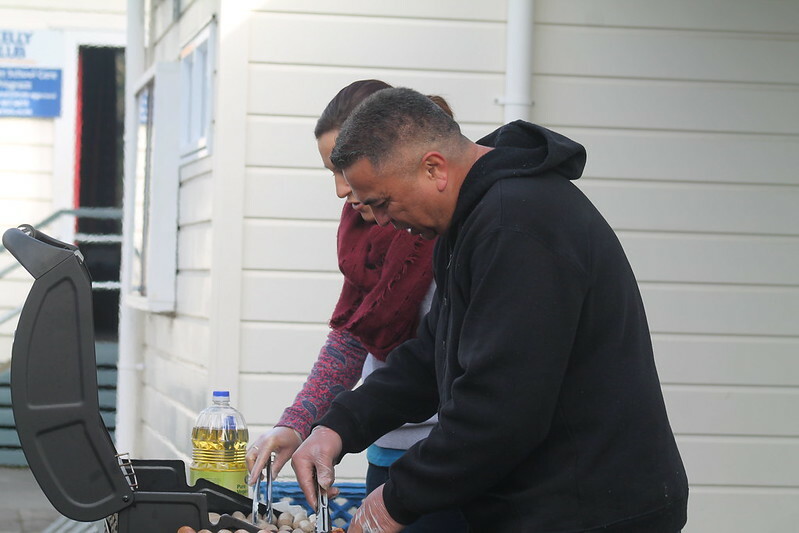 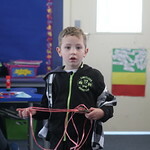 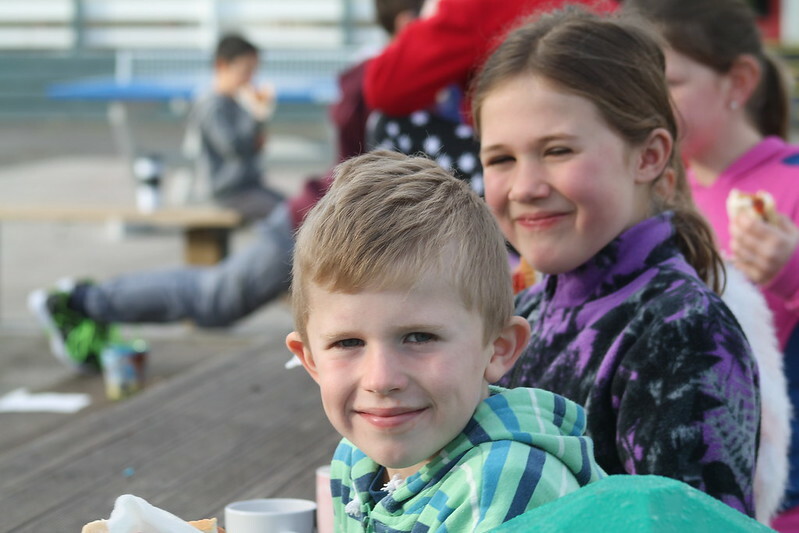 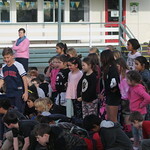 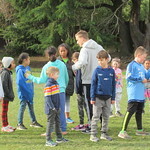 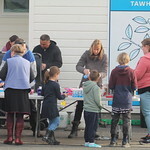 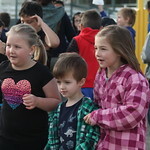 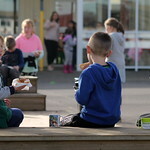 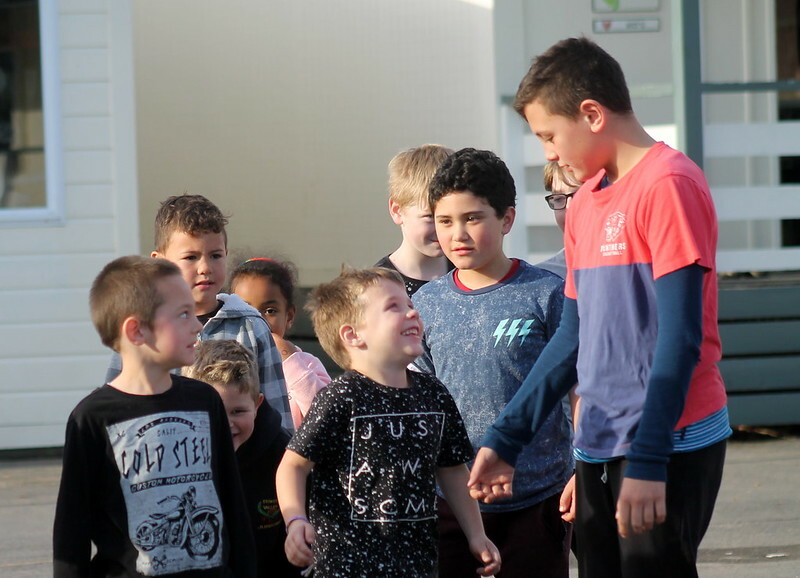 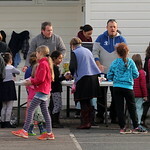 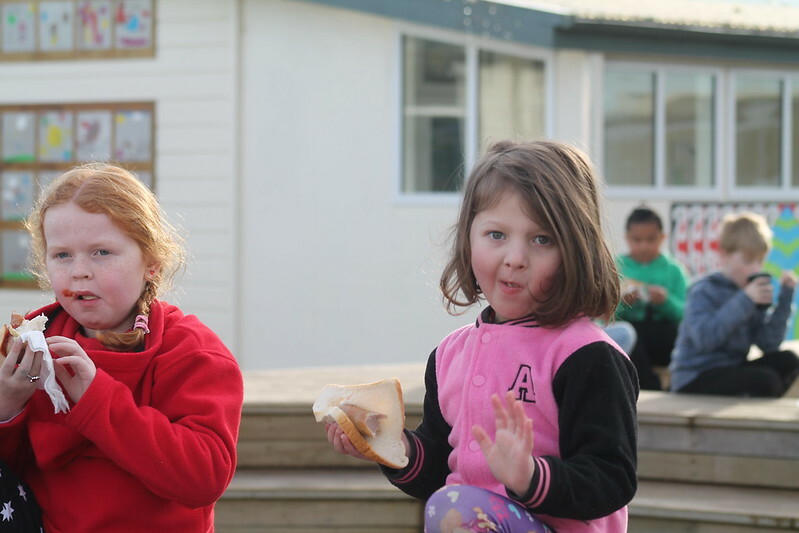 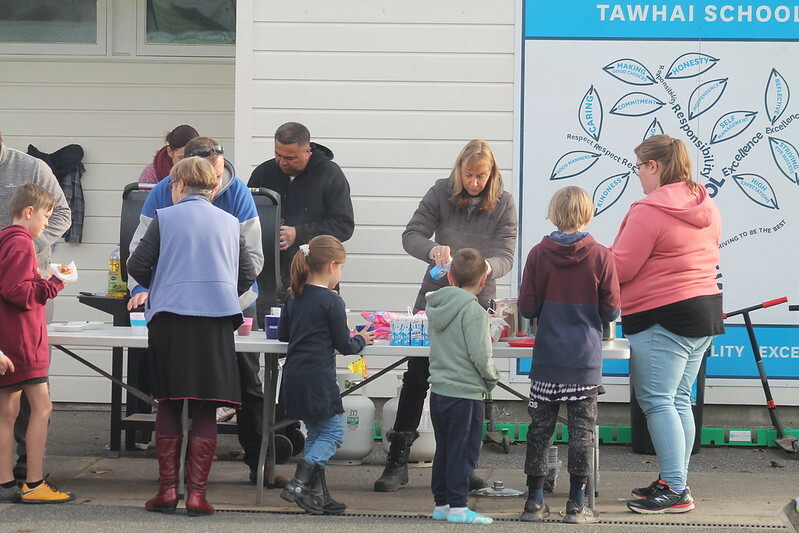 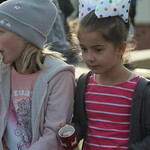 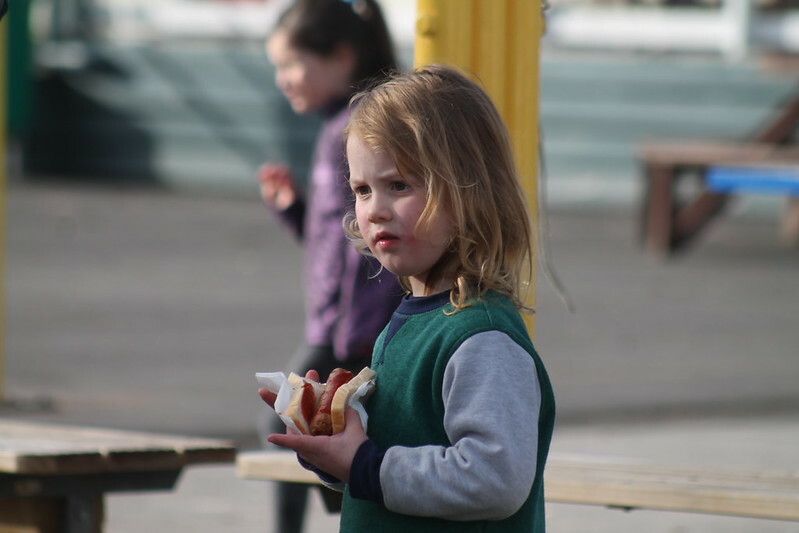 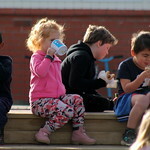 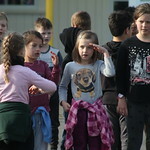 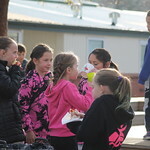 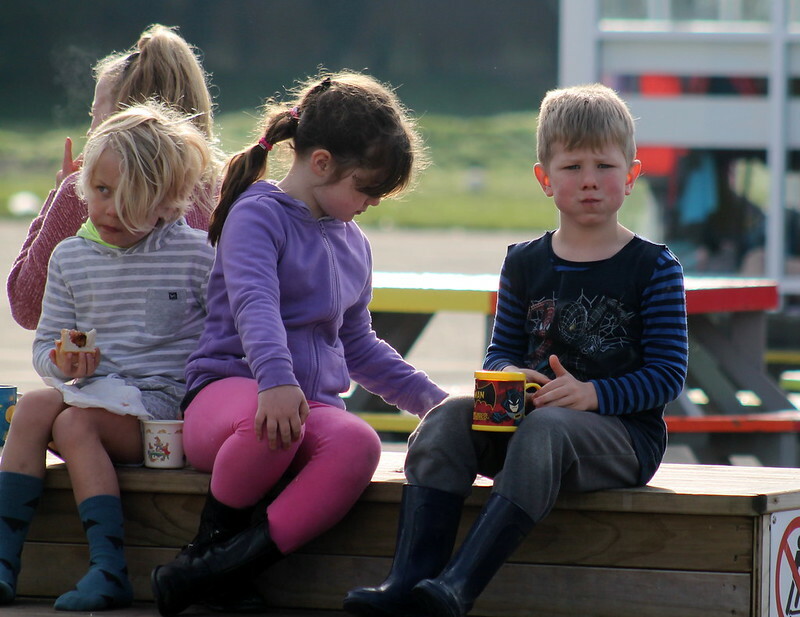 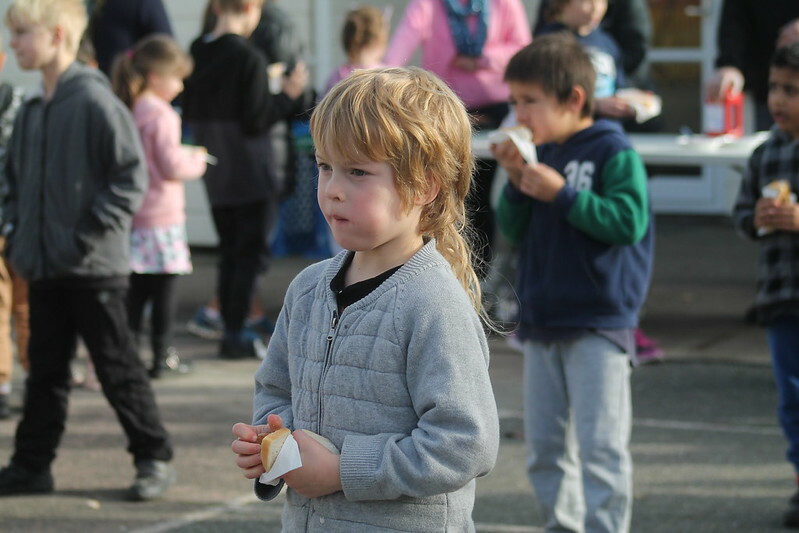 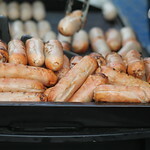 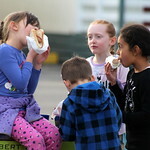 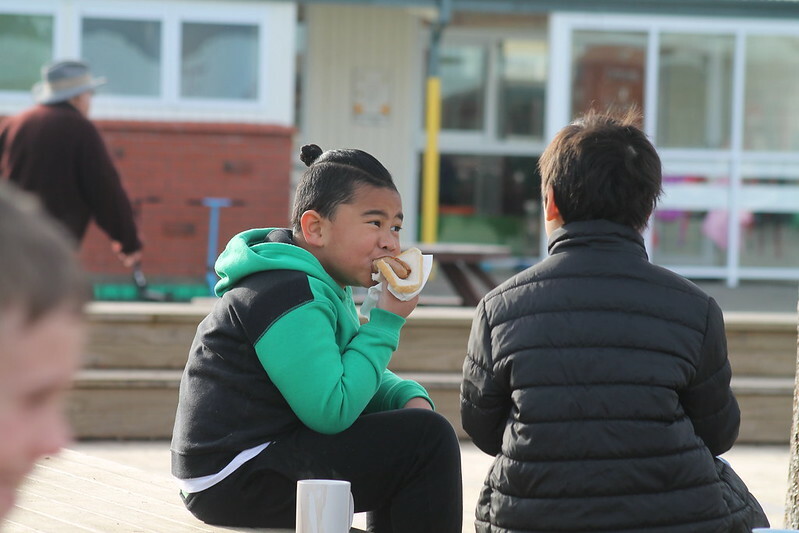 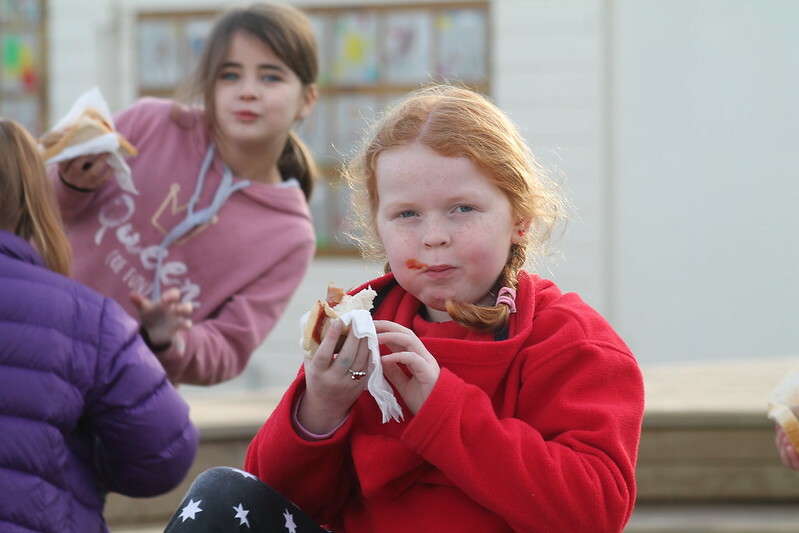 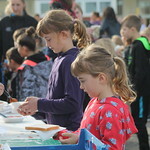 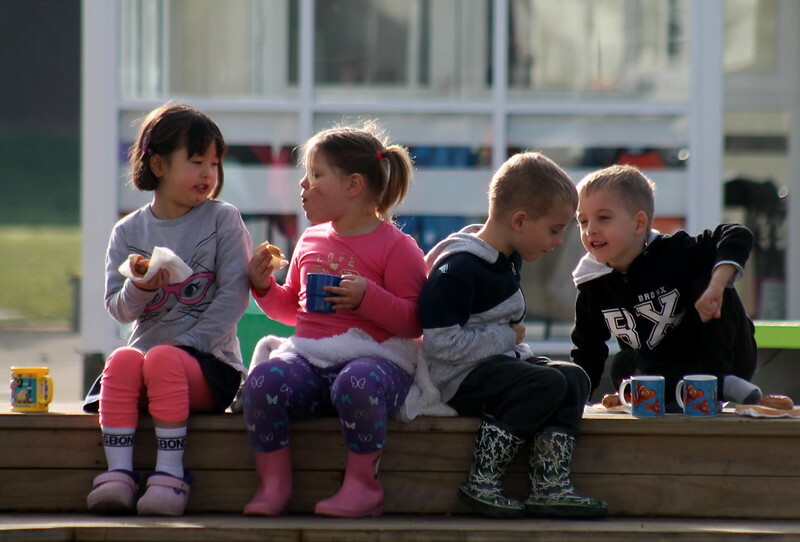 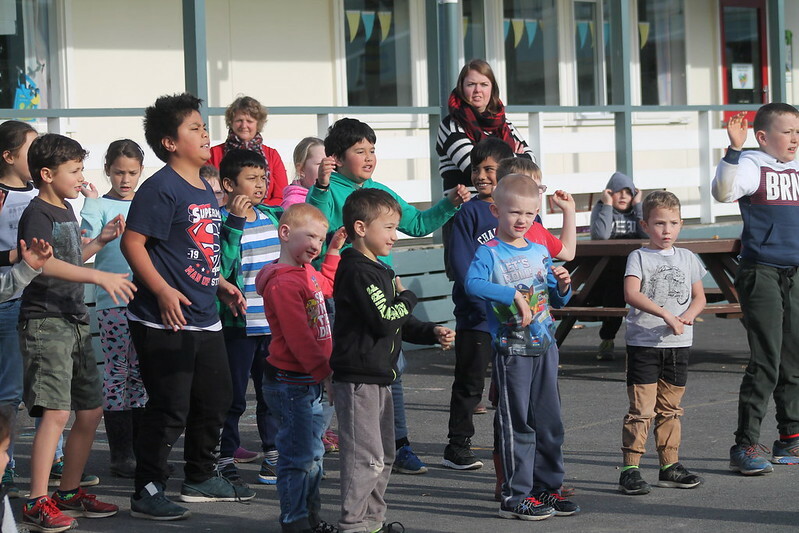 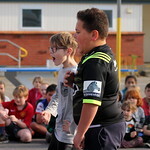 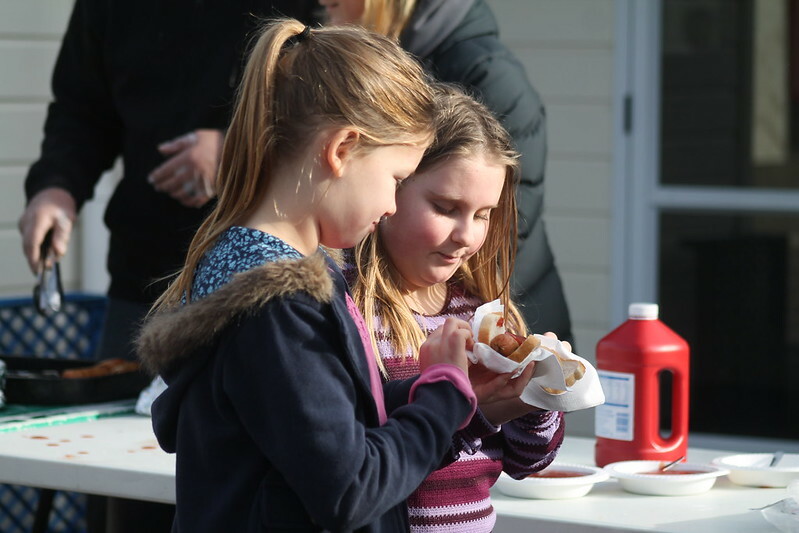 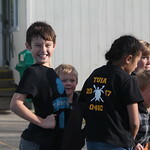 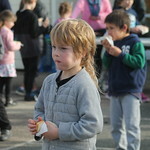 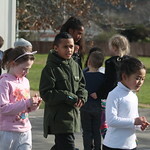 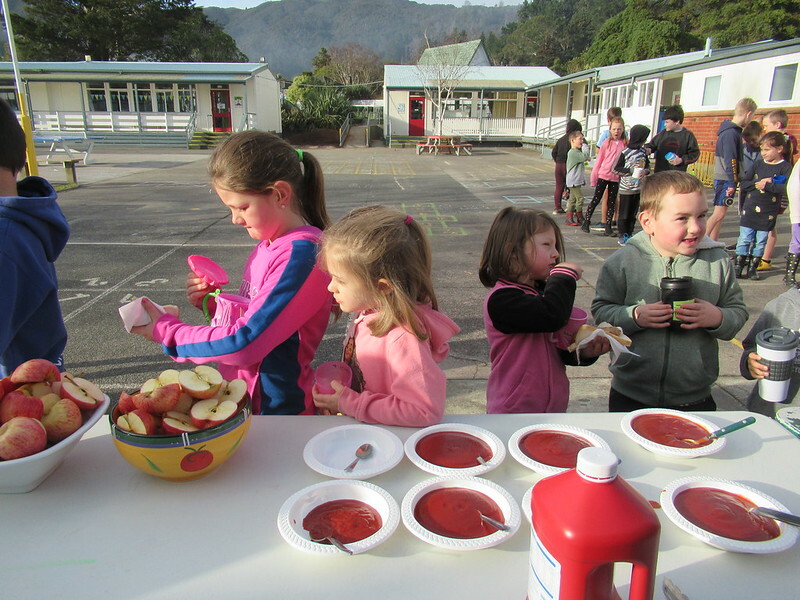 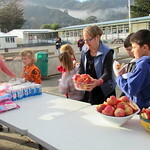 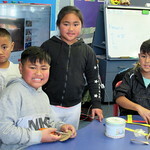 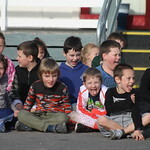 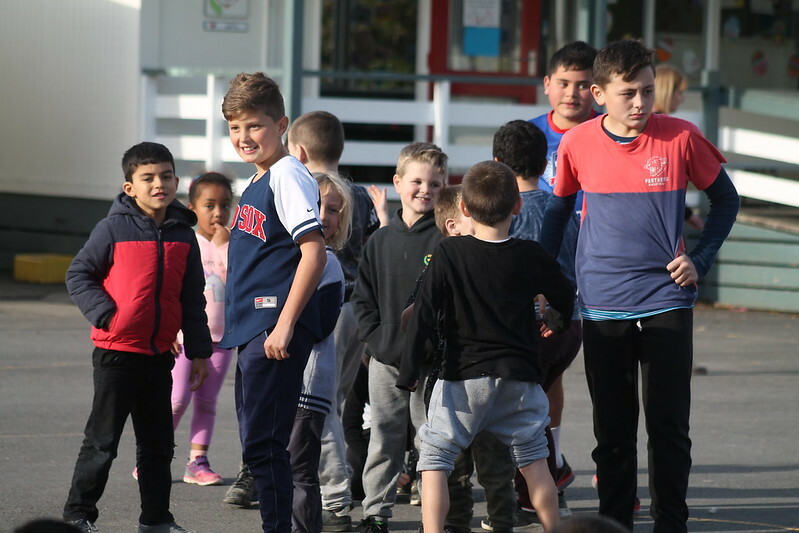 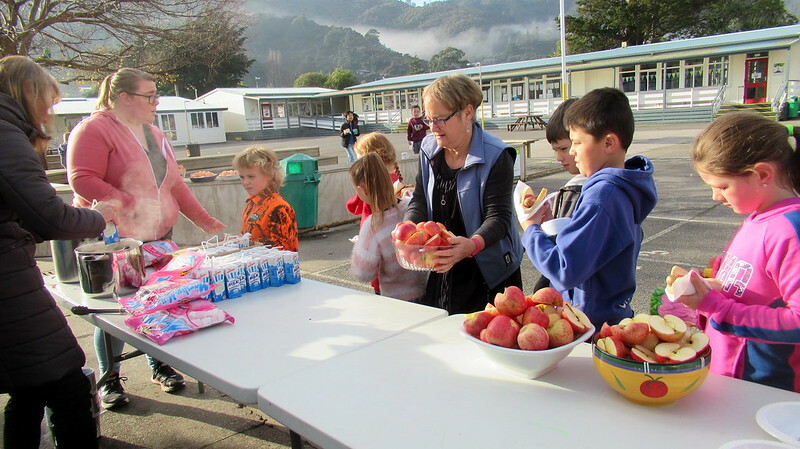 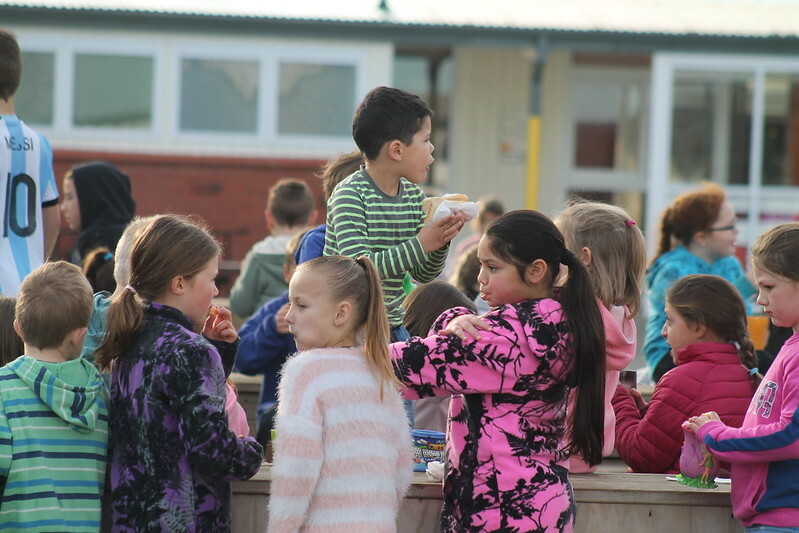 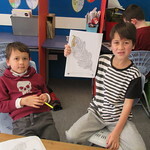 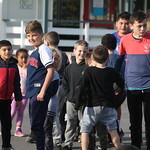 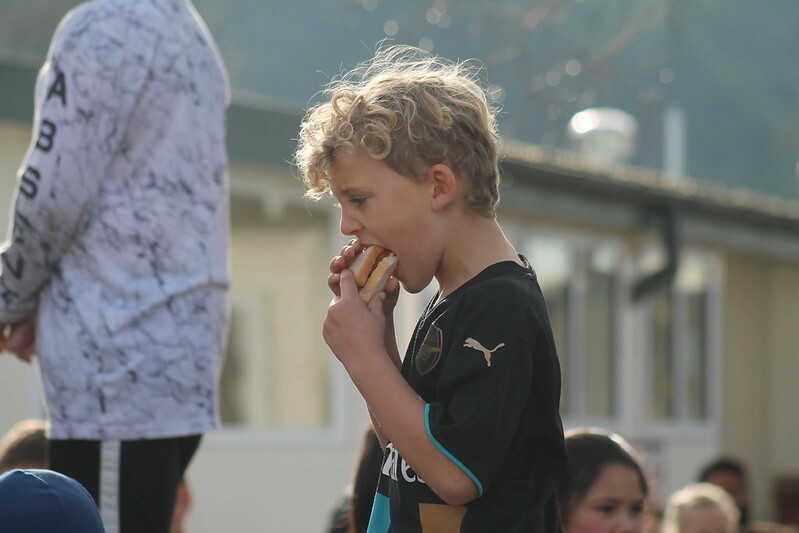 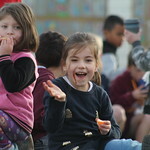 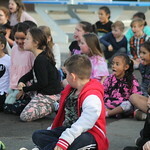 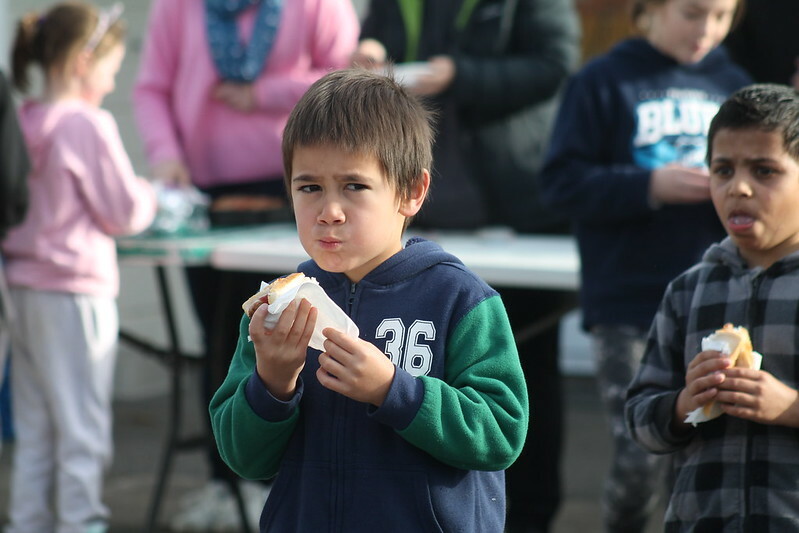 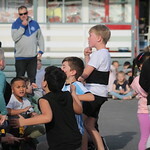 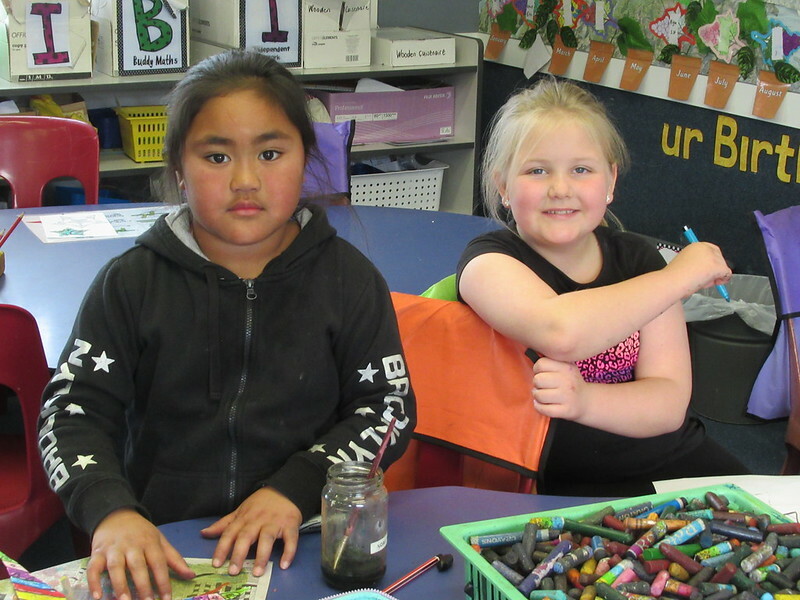 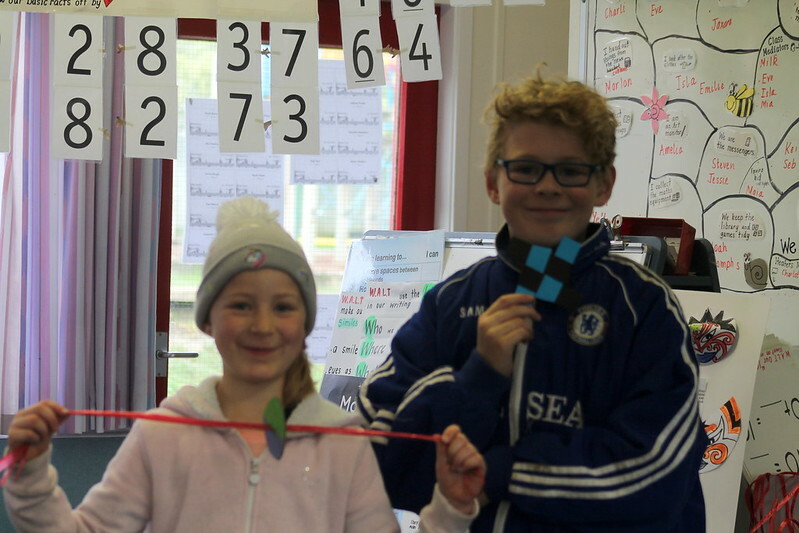 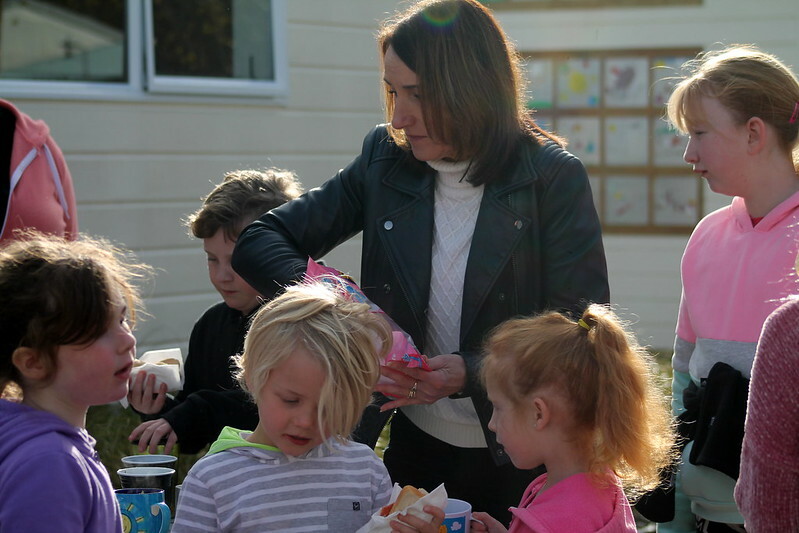 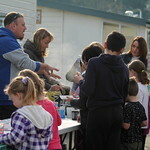 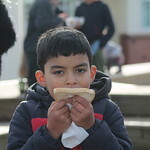 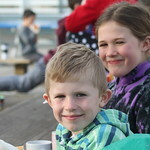 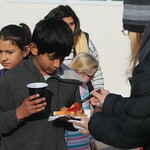 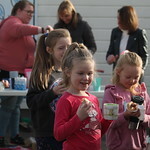 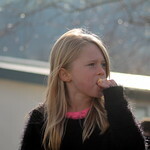 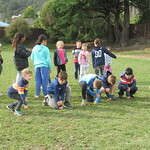 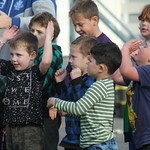 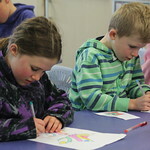 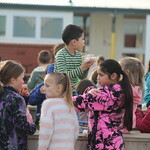 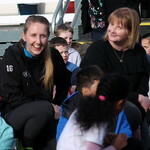 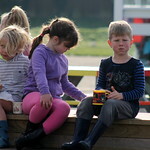 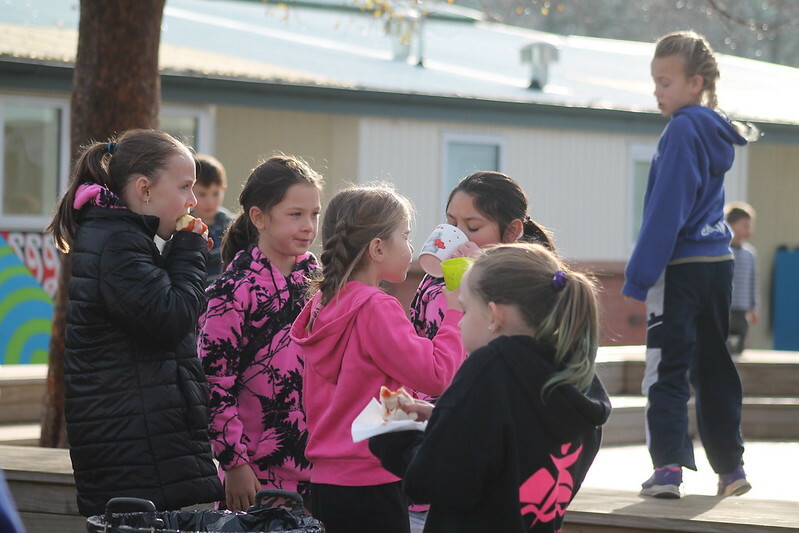 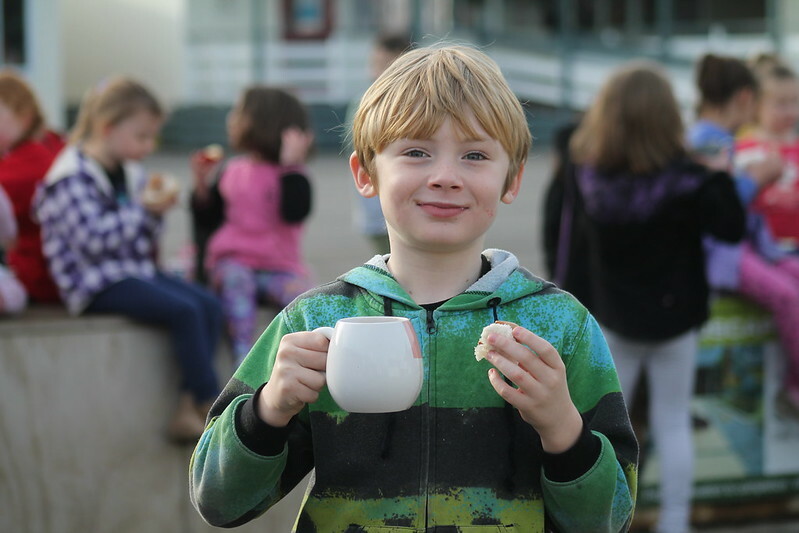 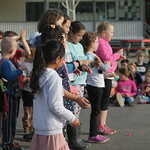 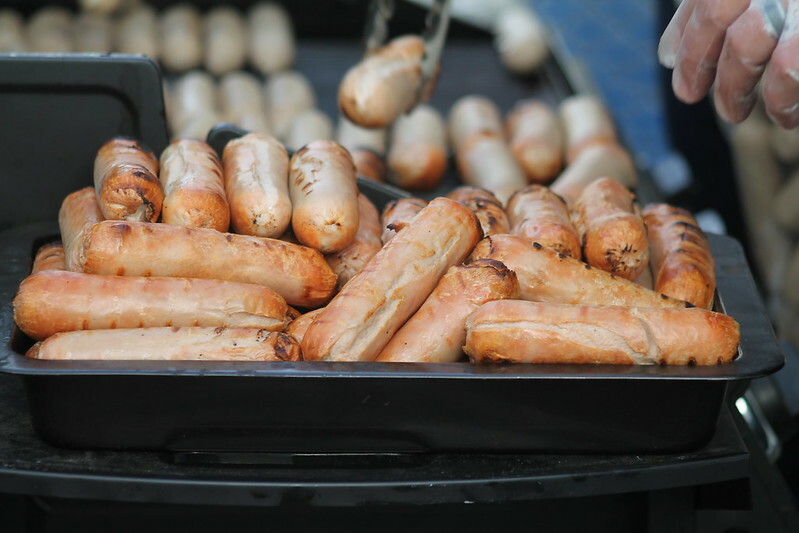 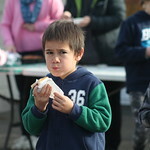 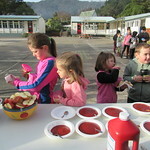 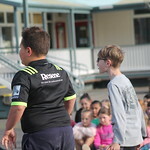 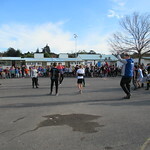 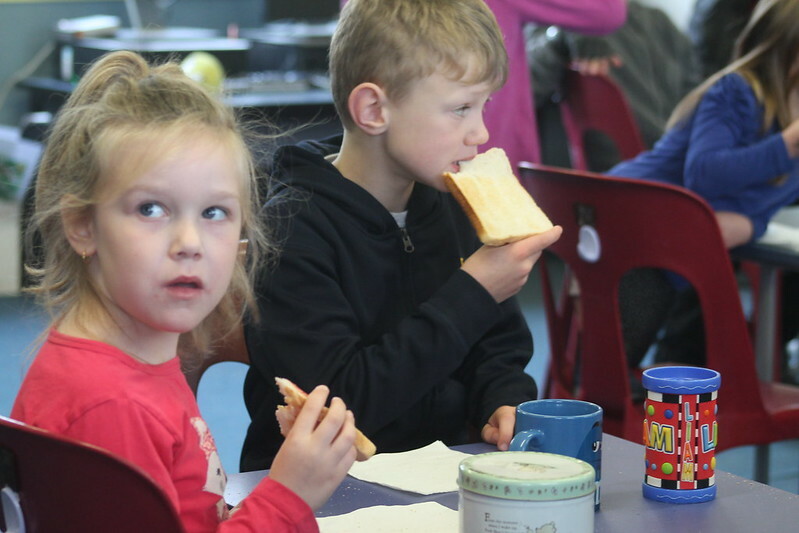 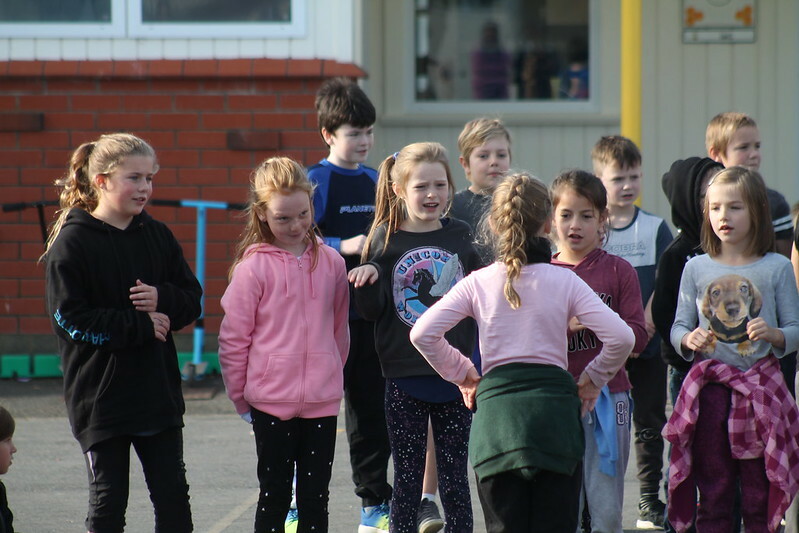 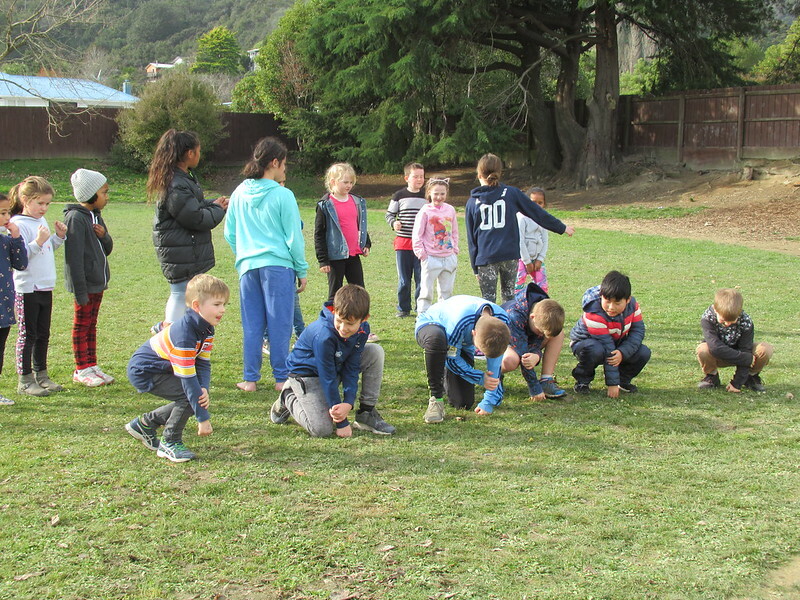 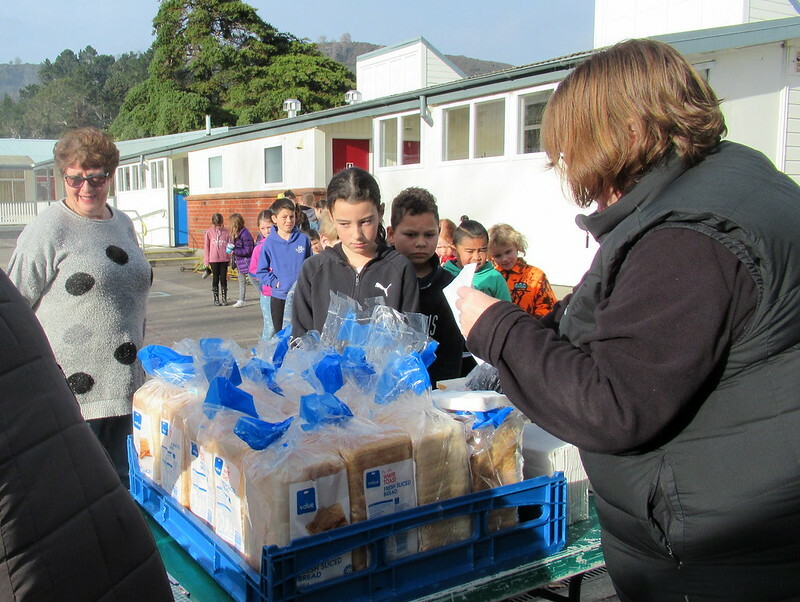 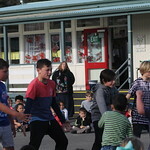 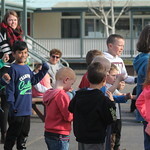 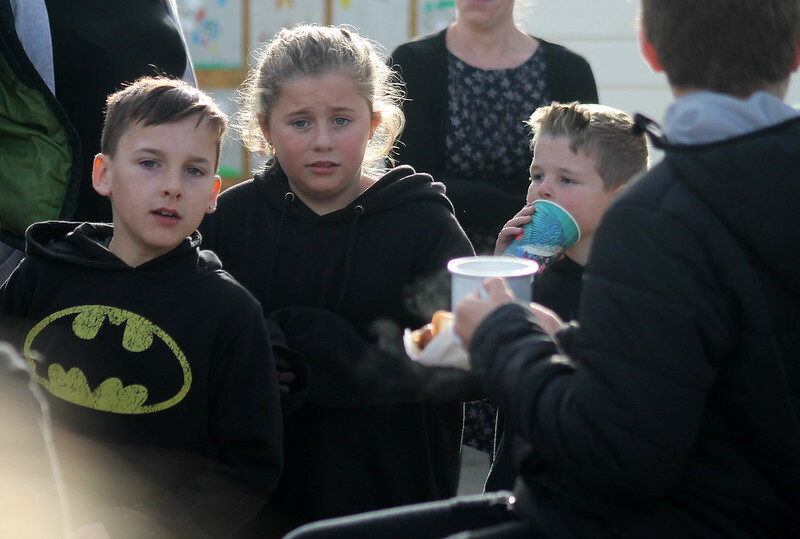 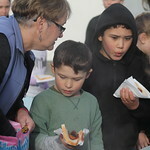 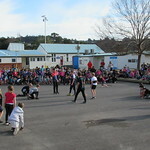 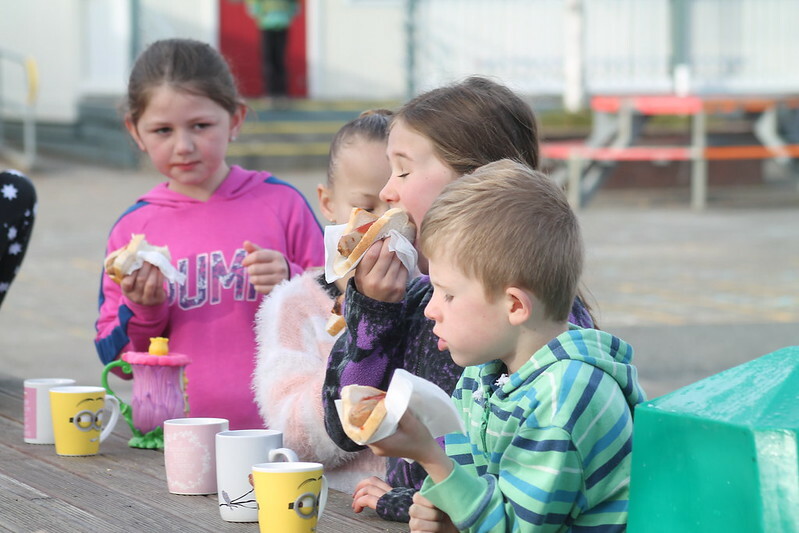 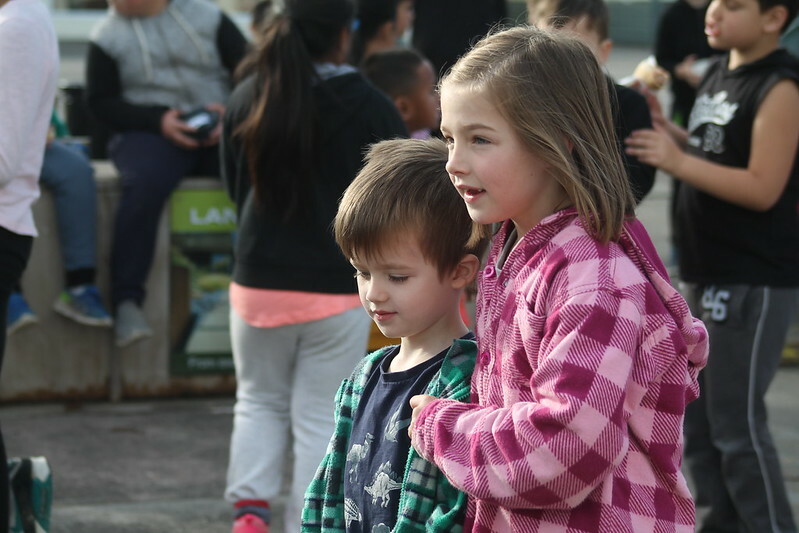 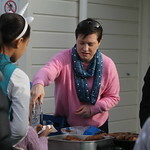 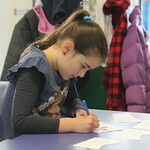 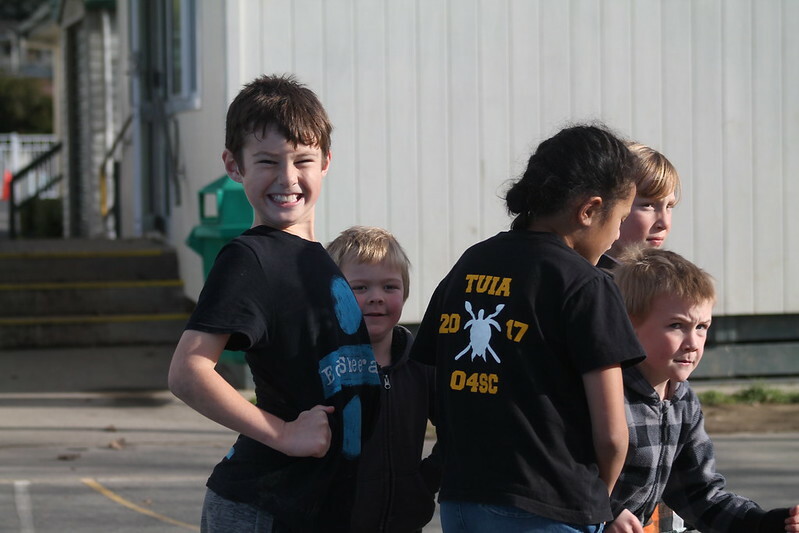 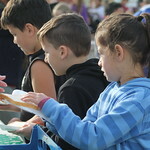 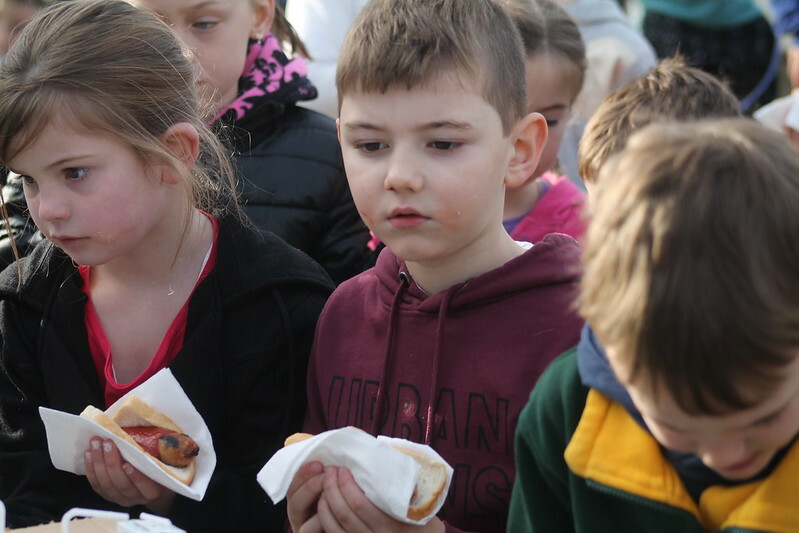 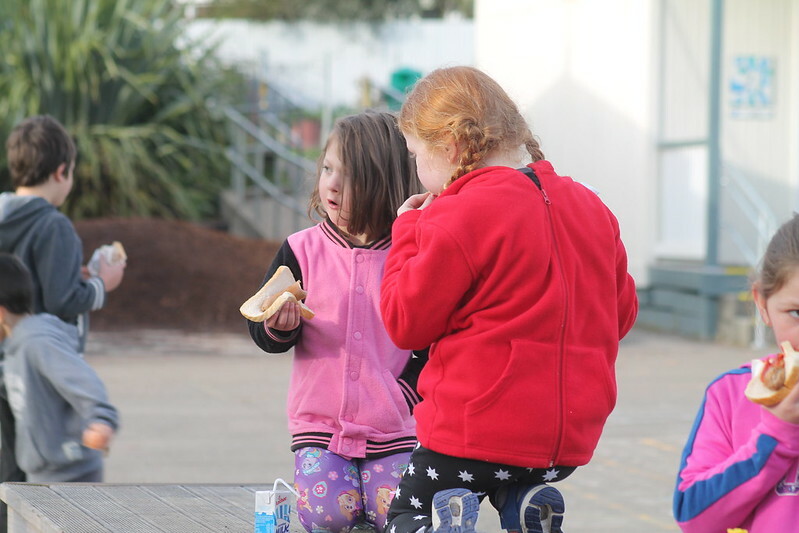 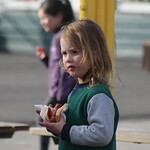 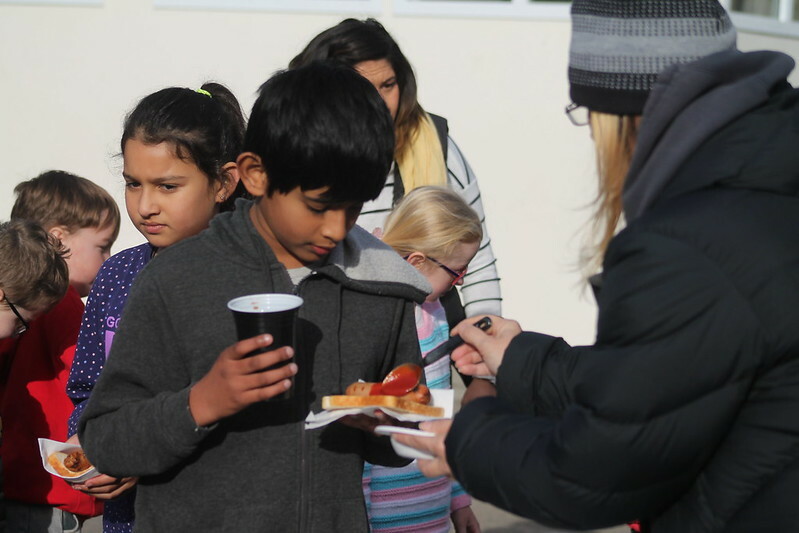 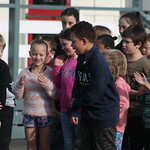 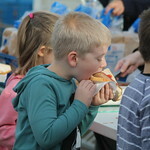 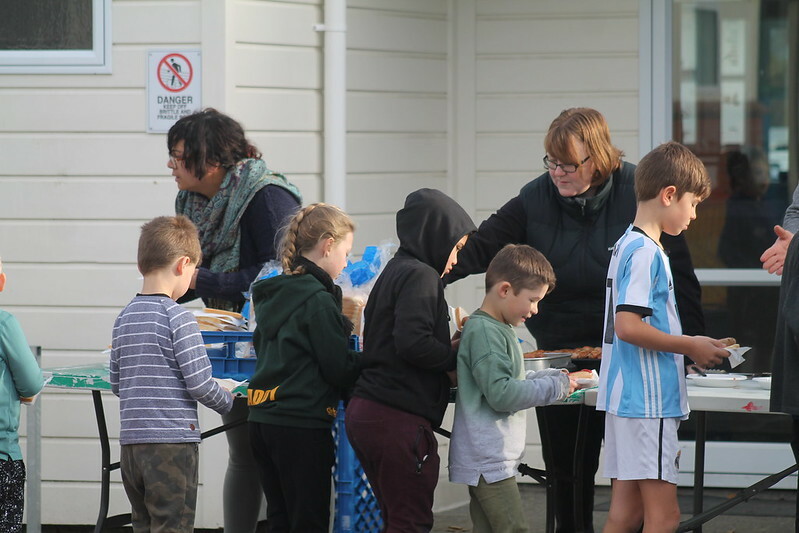 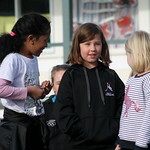 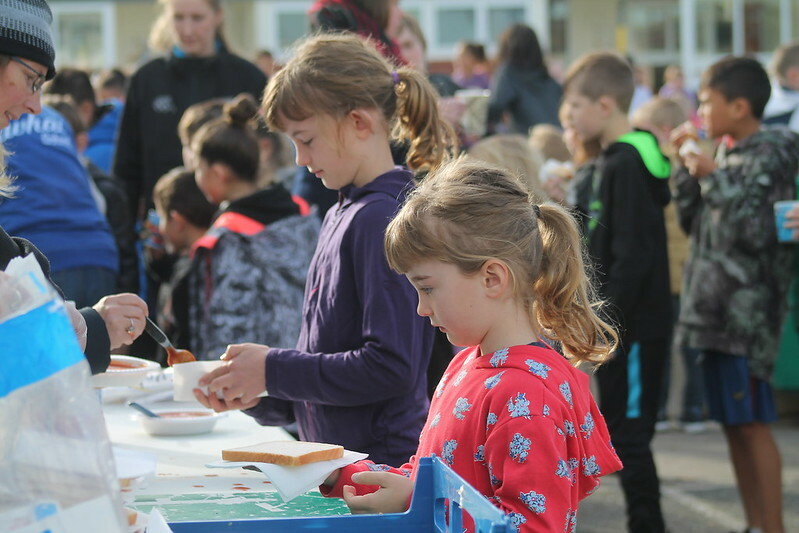 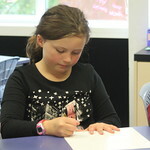 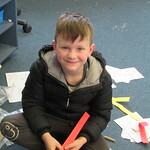 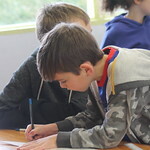 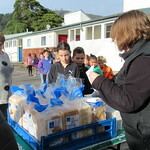 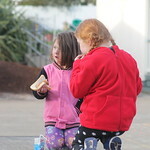 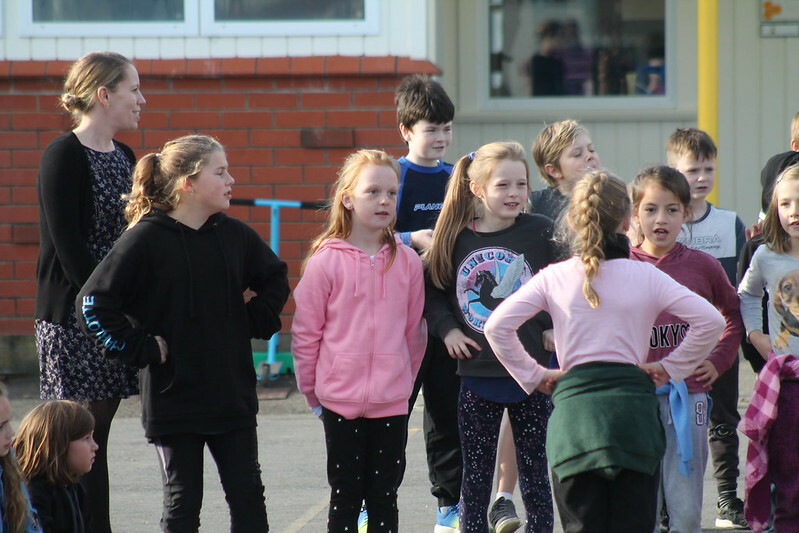 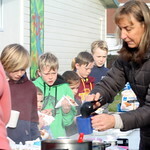 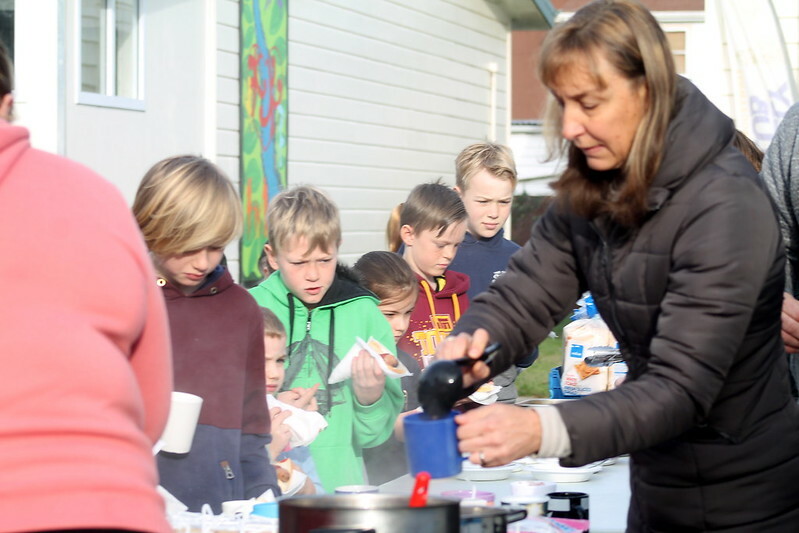 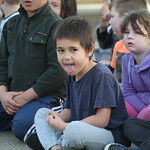 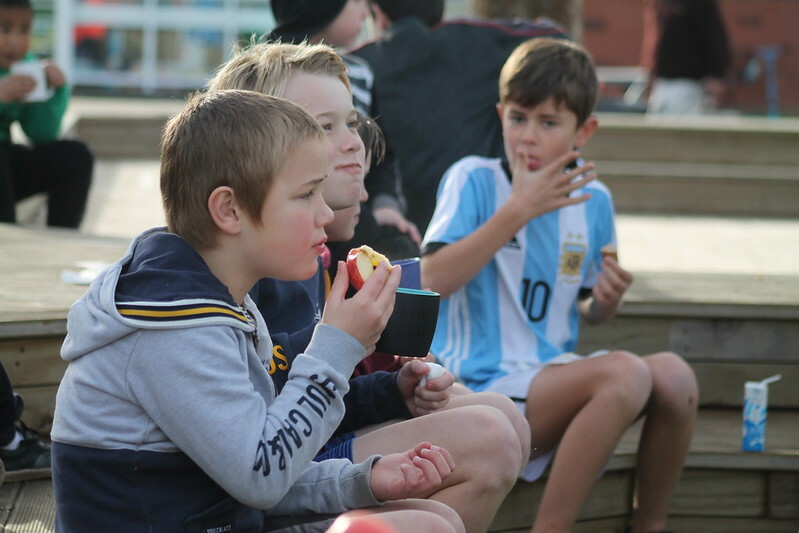 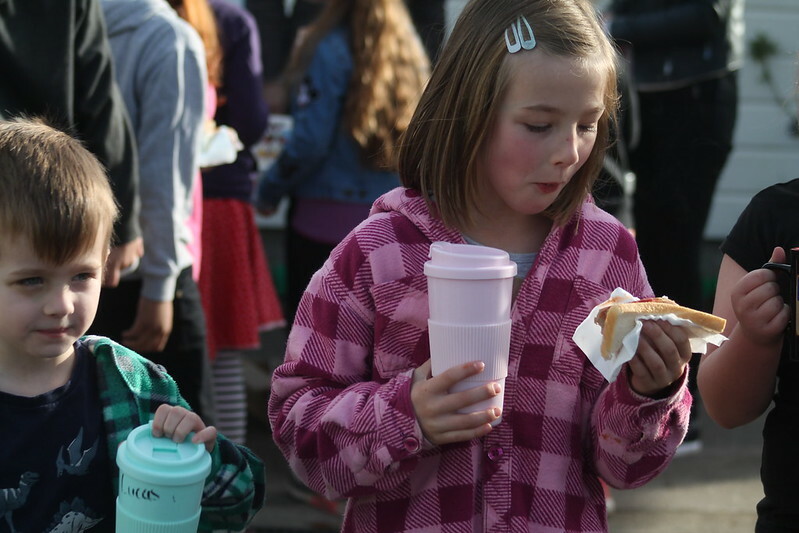 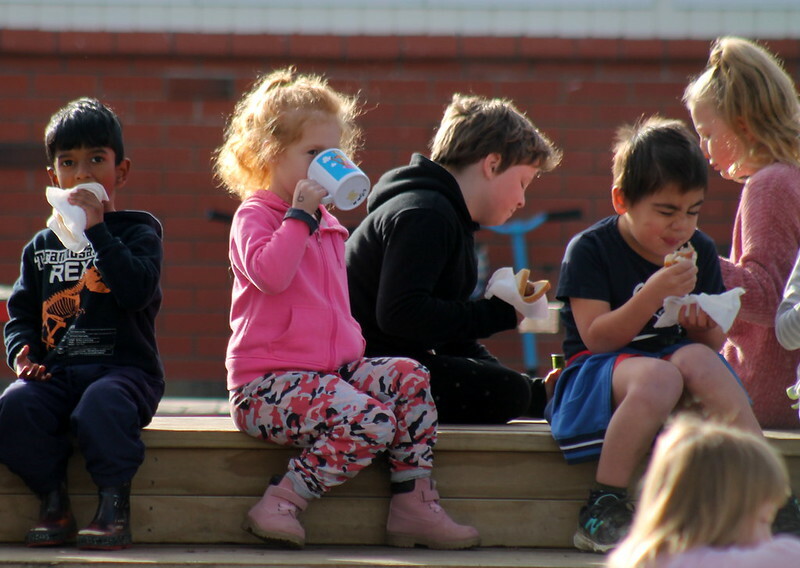 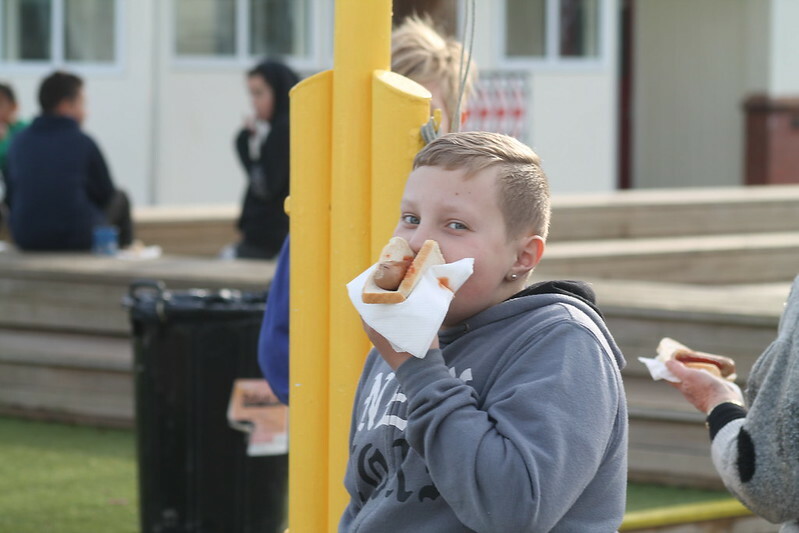 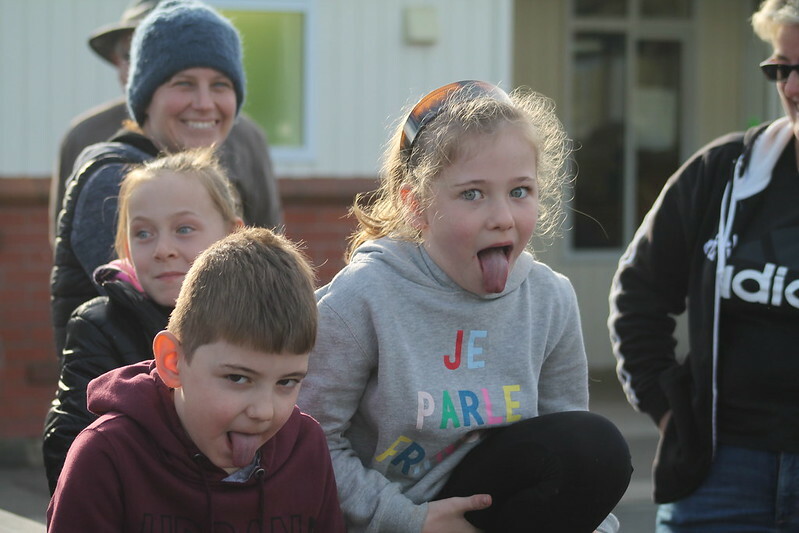 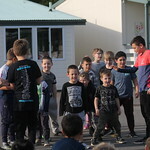 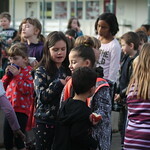 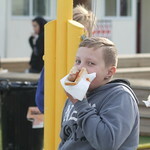 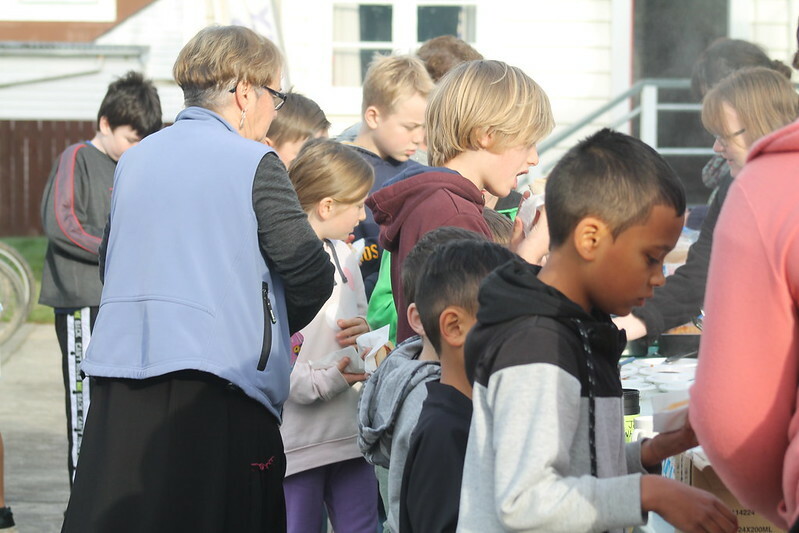 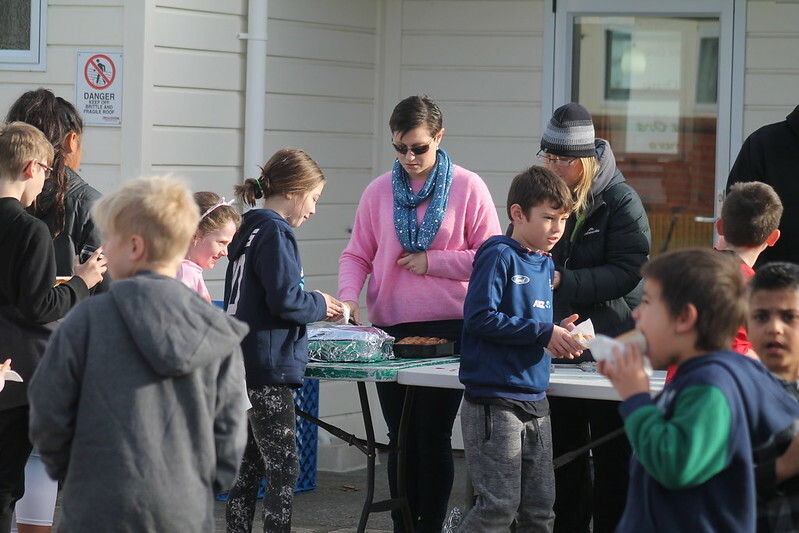 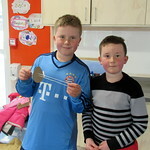 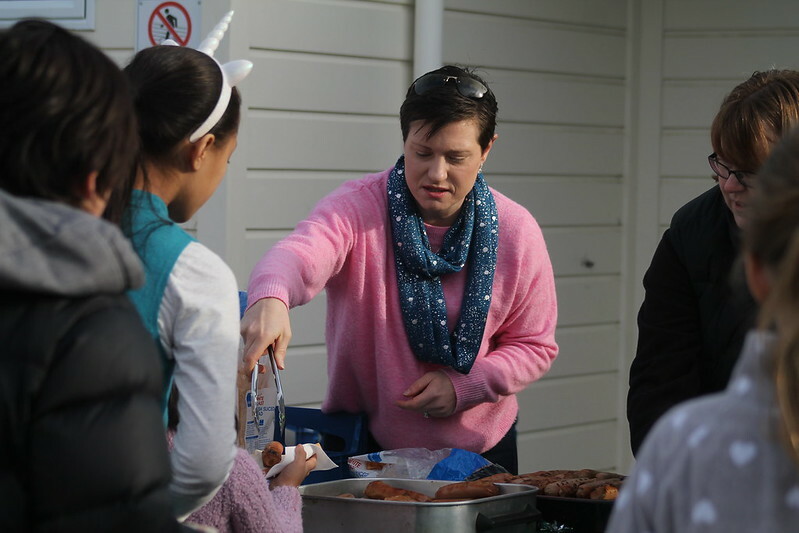 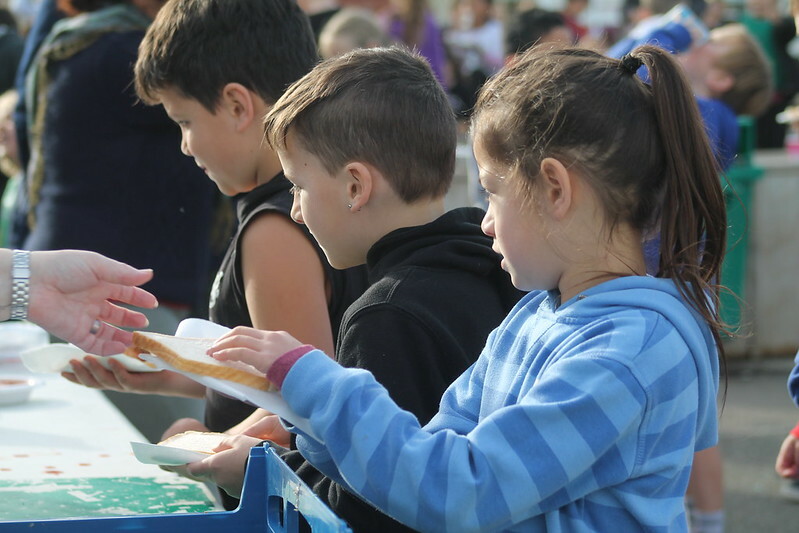 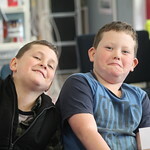 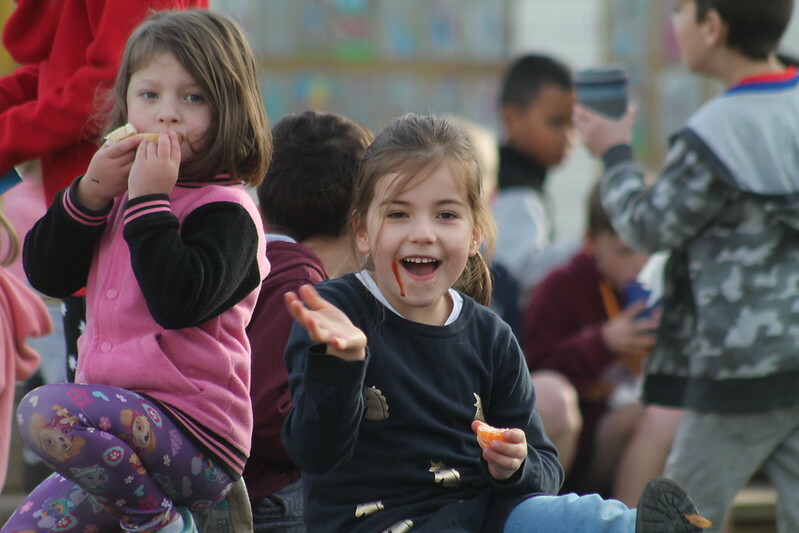 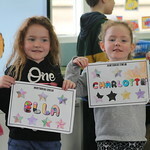 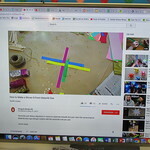 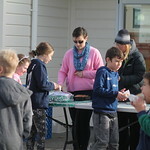 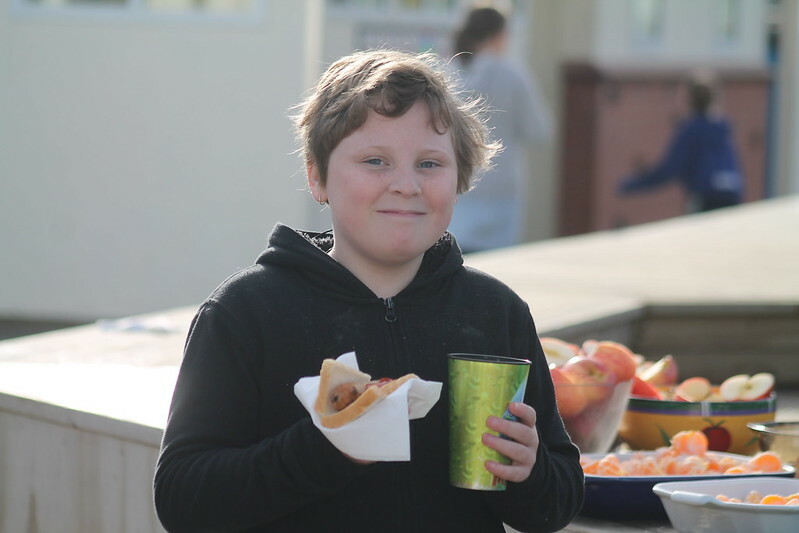 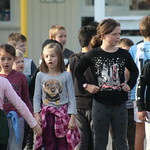 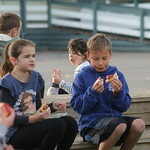 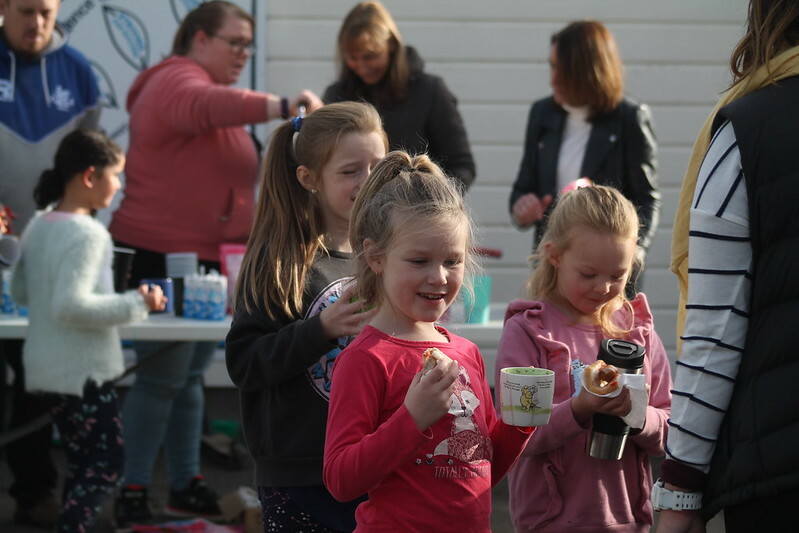 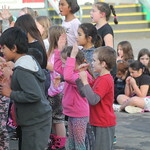 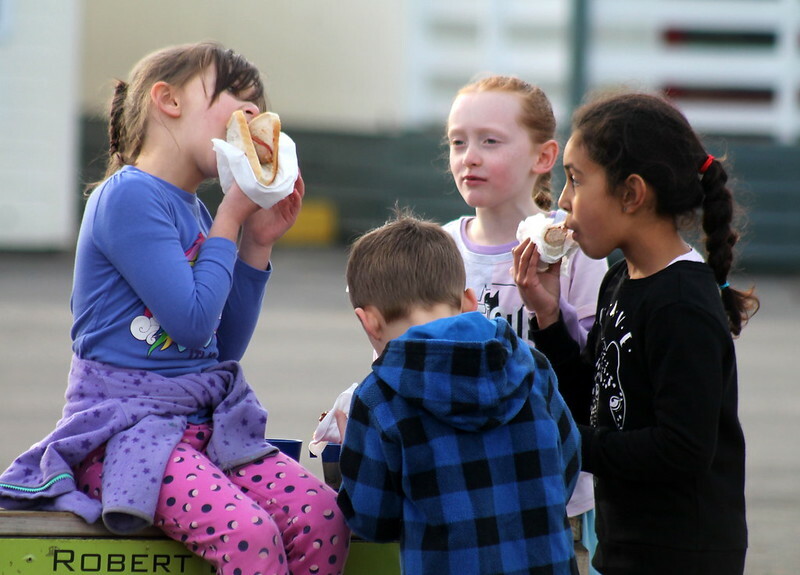 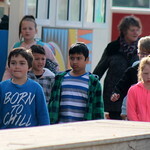 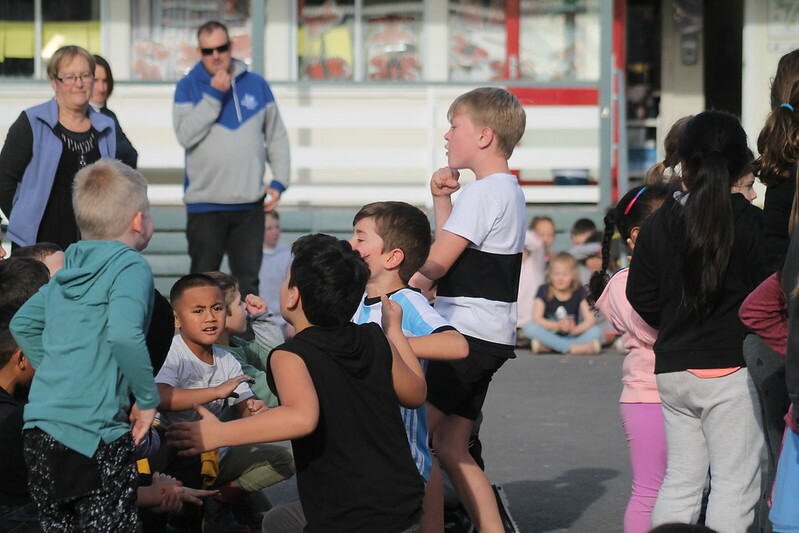 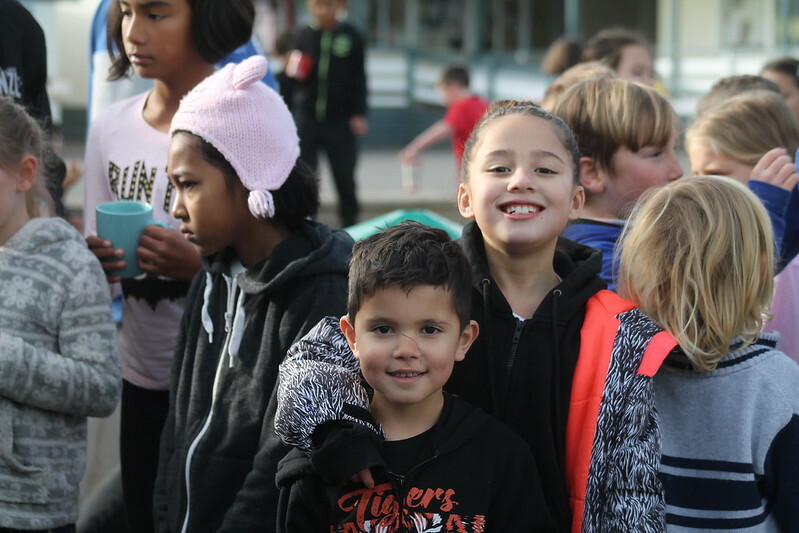 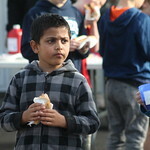 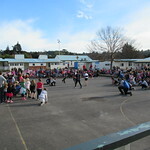 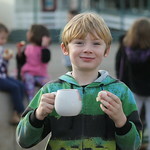 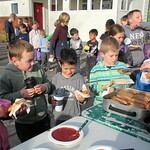 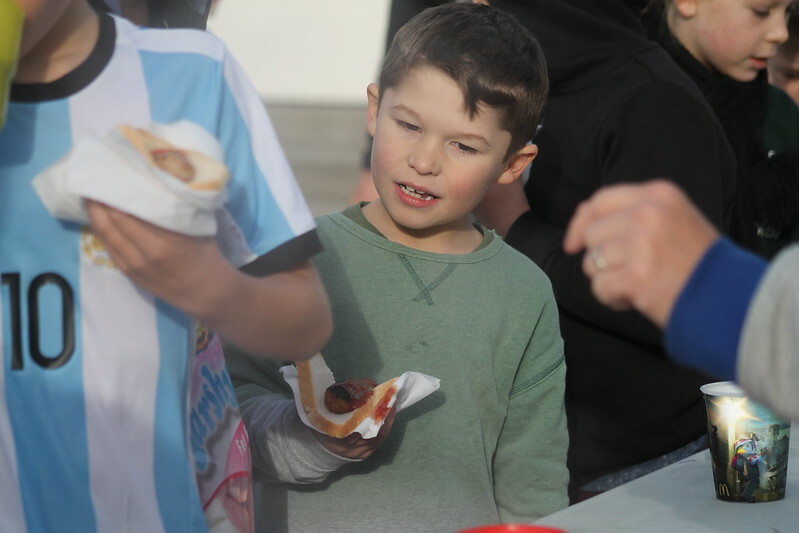 While the children were divided up into their whanau groups, Mr Pearce and Mr Whiteman organised the breakfast with the help of some wonderful parents, the sausages were cooked to perfection, all the fruit was cut up and the bread and spreads delivered to each classroom for the children to enjoy their toast. 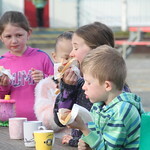 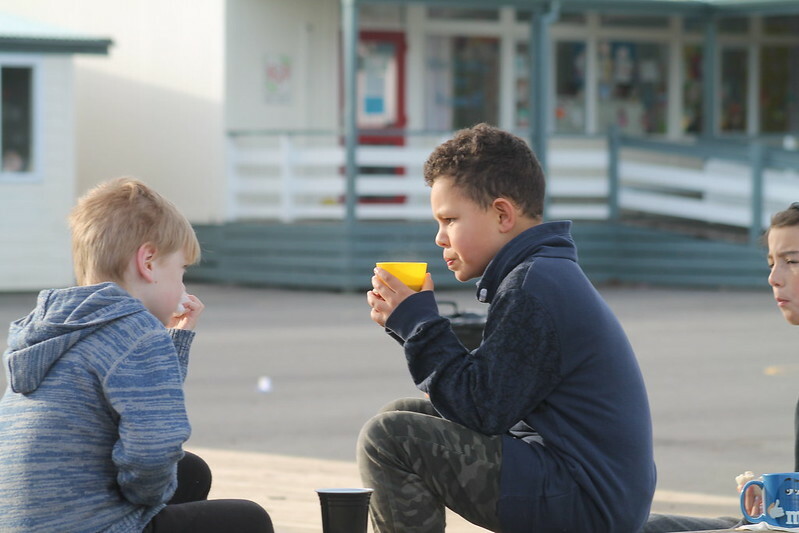 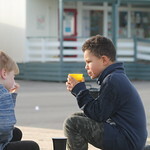 The children were then invited out to eat their sausage in a bread and drink their milo with marshmallows out on the stage in the warm sunshine. 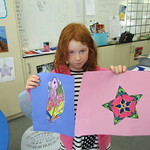 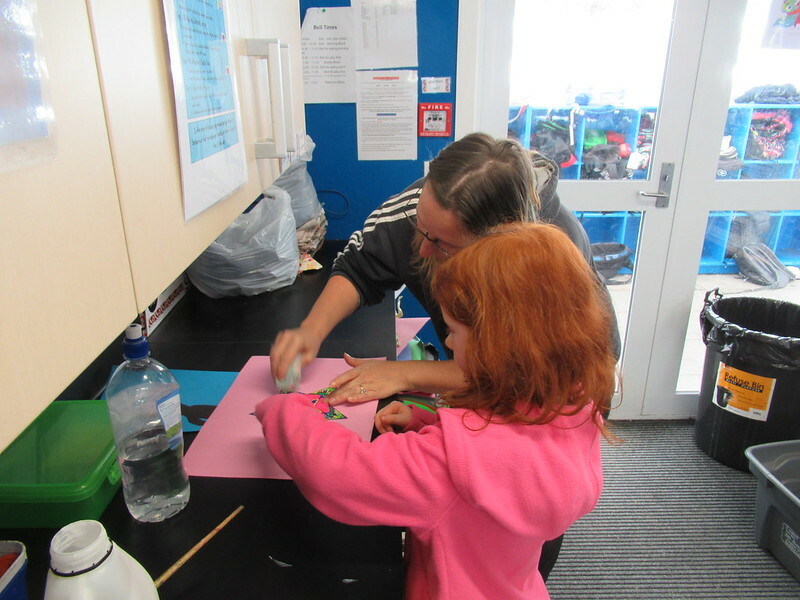 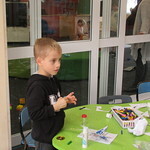 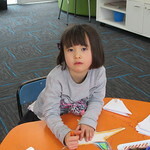 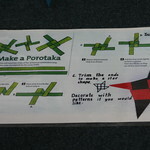 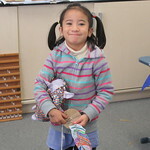 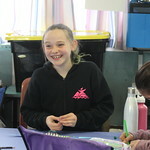 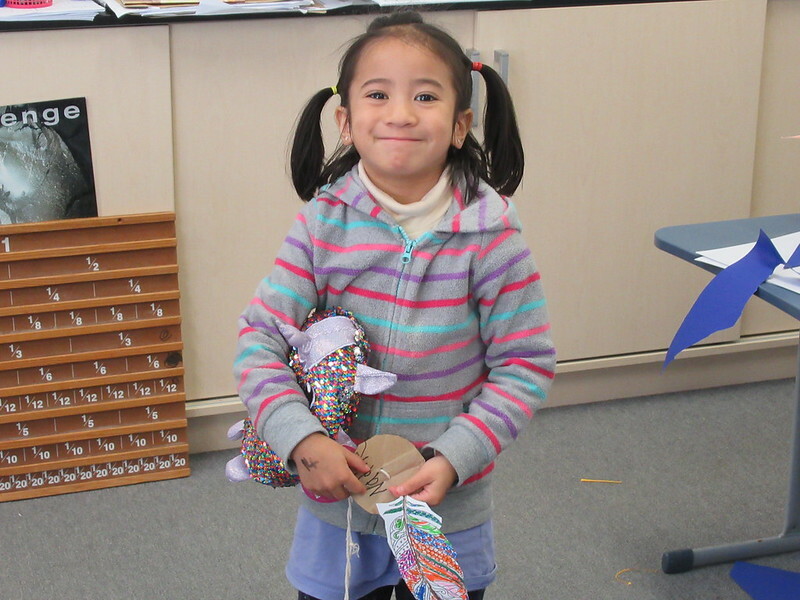 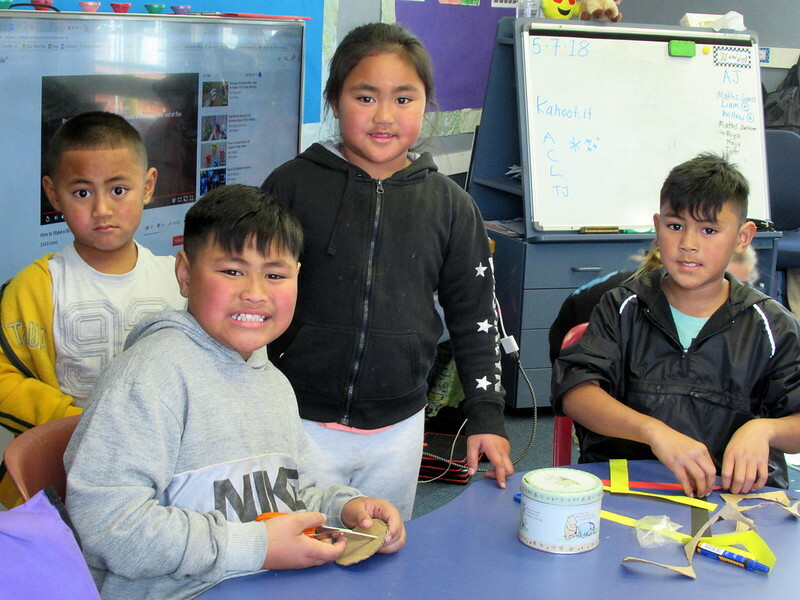 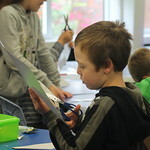 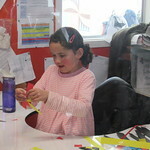 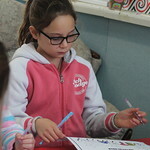 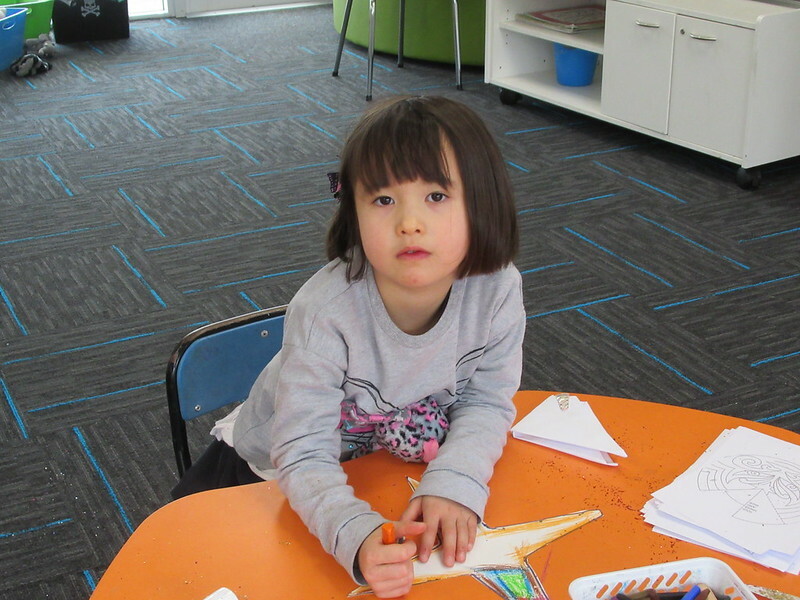 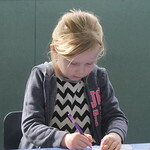 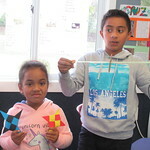 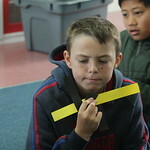 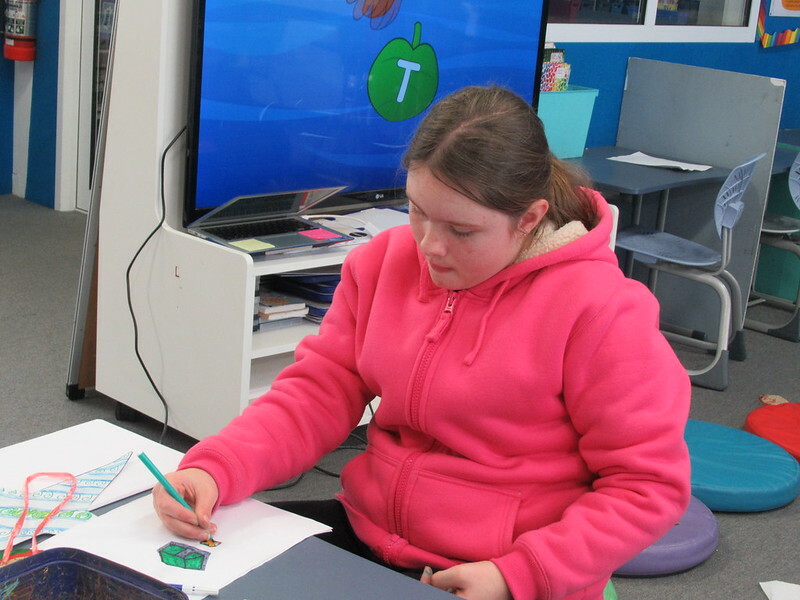 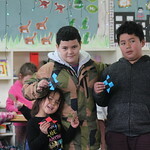 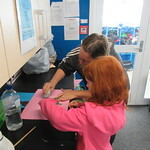 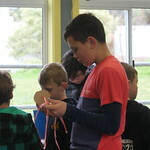 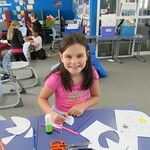 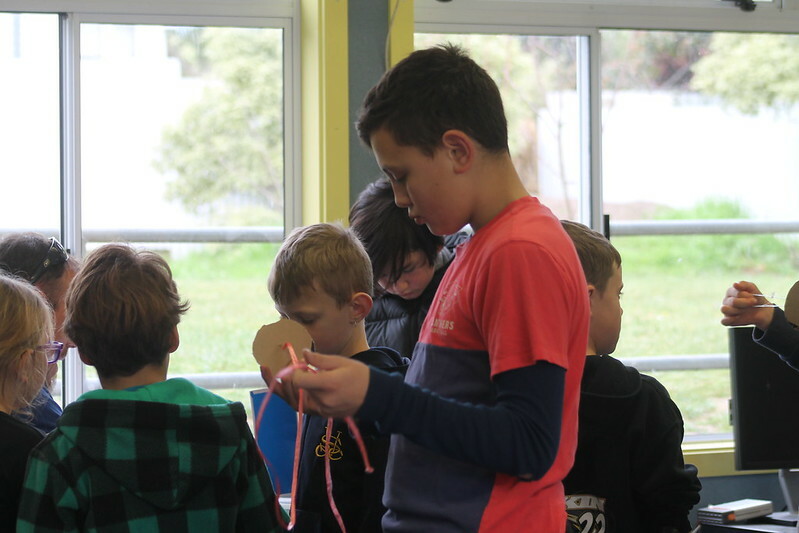 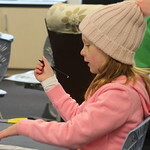 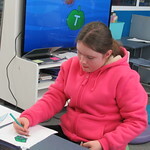 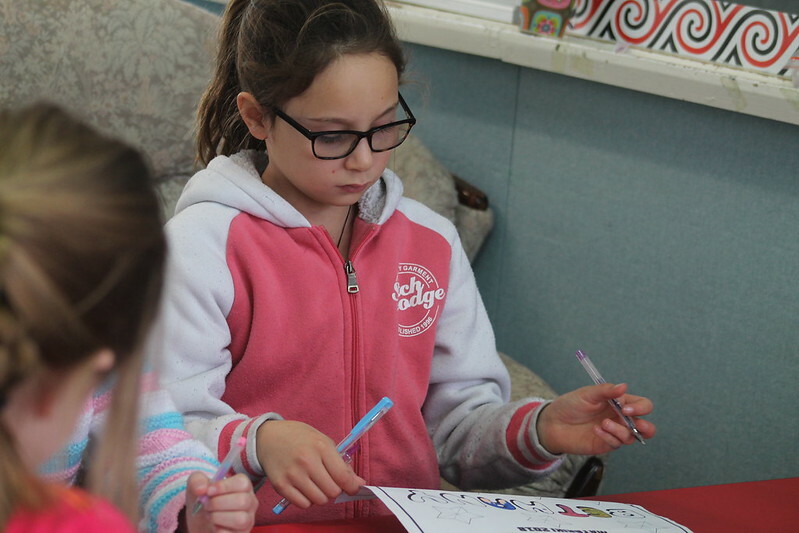 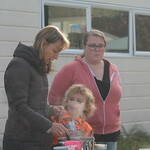 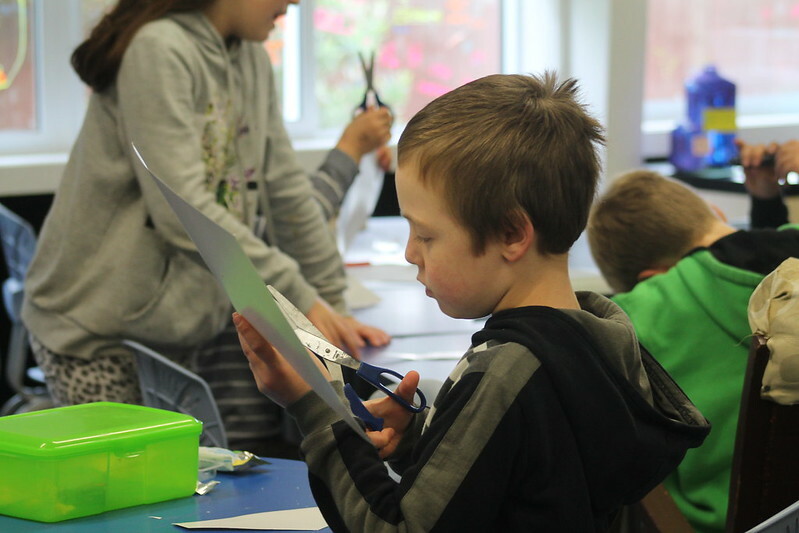 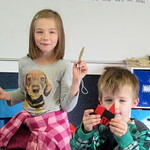 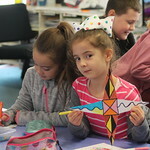 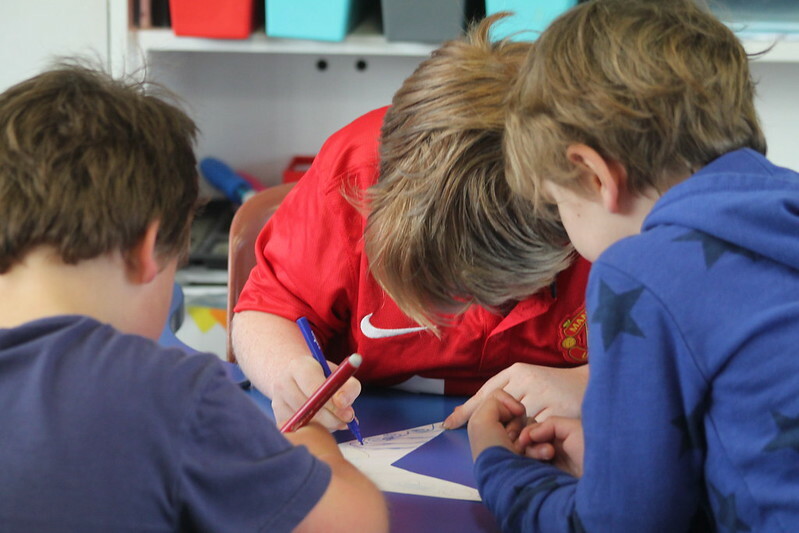 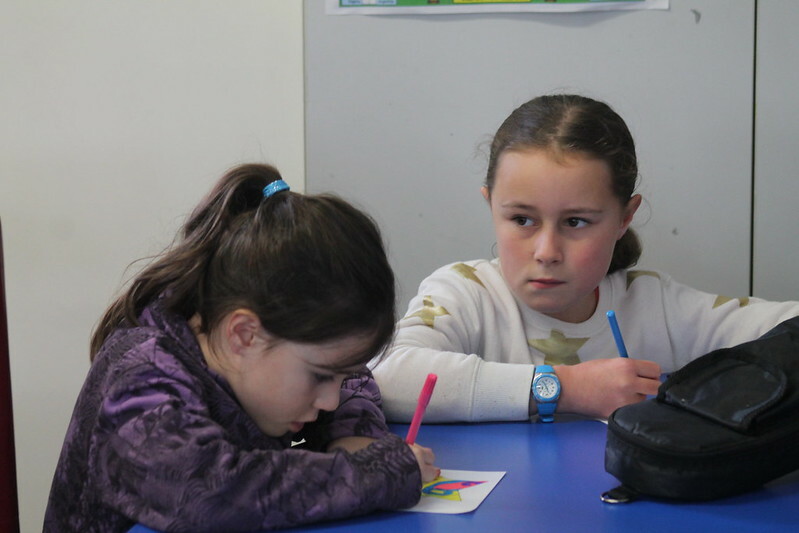 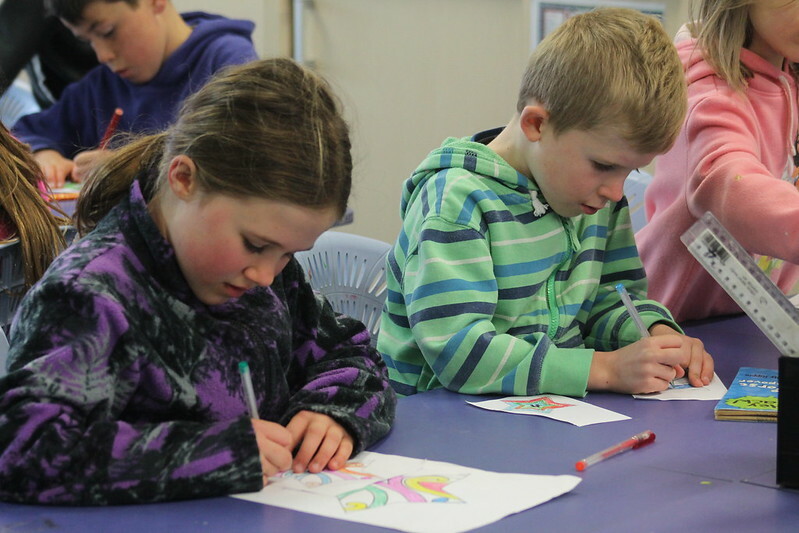 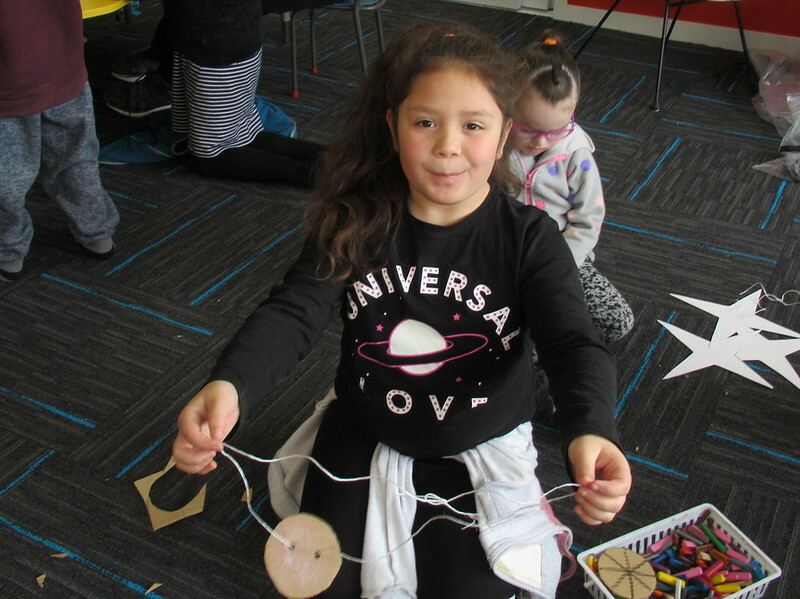 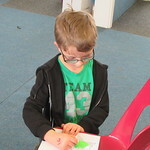 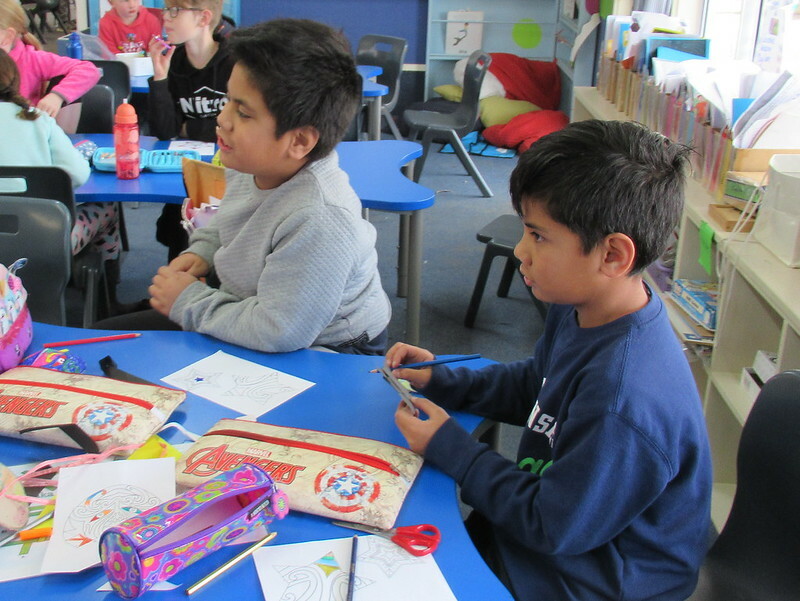 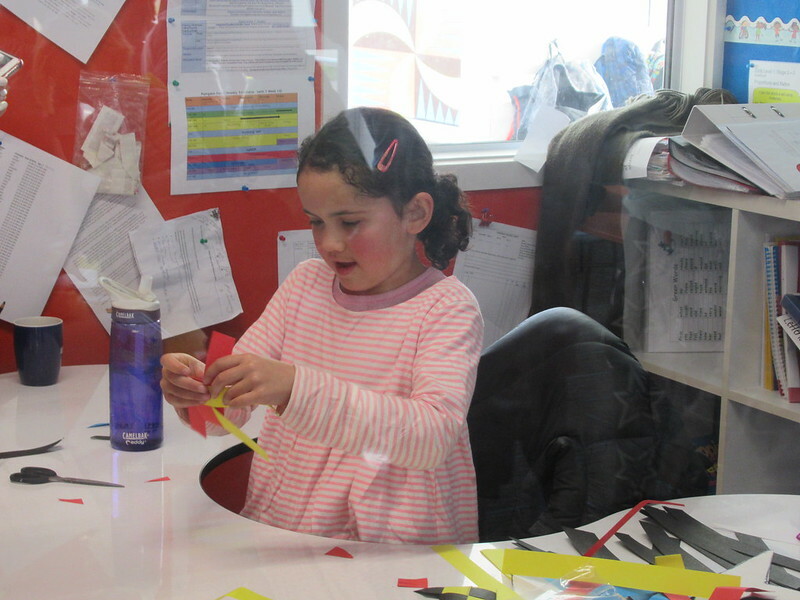 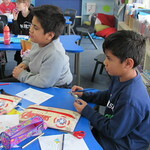 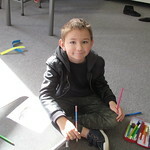 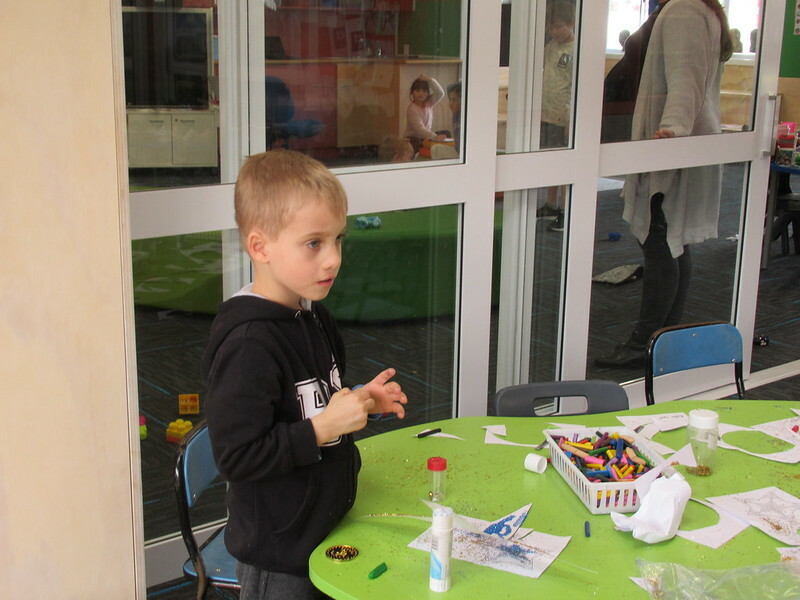 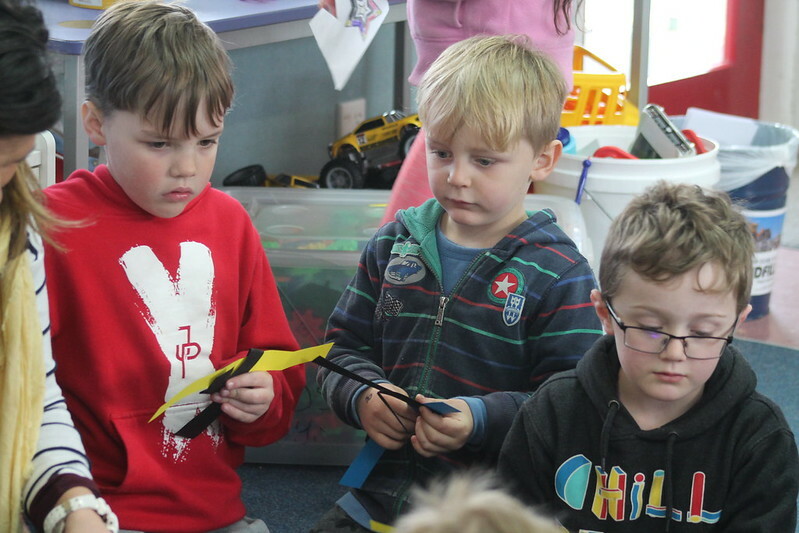 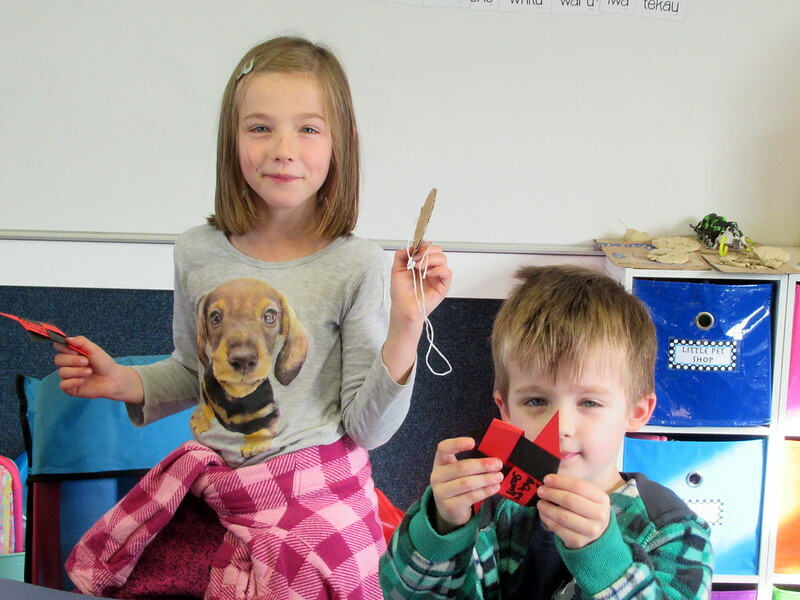 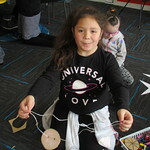 After playtime, the whanau groups got down to the serious business of craft making. 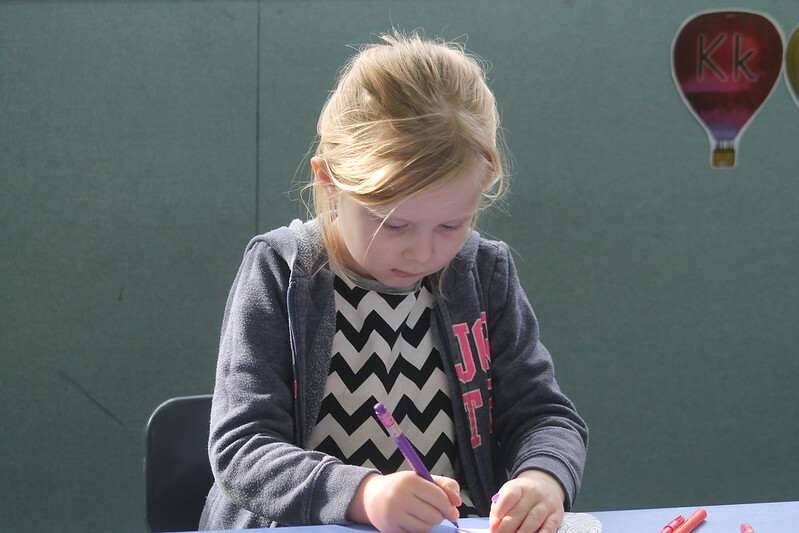 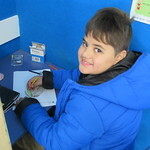 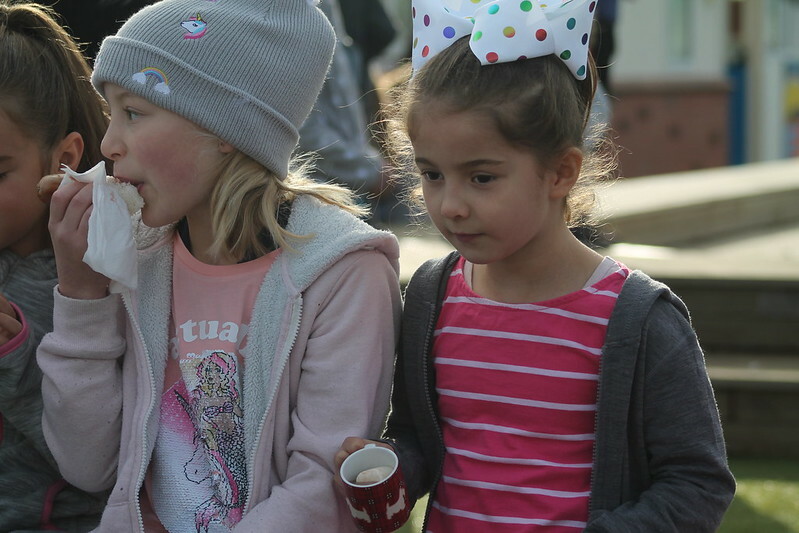 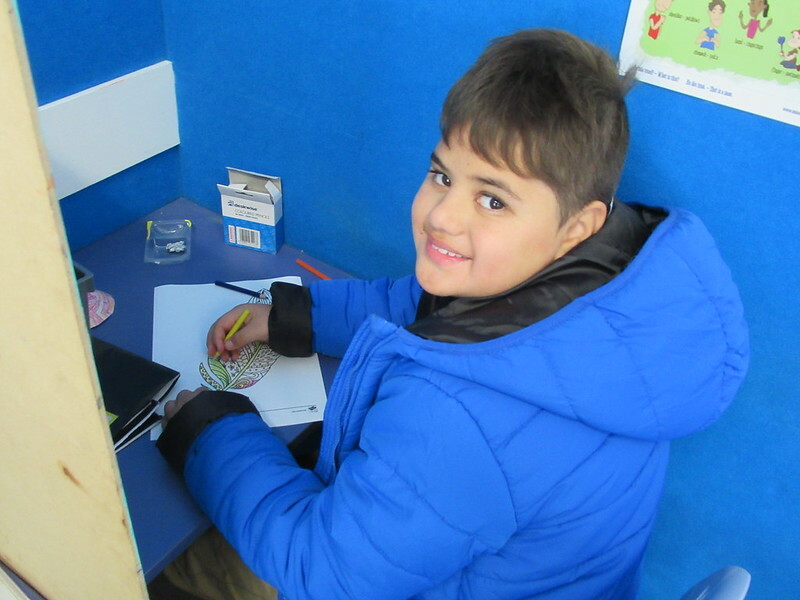 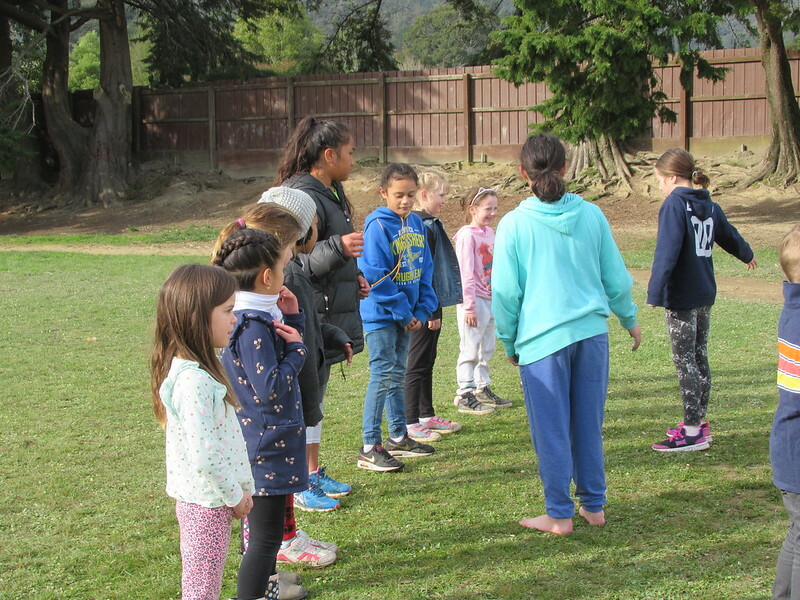 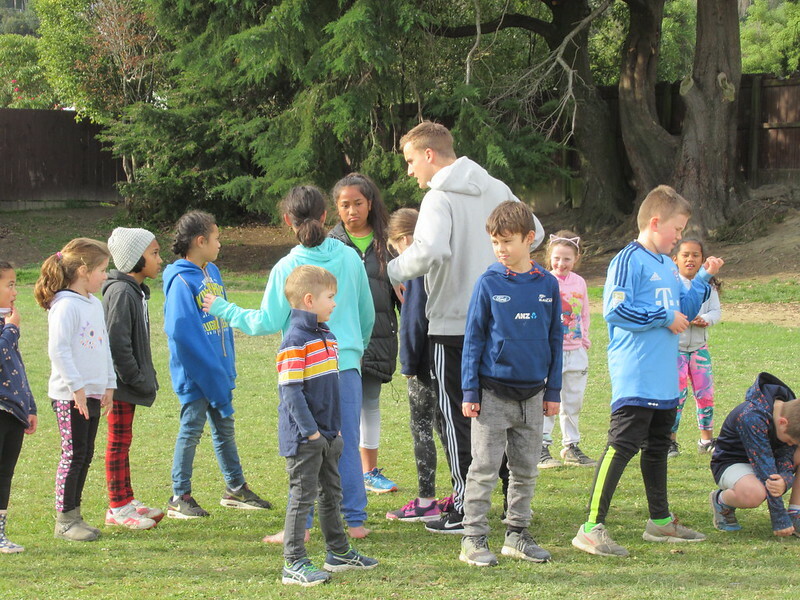 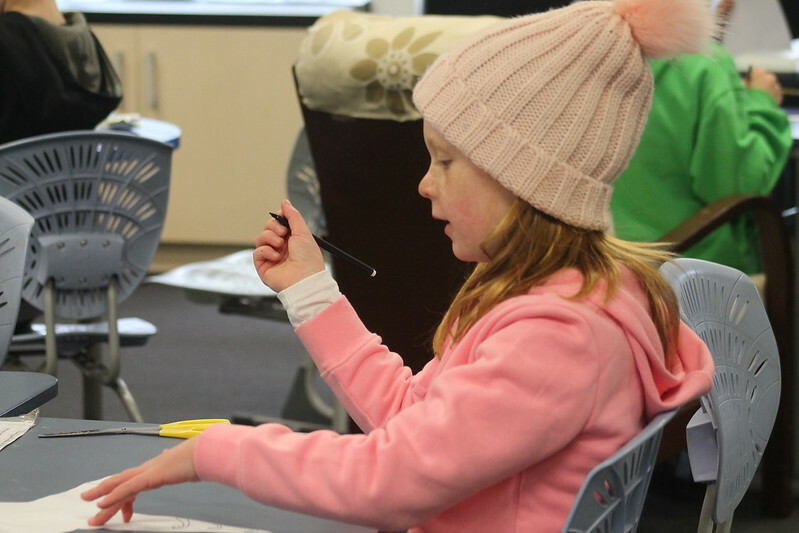 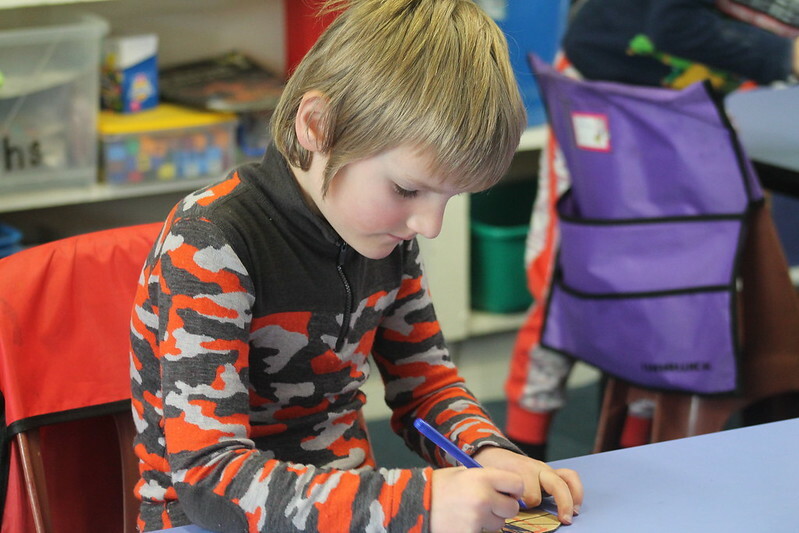 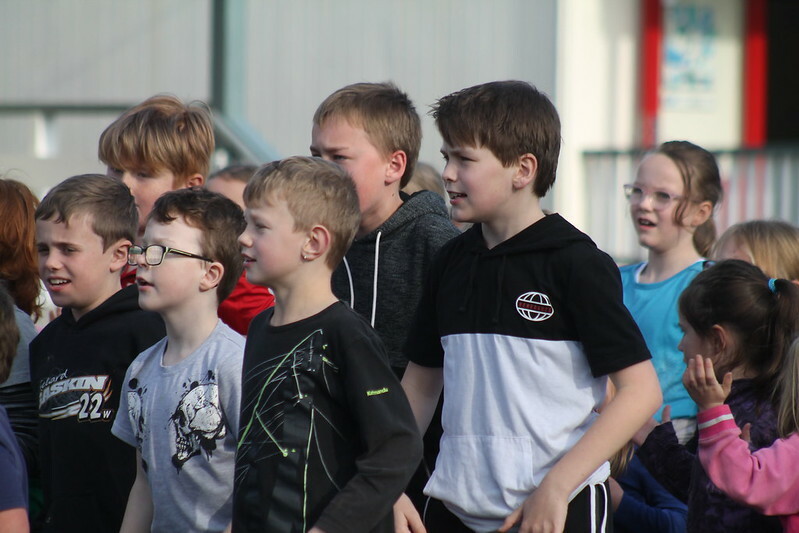 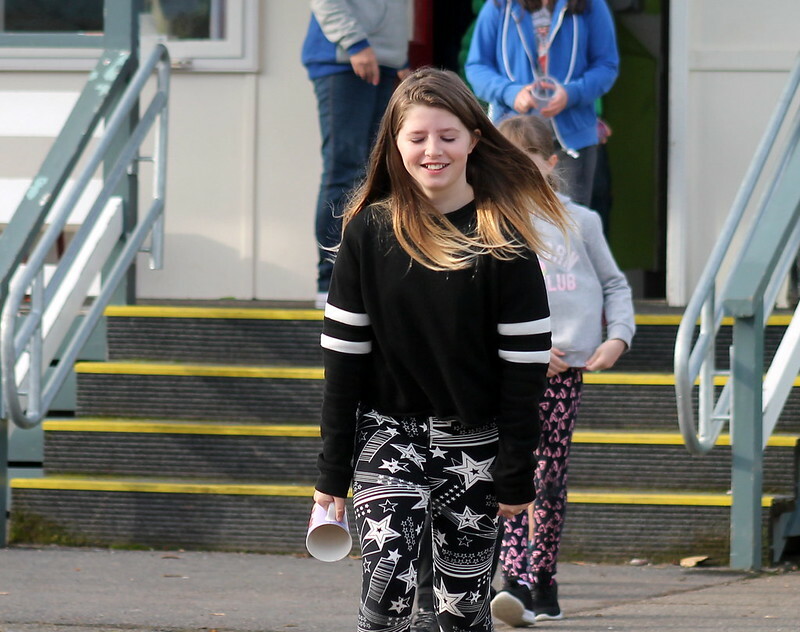 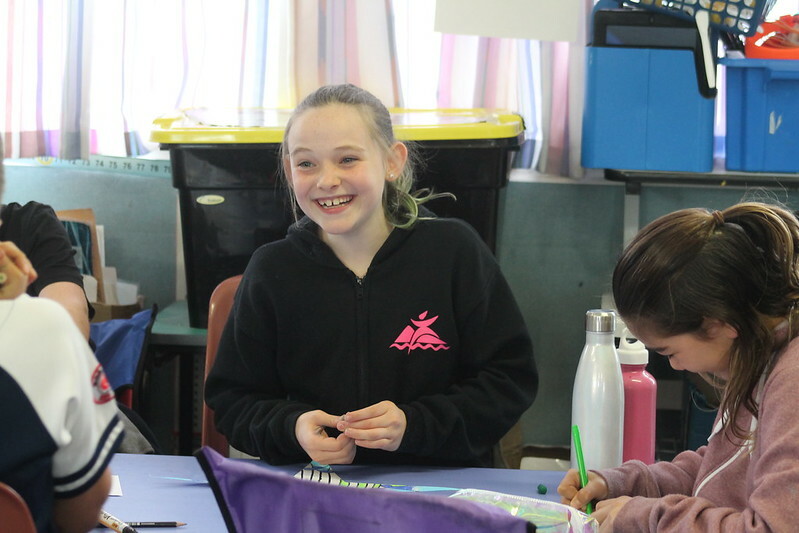 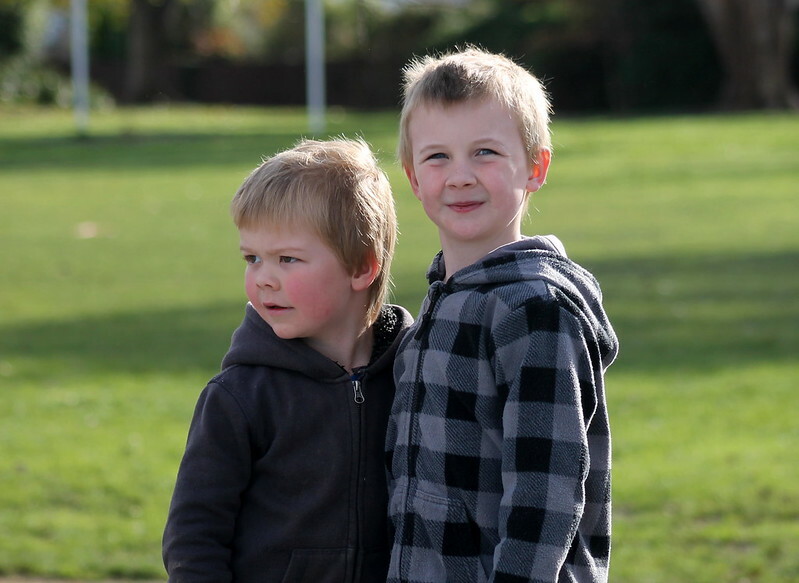 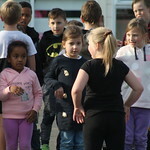 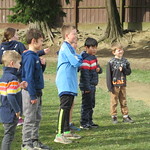 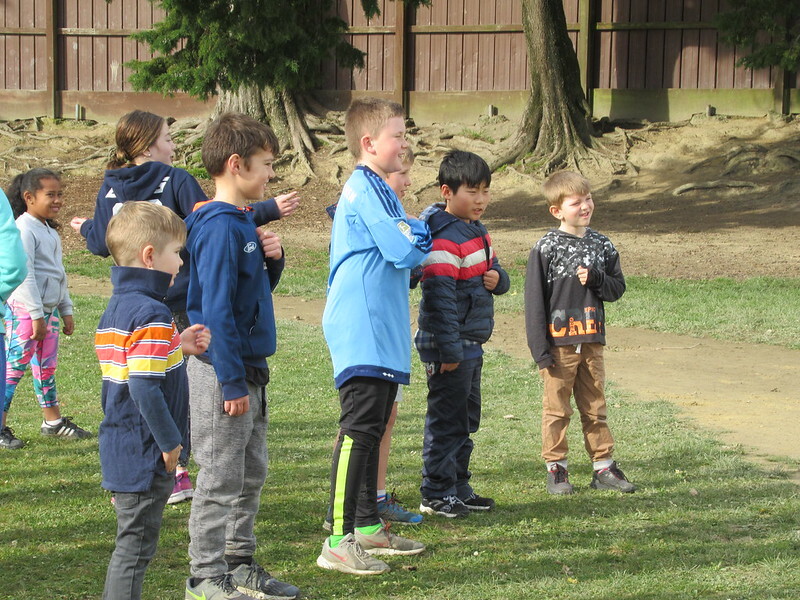 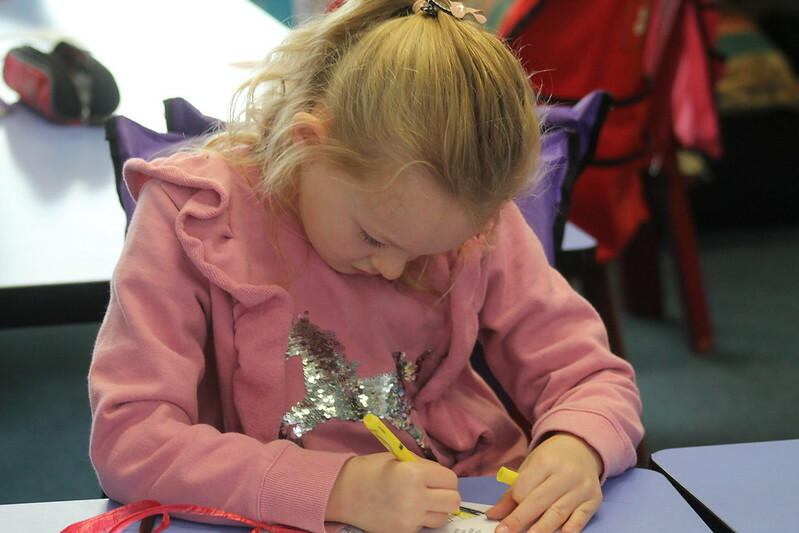 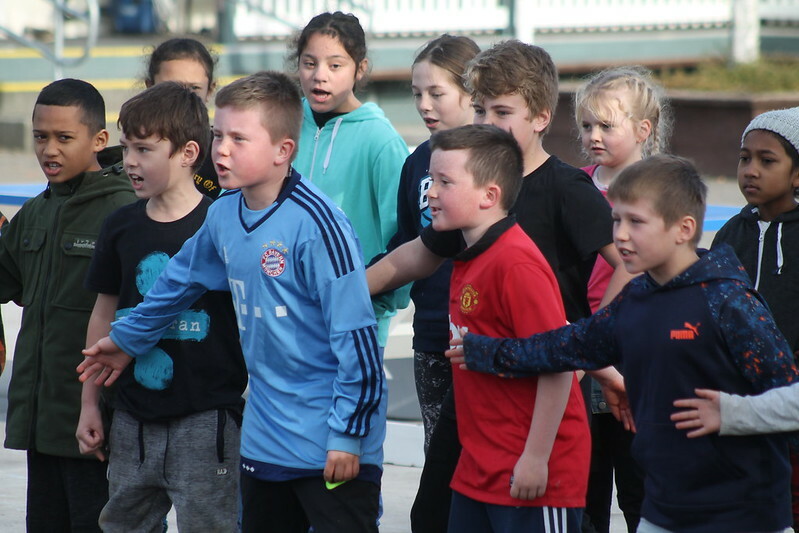 It was wonderful to see the older children helping the younger ones in the various activities and the siblings enjoying their time together in the group. 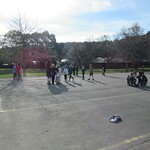 After lunch all the groups came together in the forecourt. 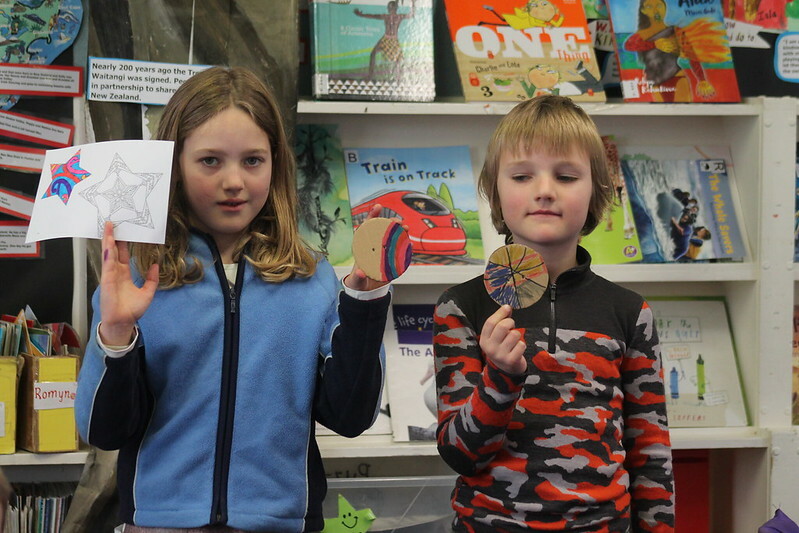 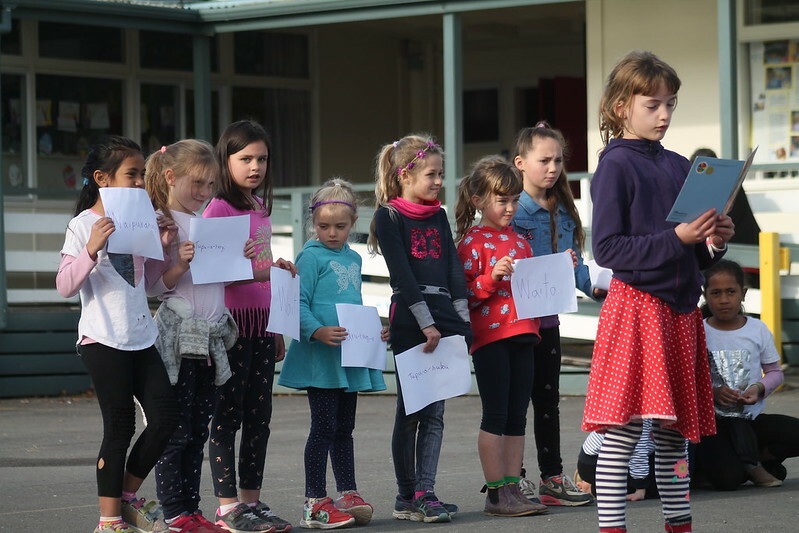 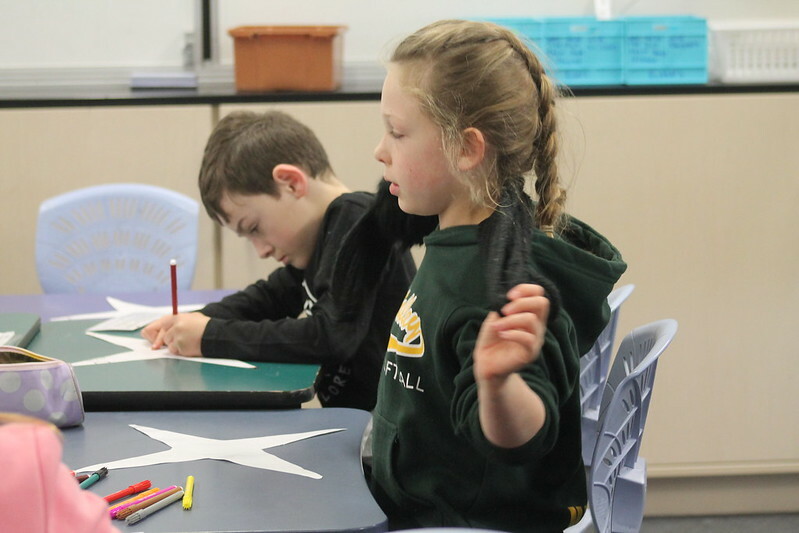 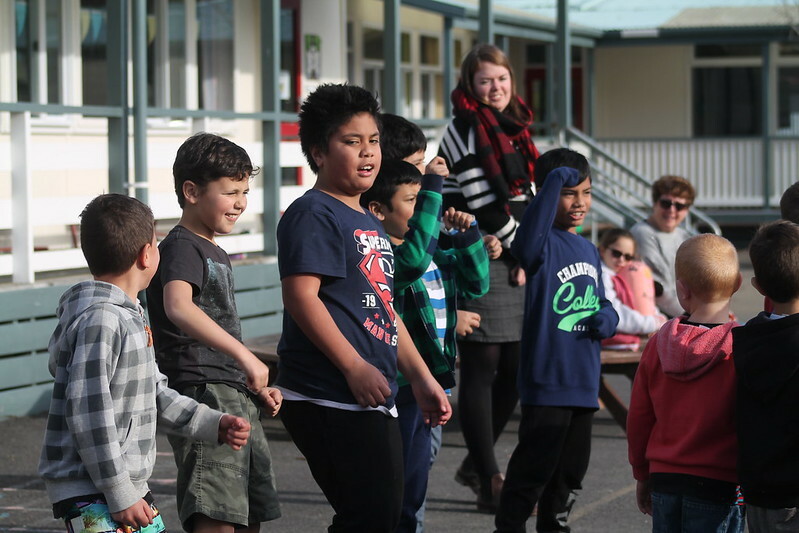 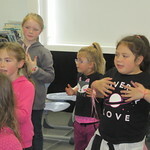 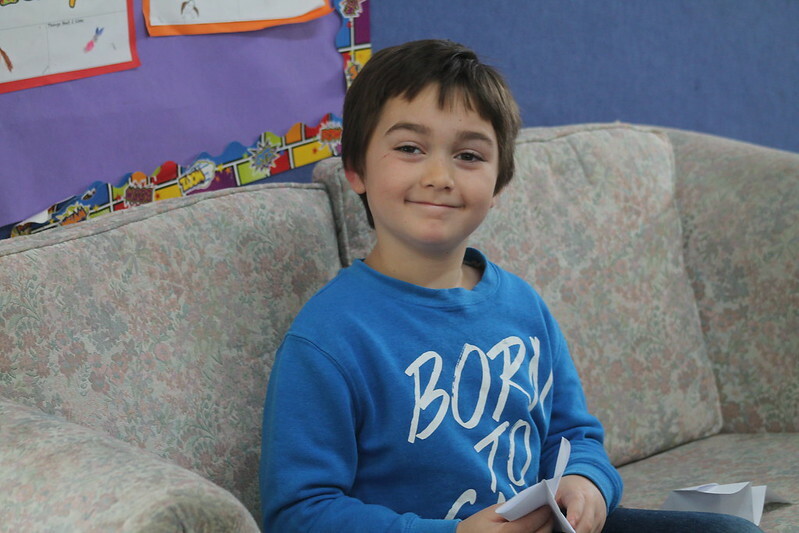 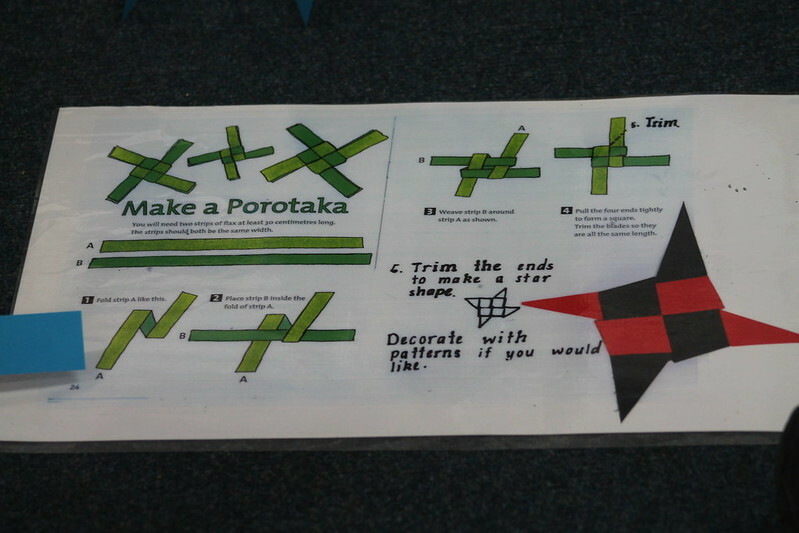 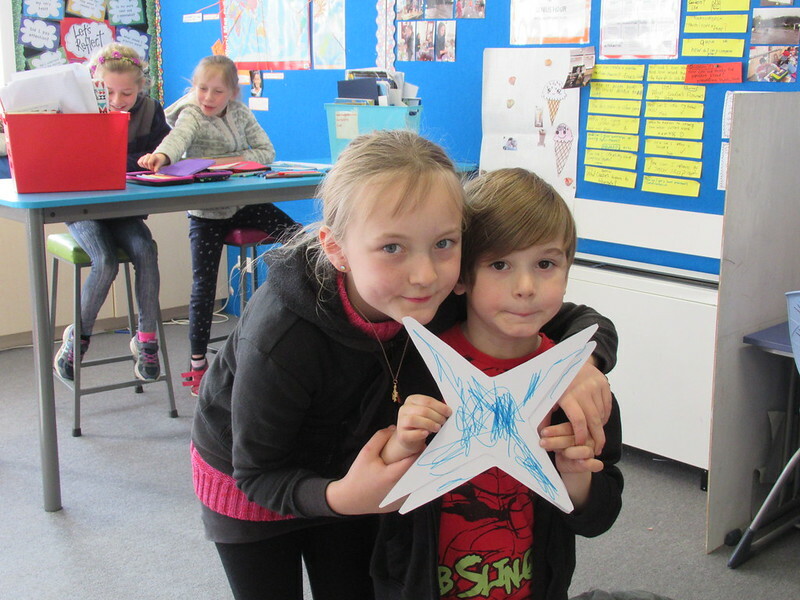 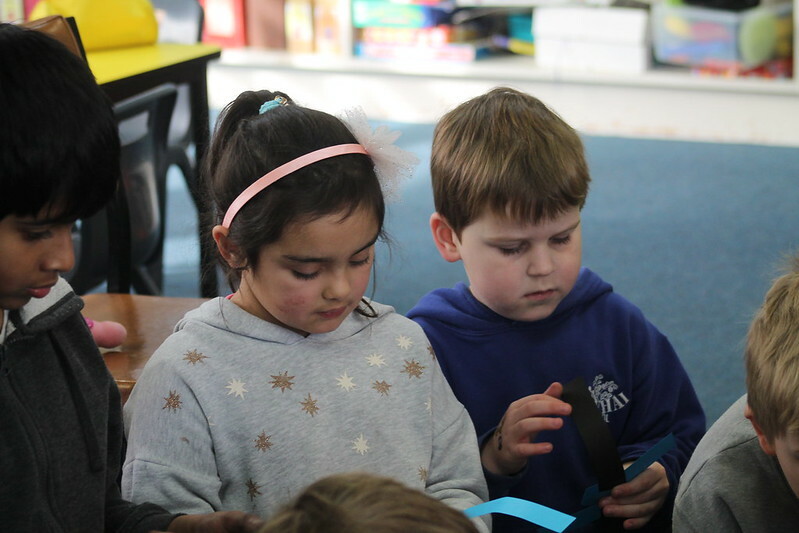 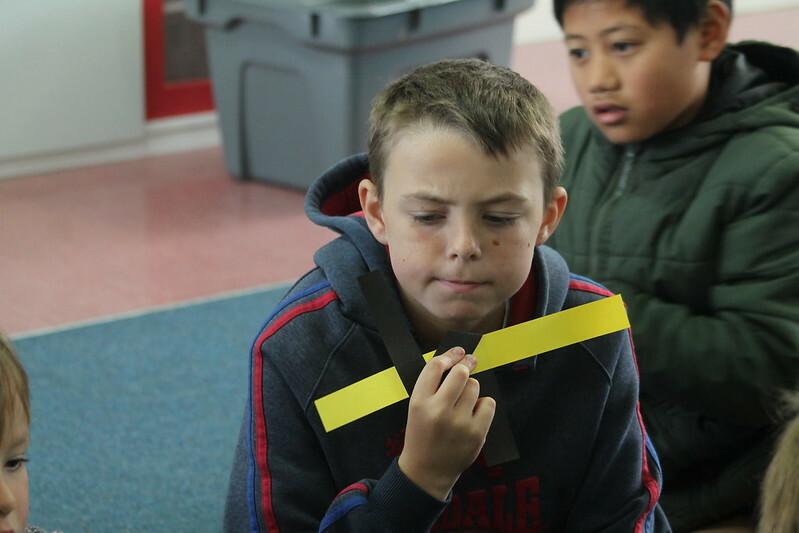 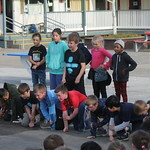 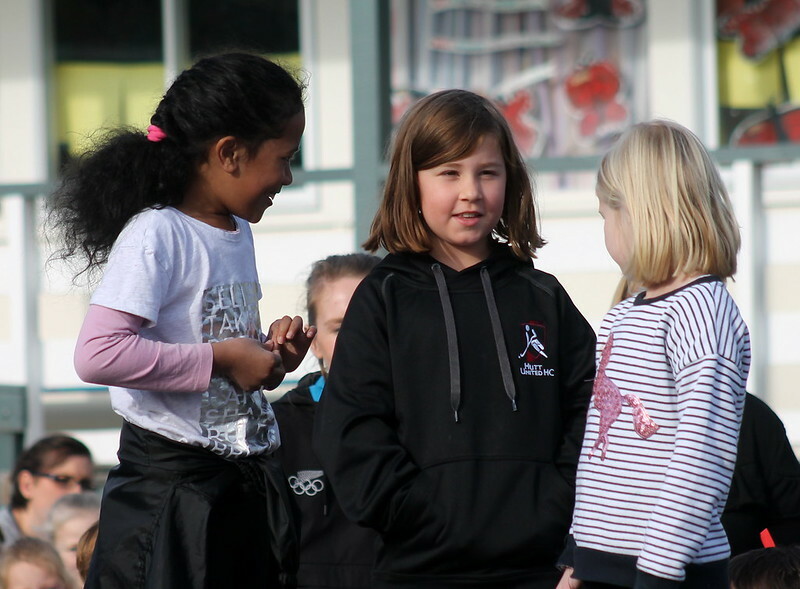 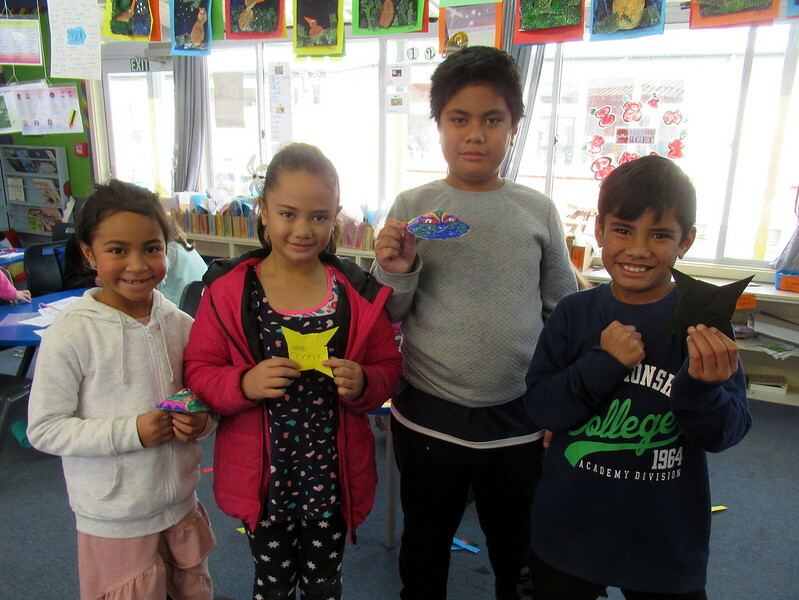 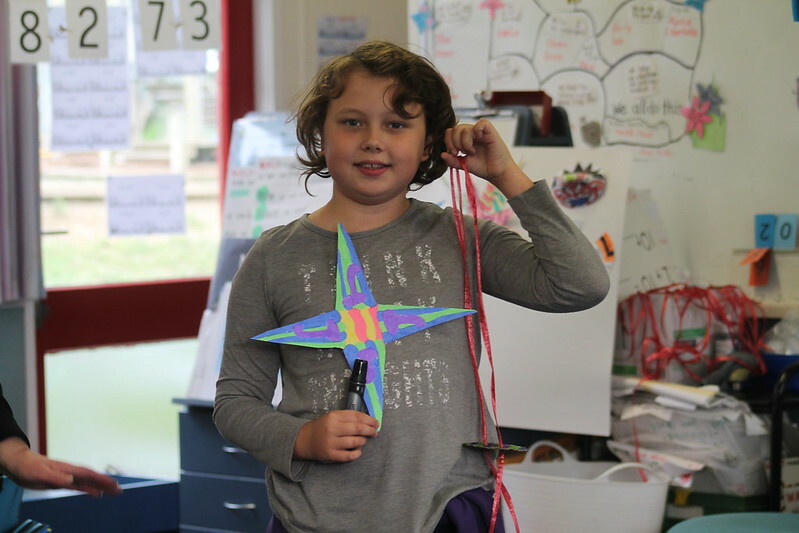 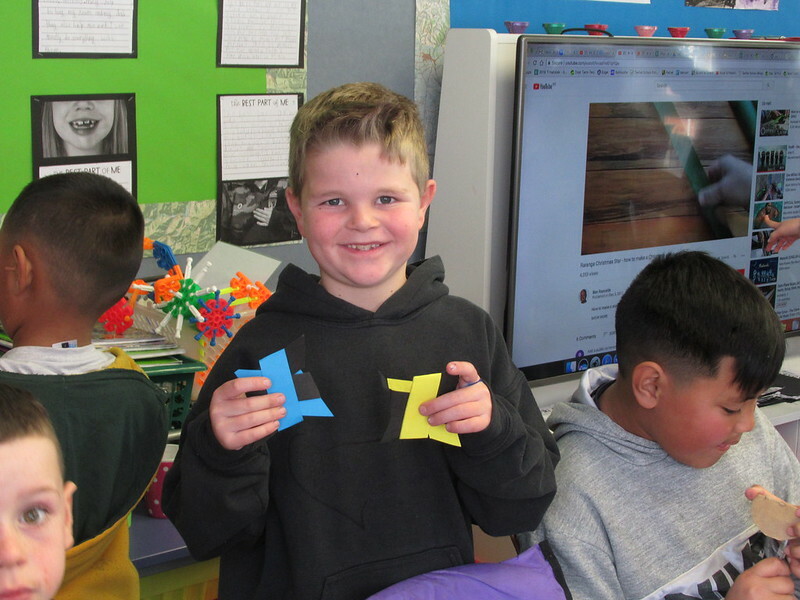 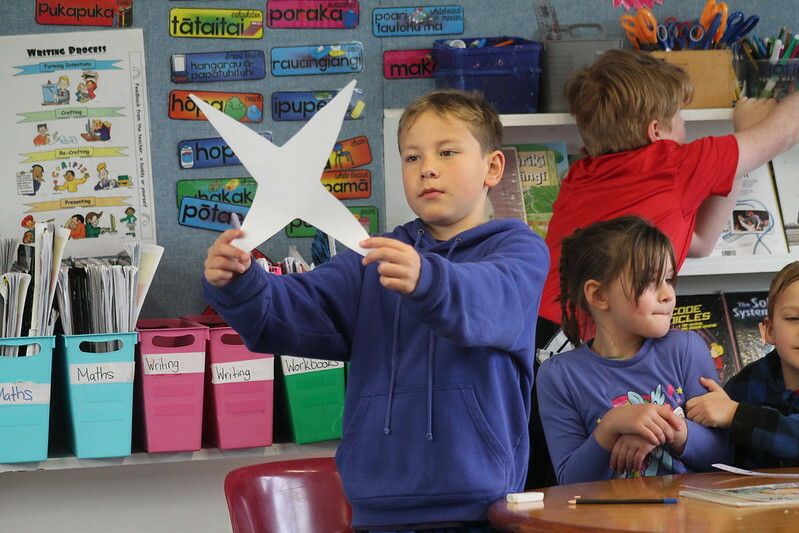 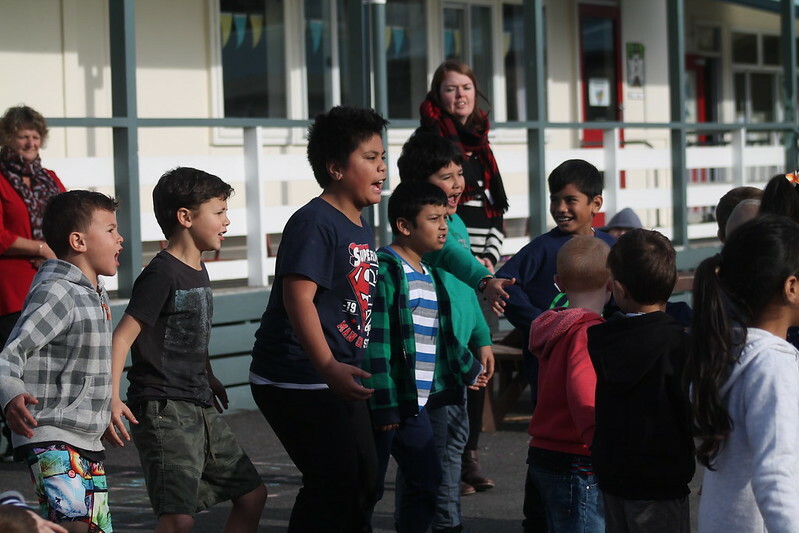 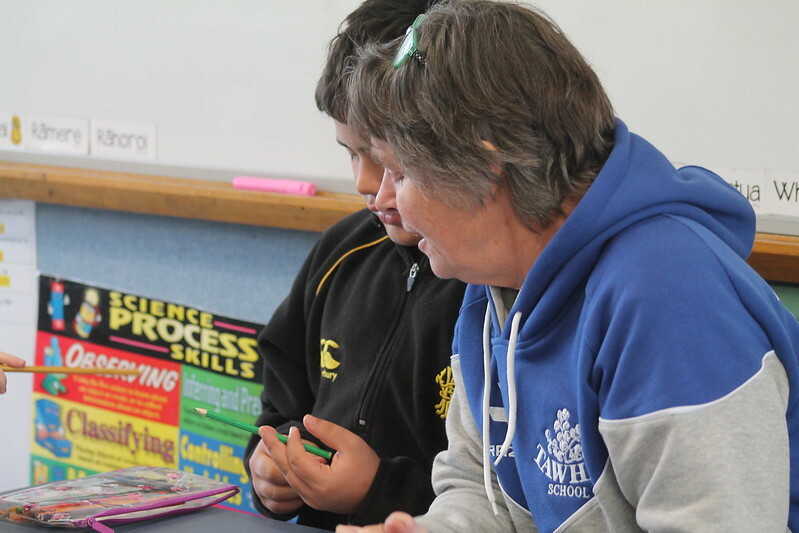 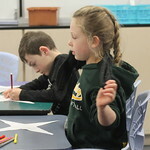 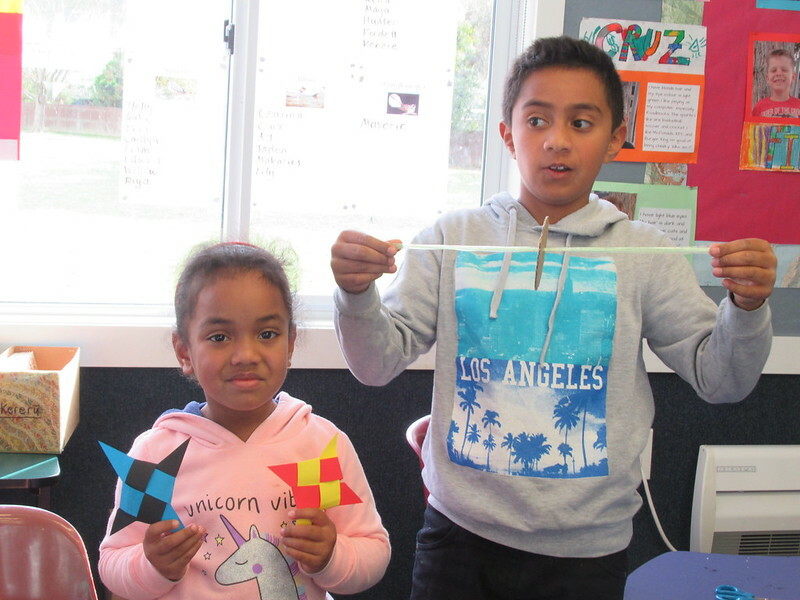 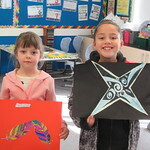 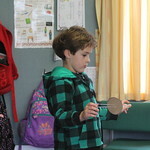 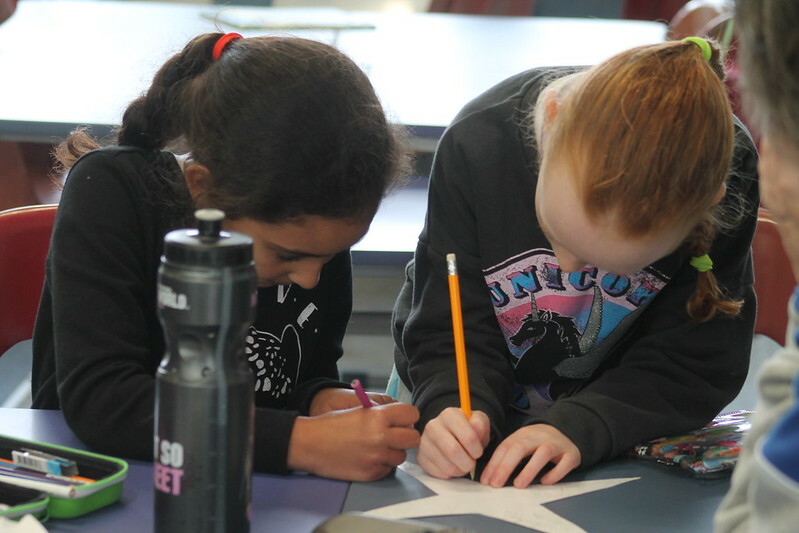 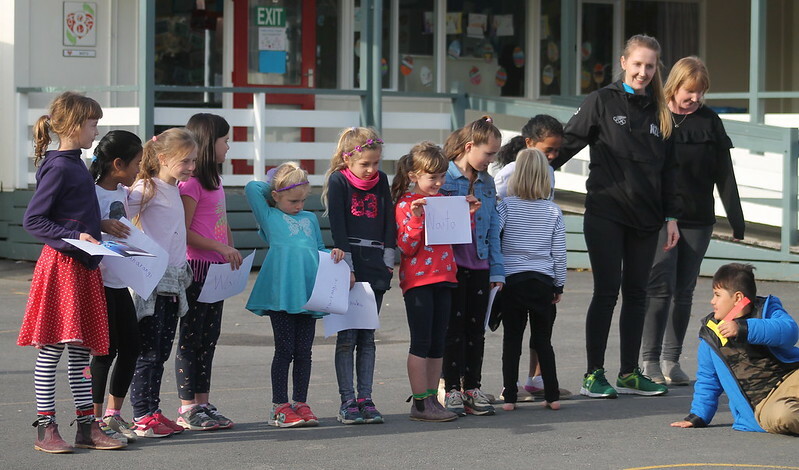 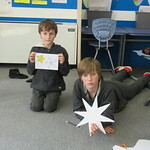 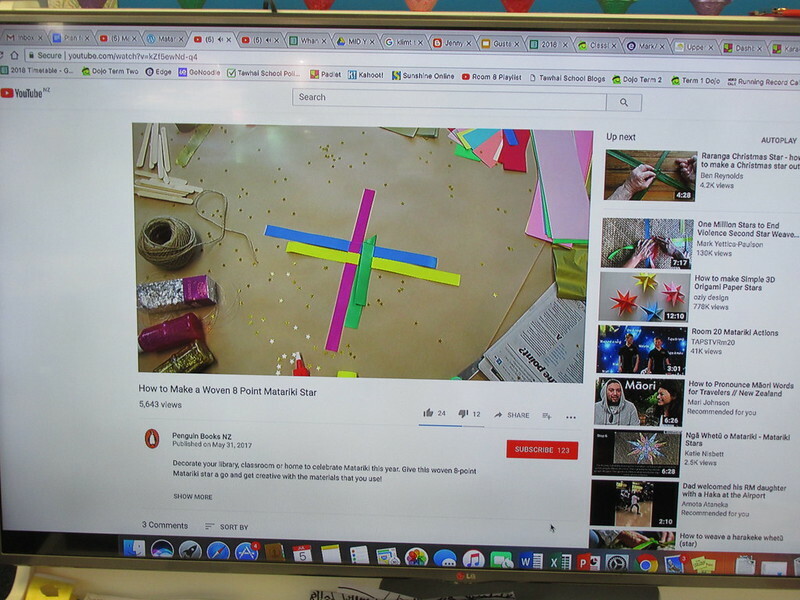 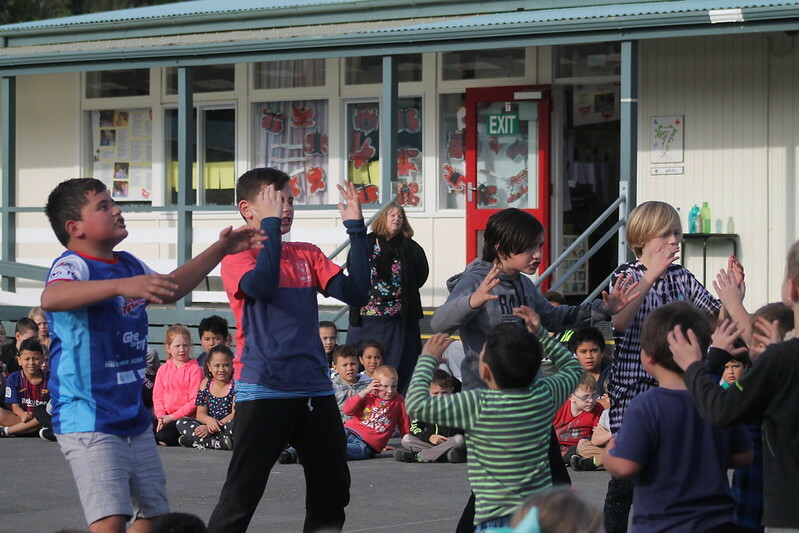 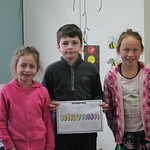 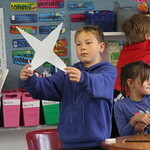 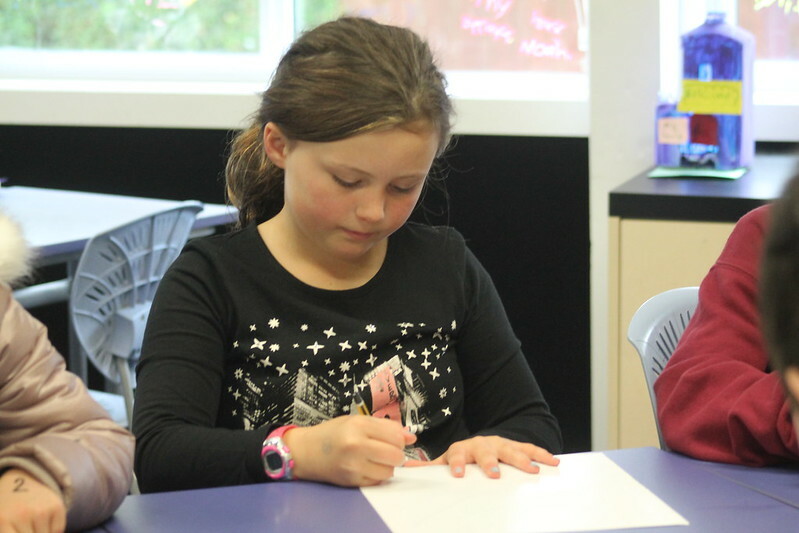 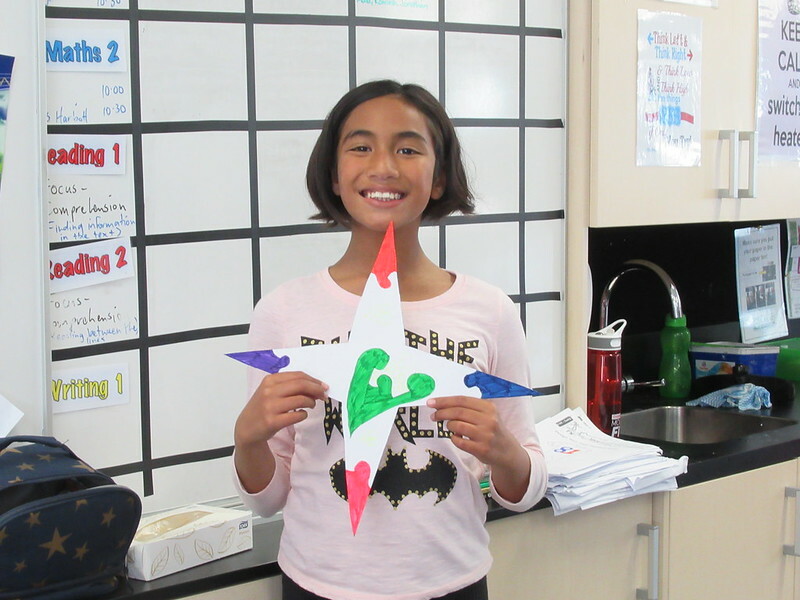 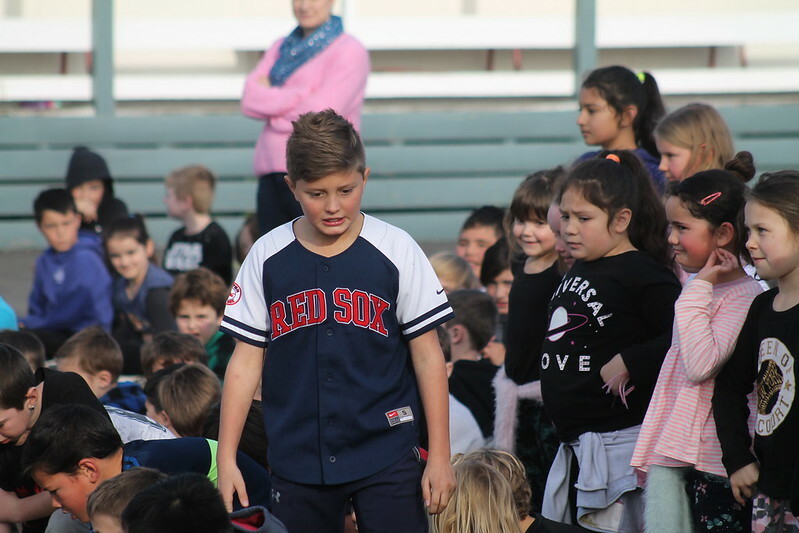 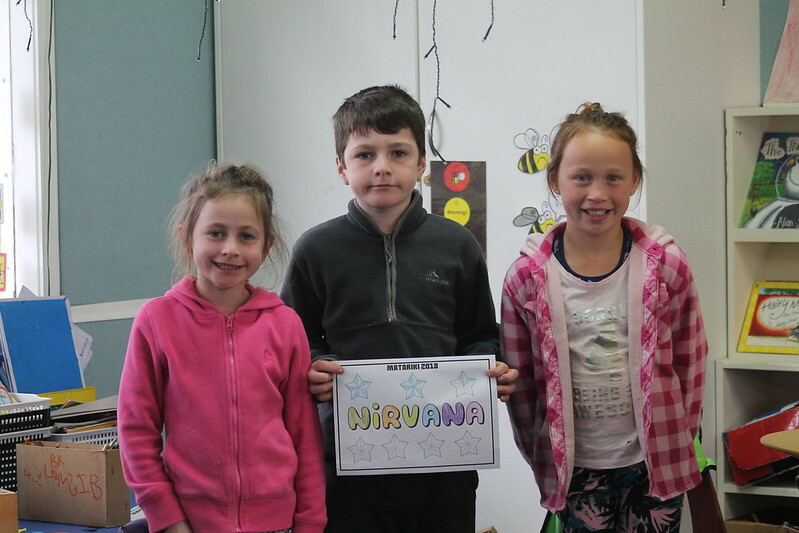 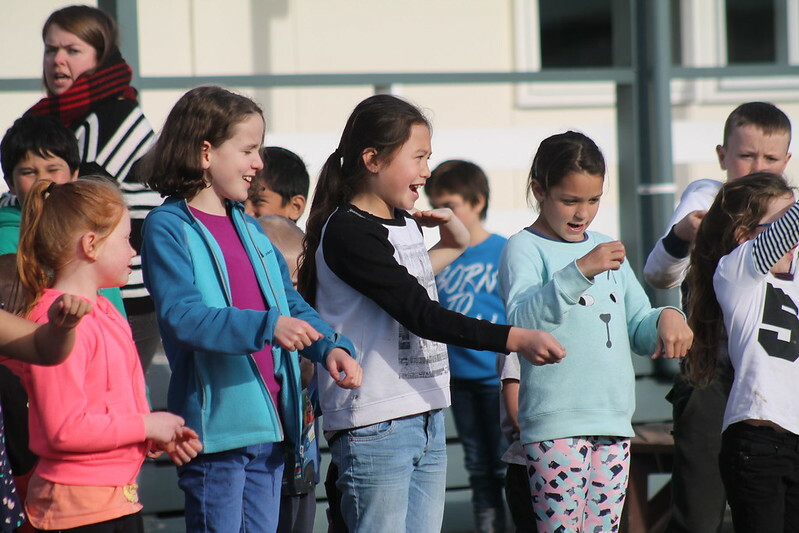 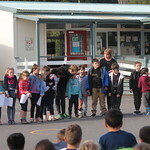 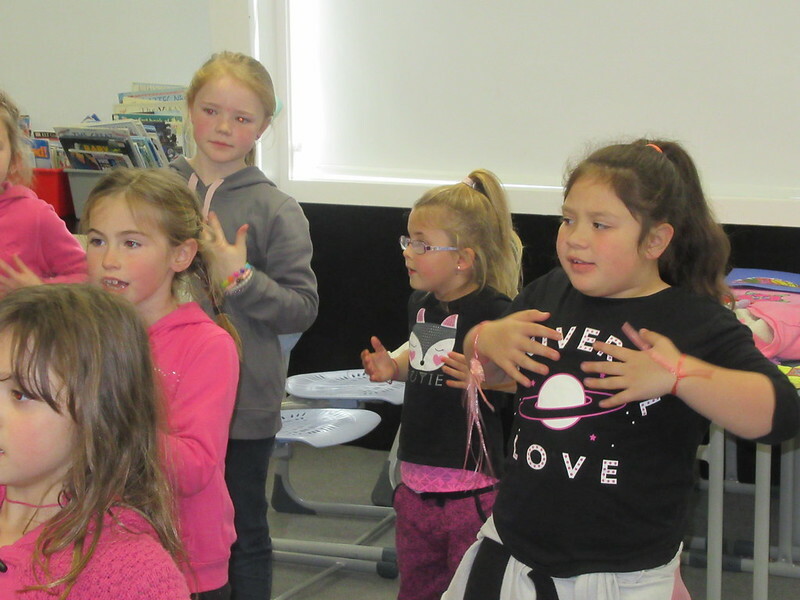 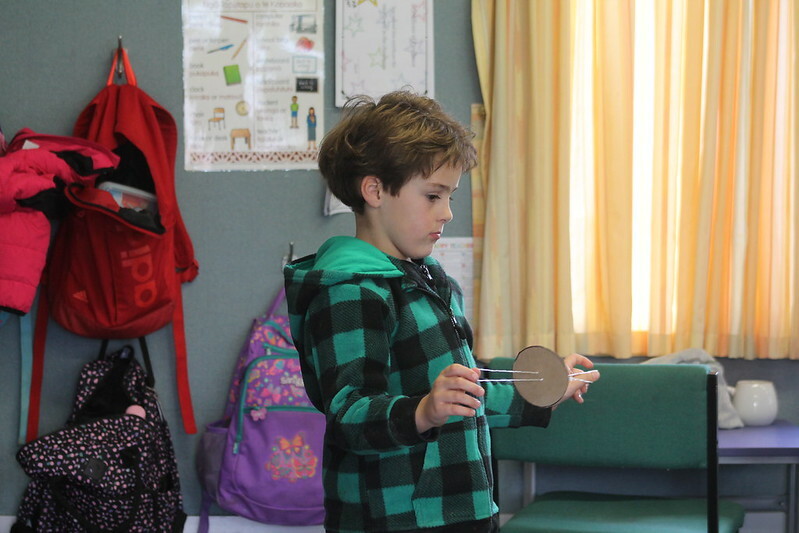 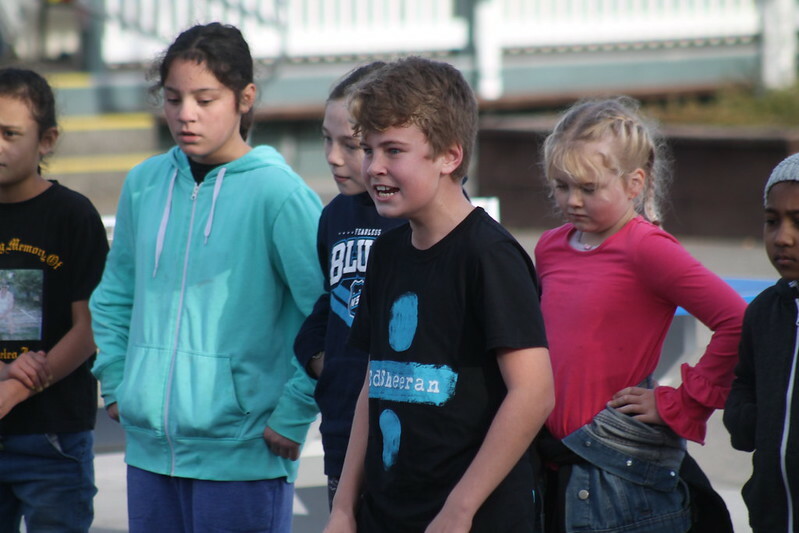 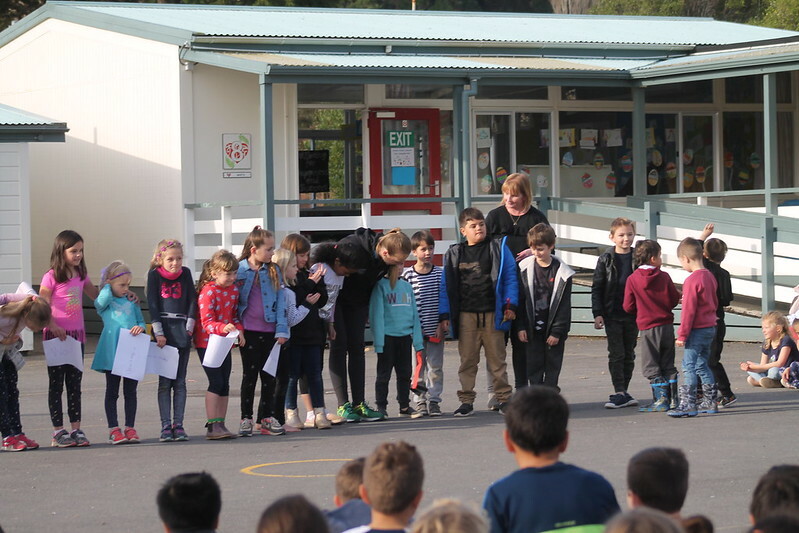 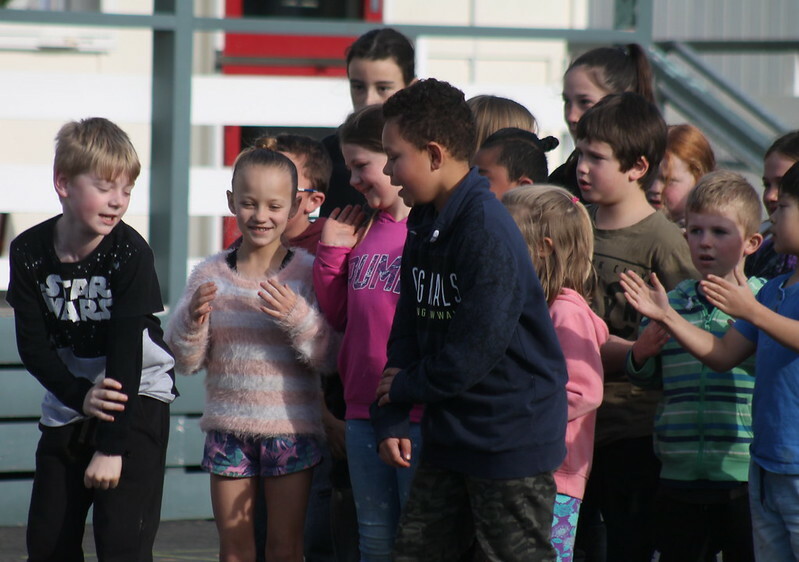 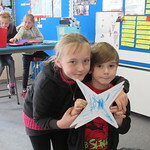 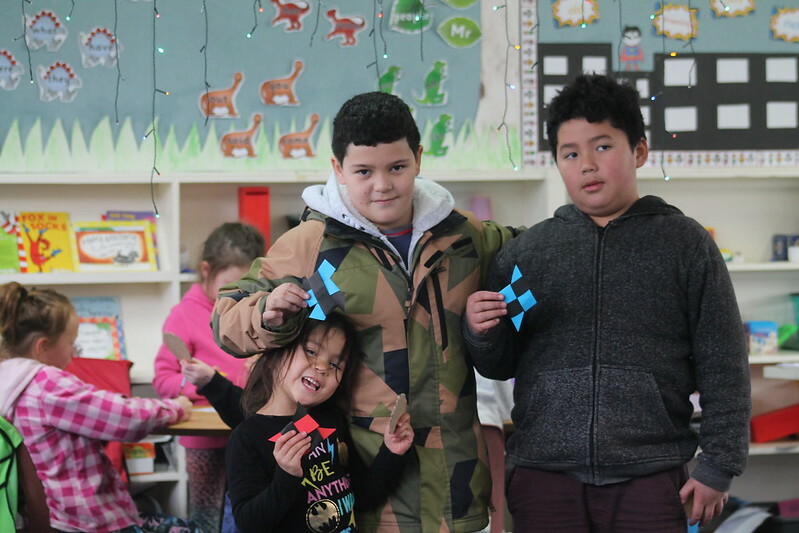 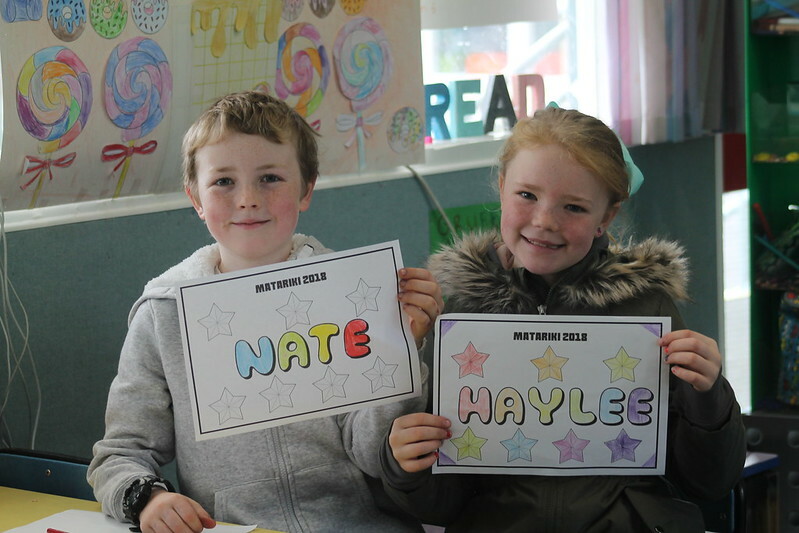 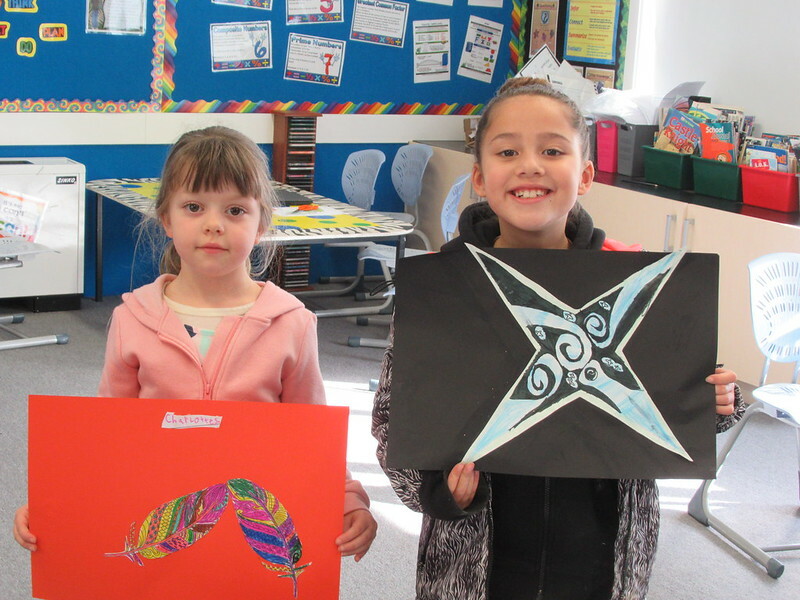 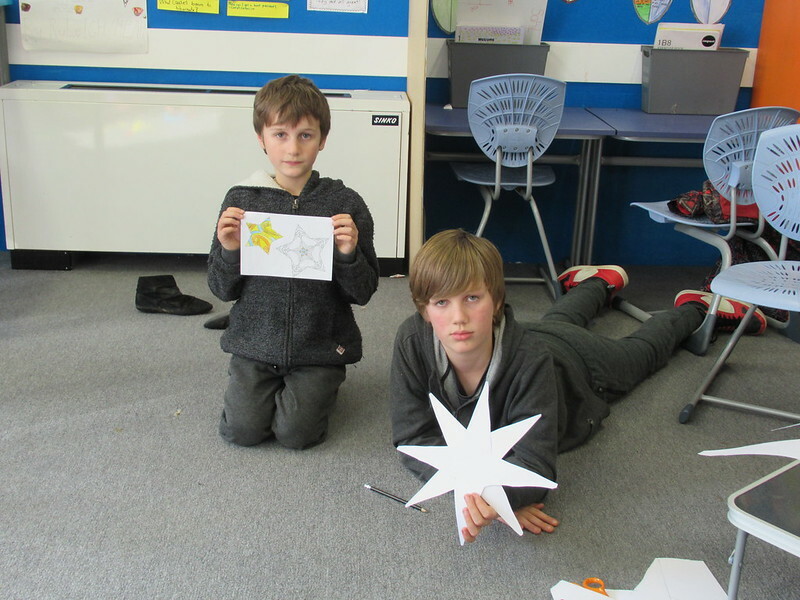 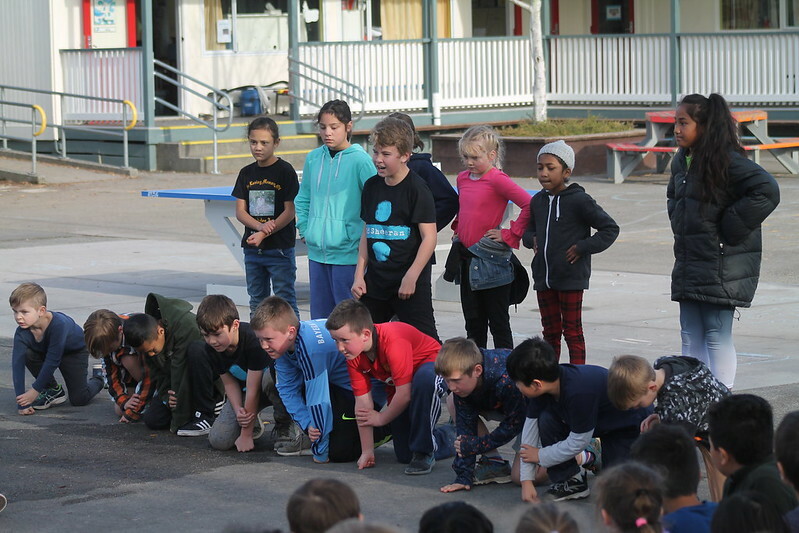 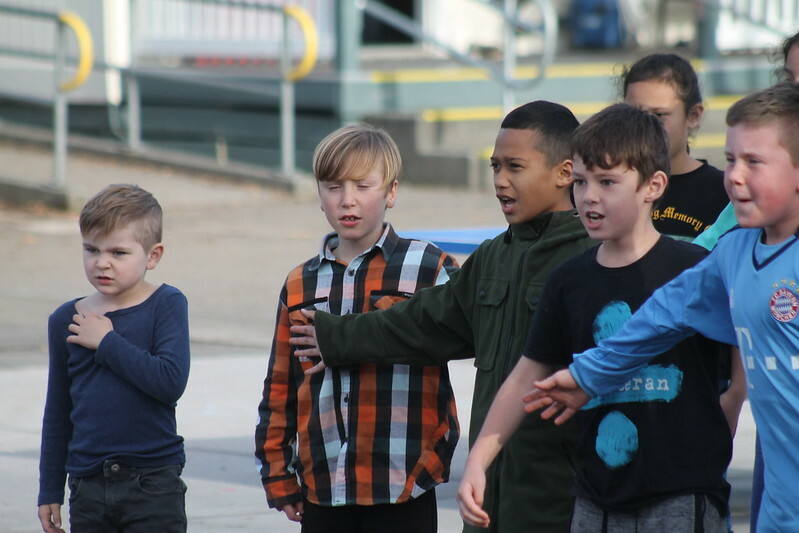 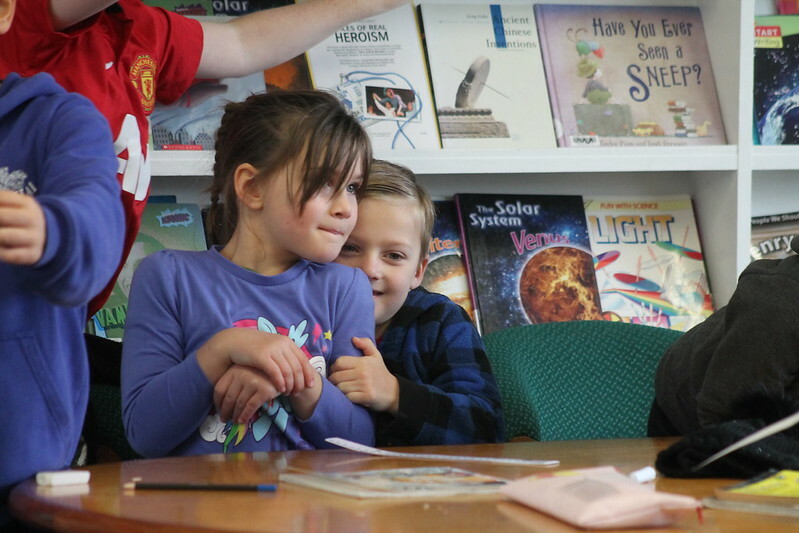 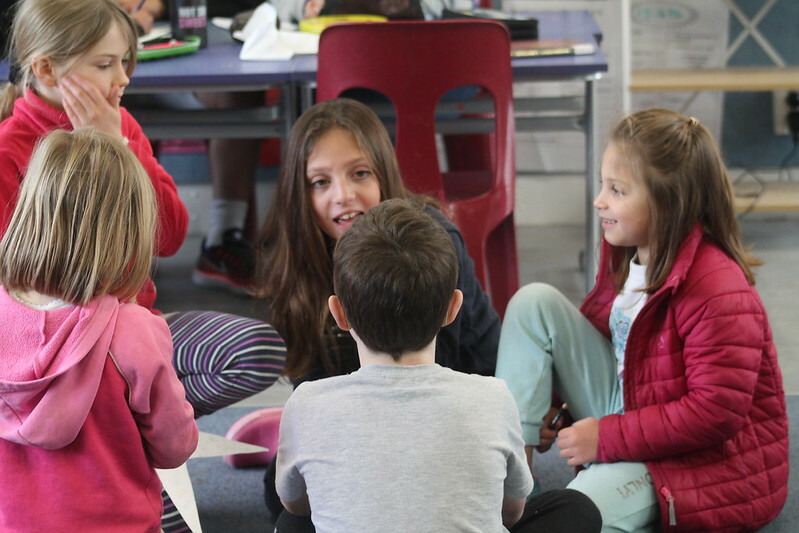 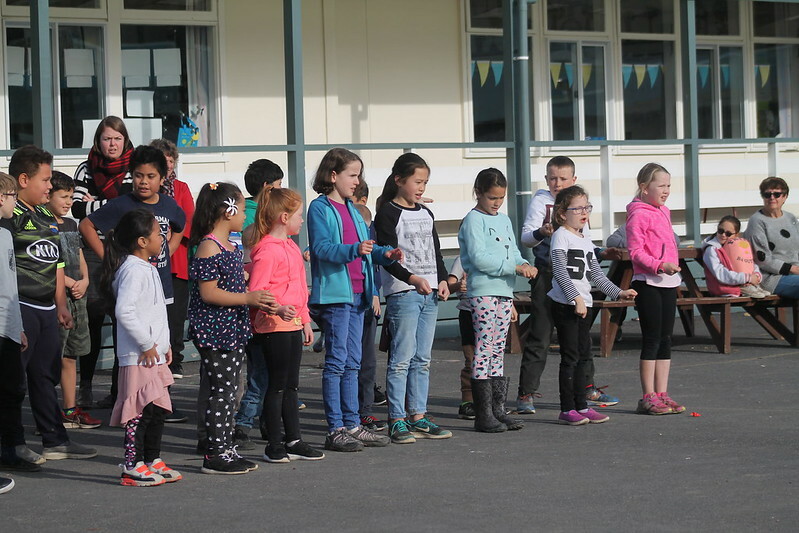 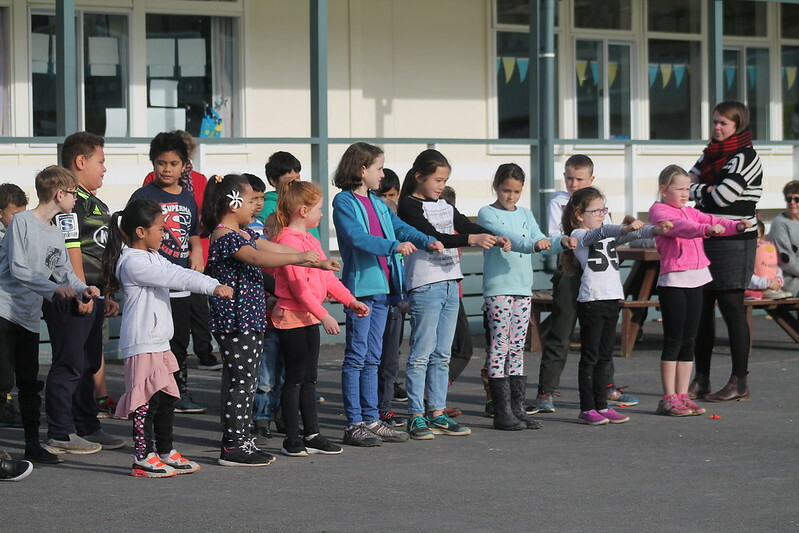 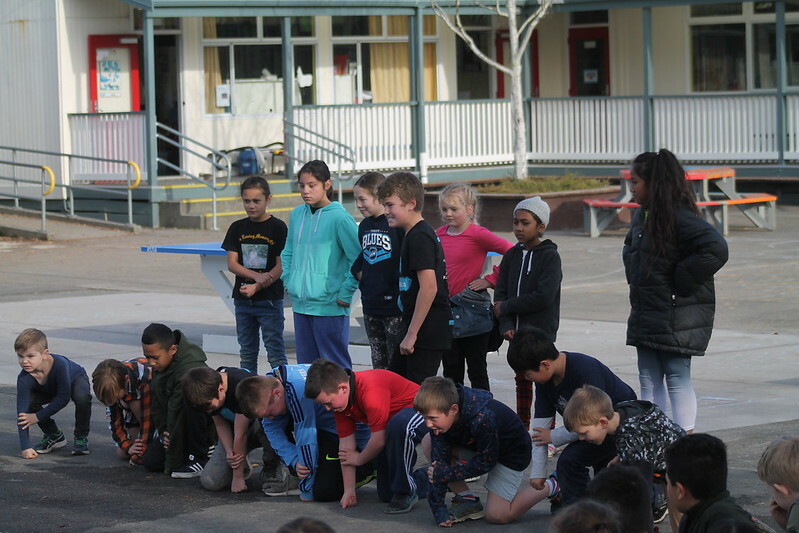 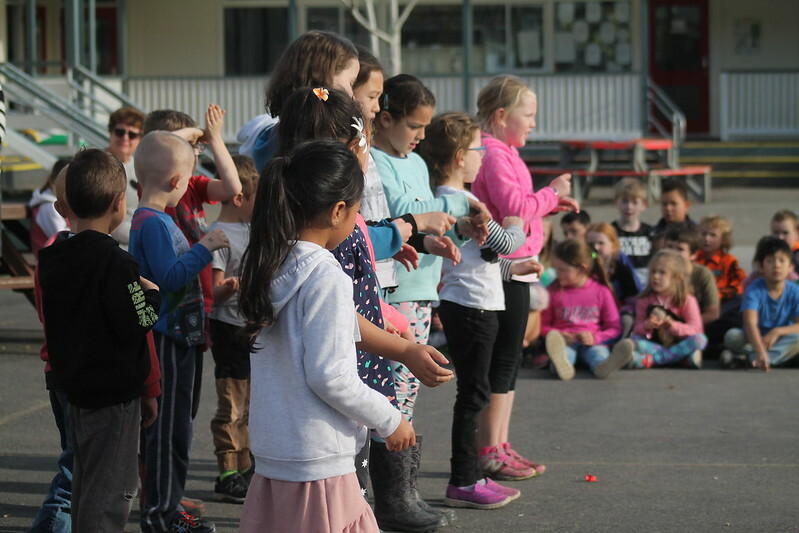 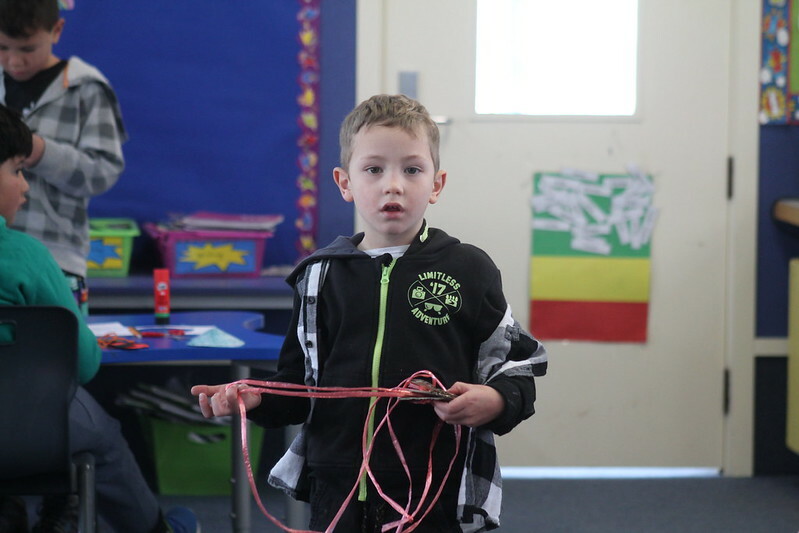 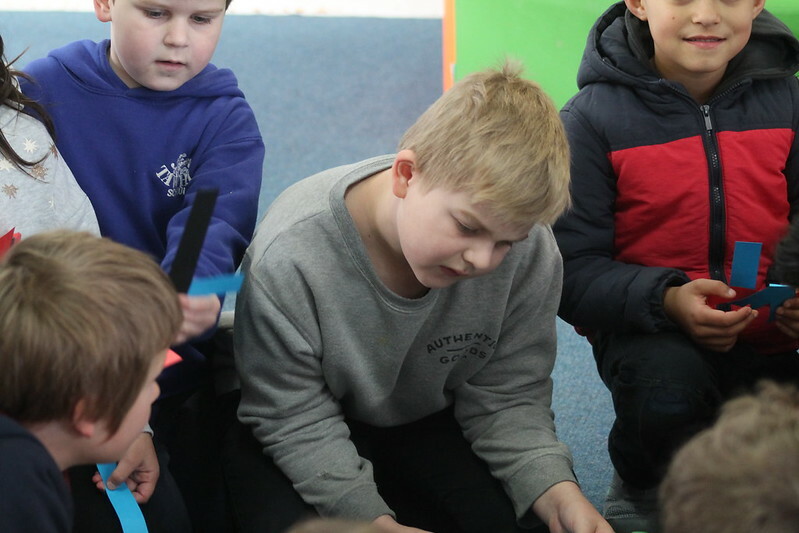 Miss Harbott’s group performed an impromptu play about Matariki. 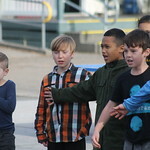 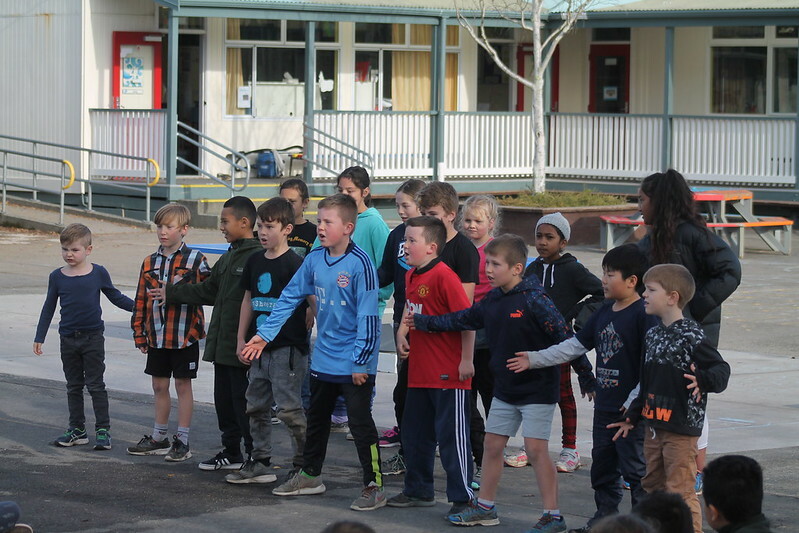 Then some of the groups performed Hakas or sang waiatas. 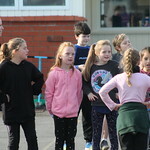 Everyone did so well! 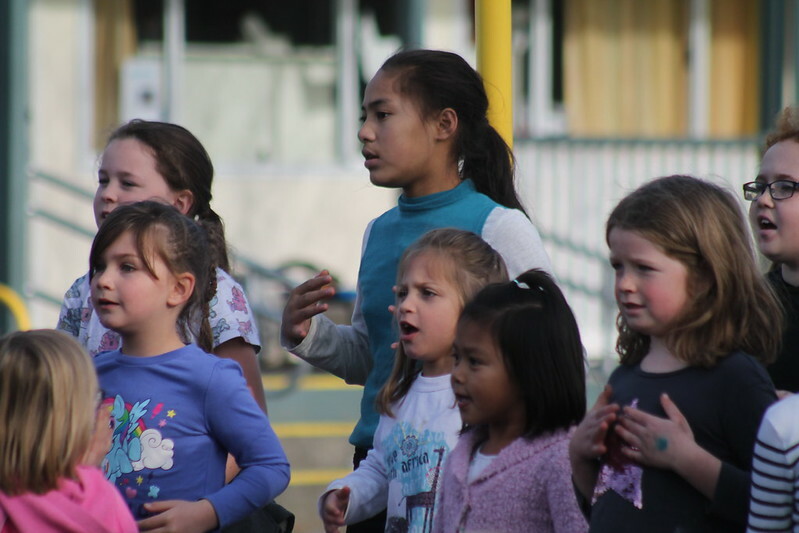 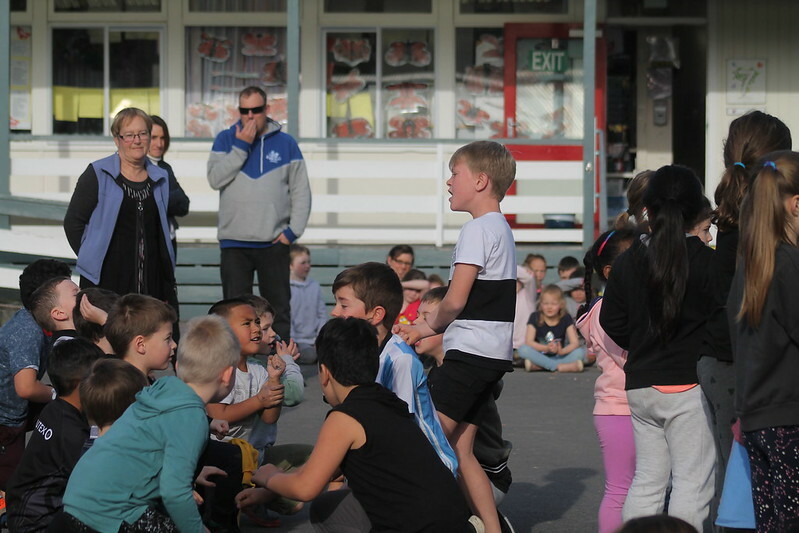 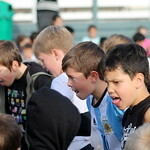 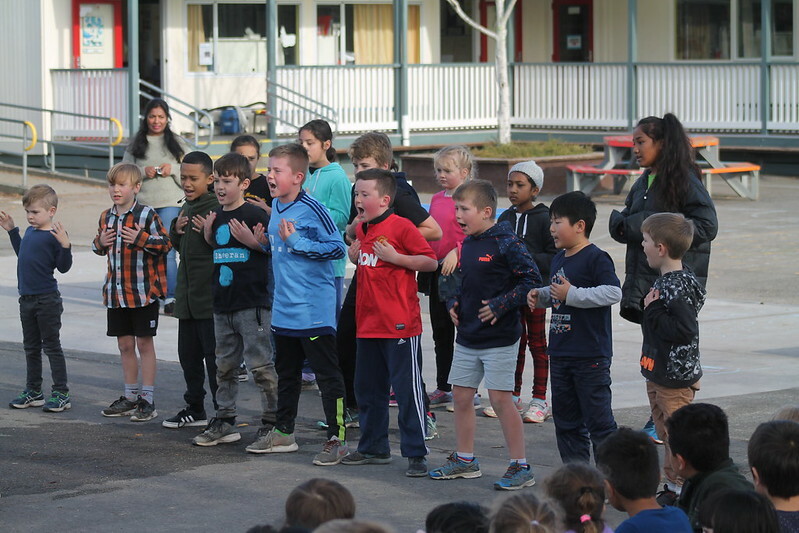 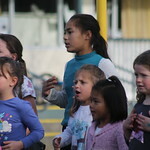 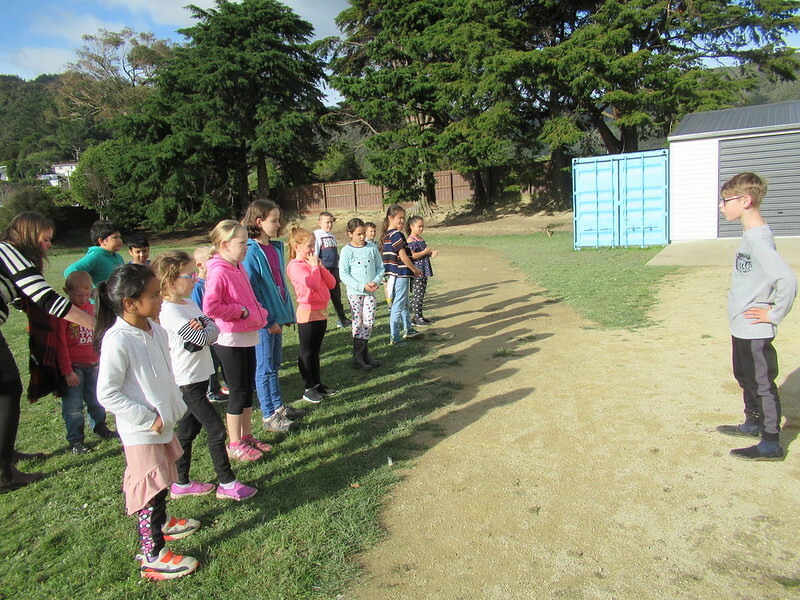 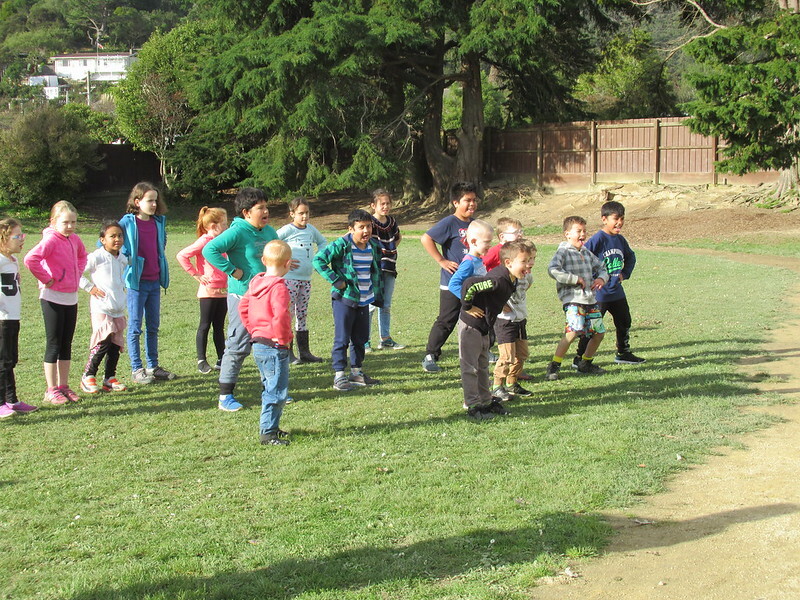 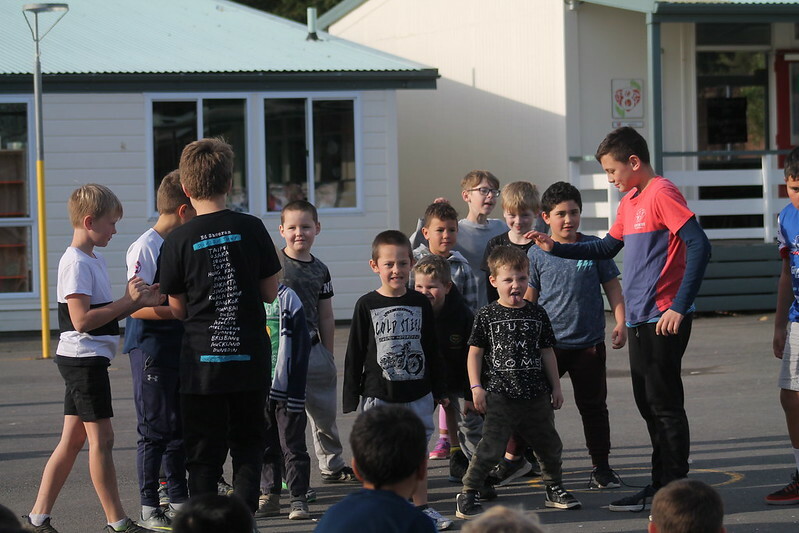 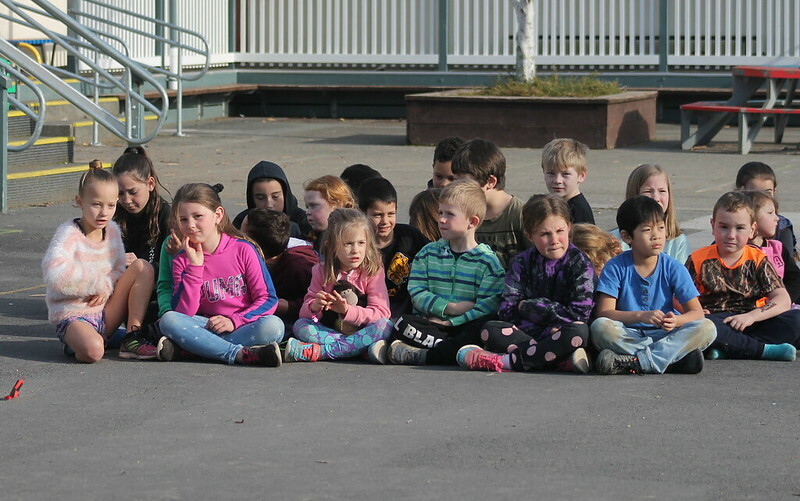 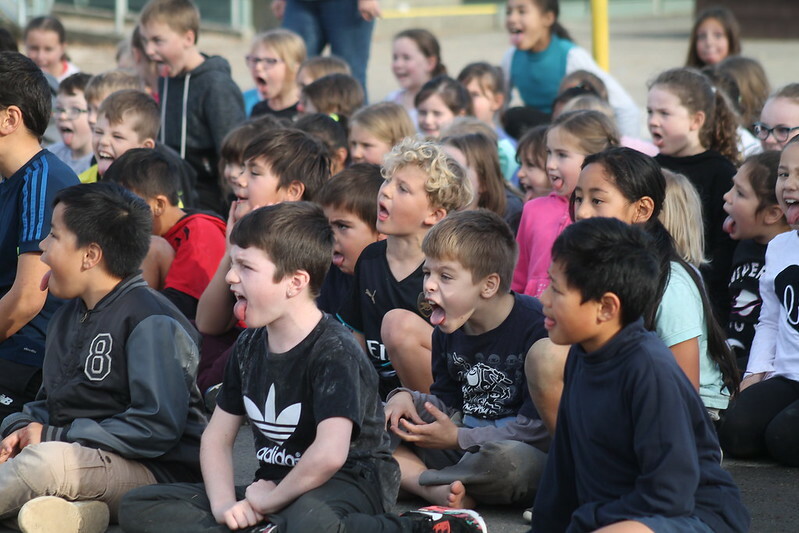 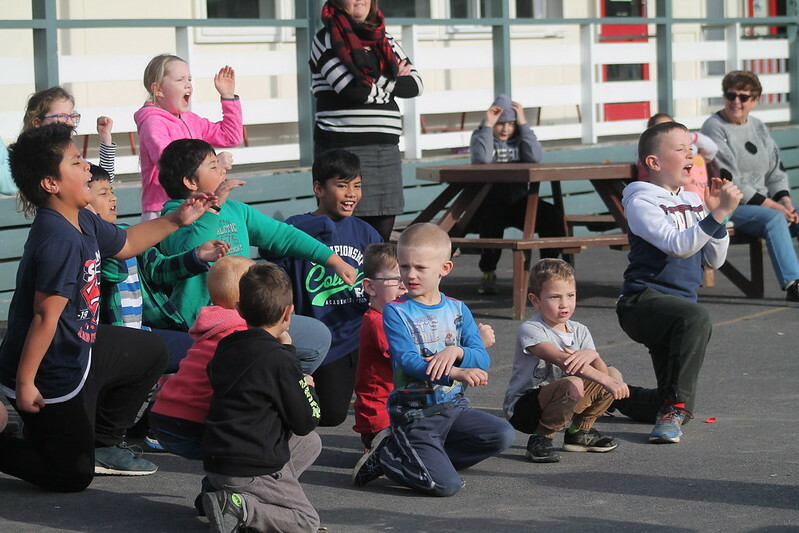 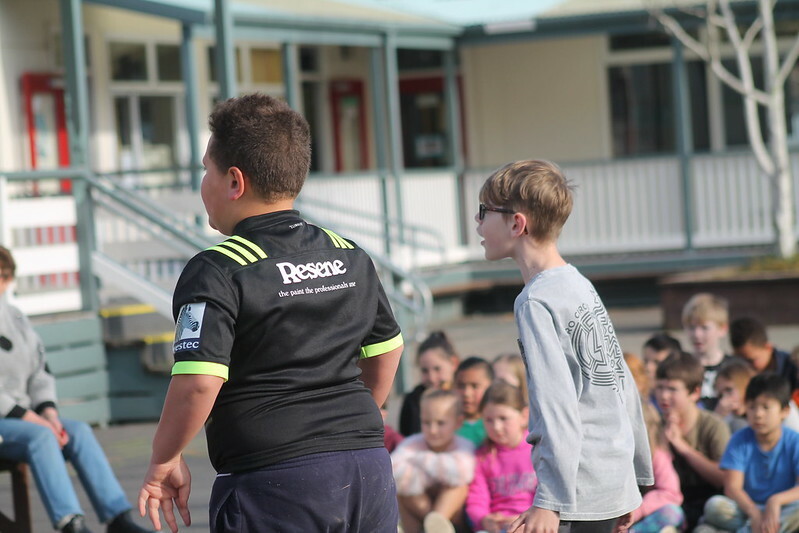 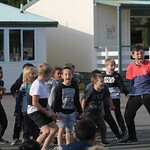 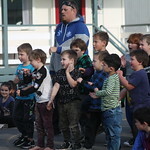 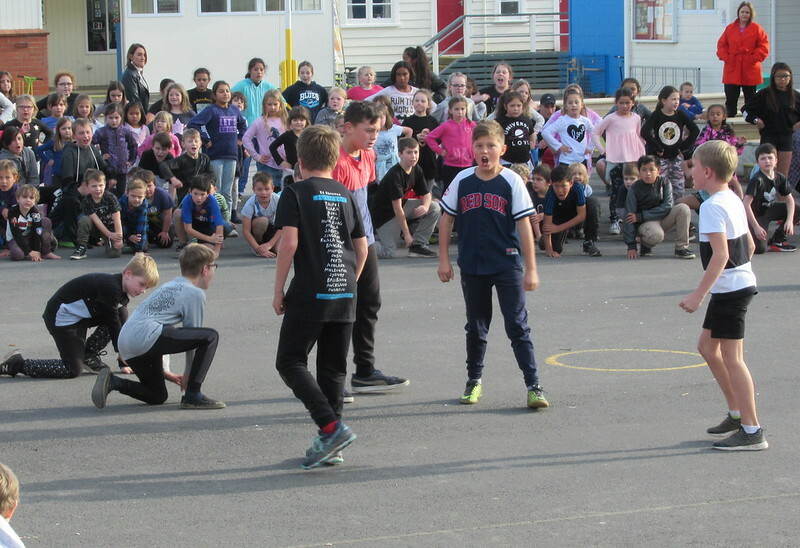 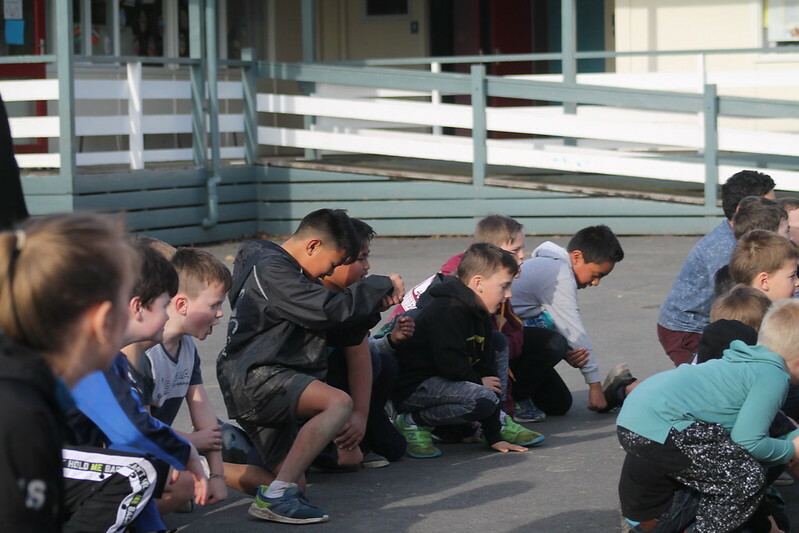 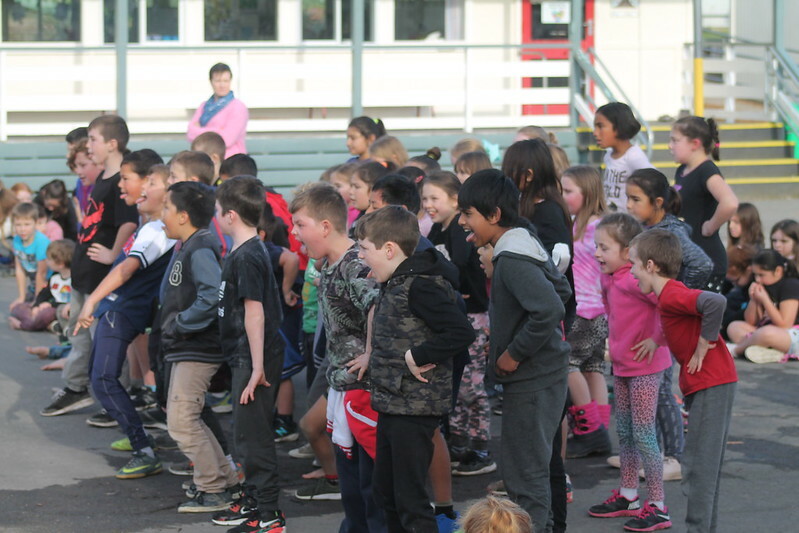 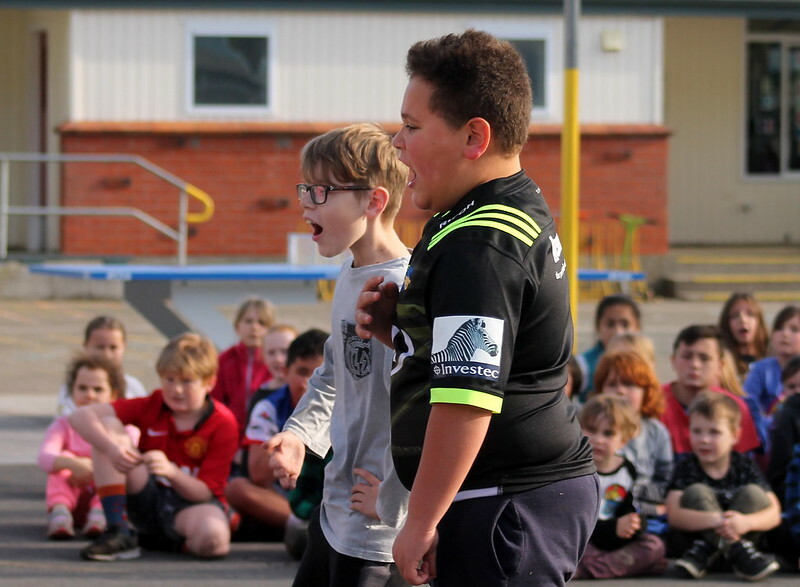 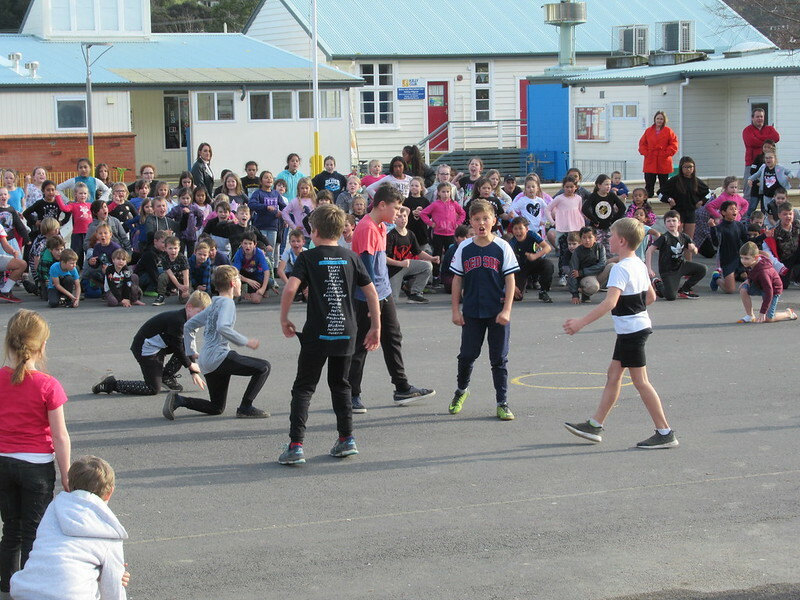 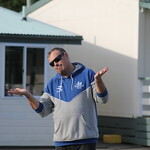 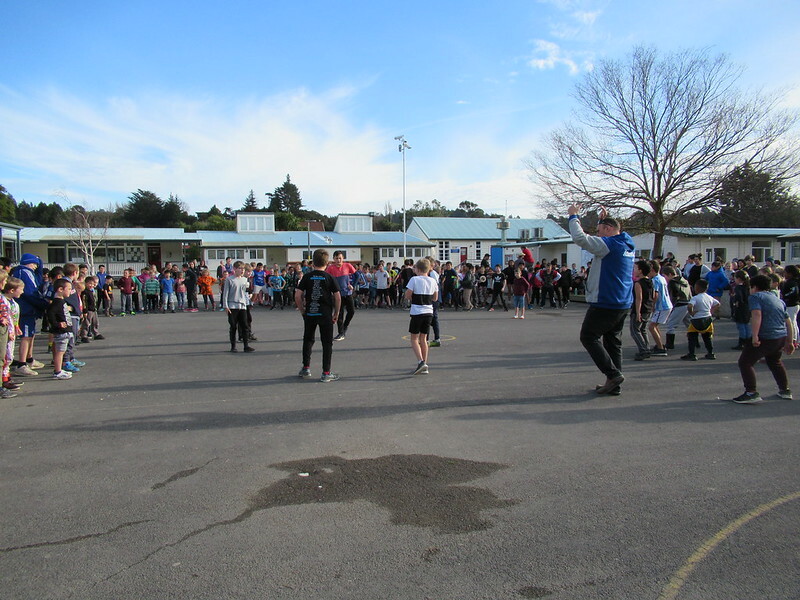 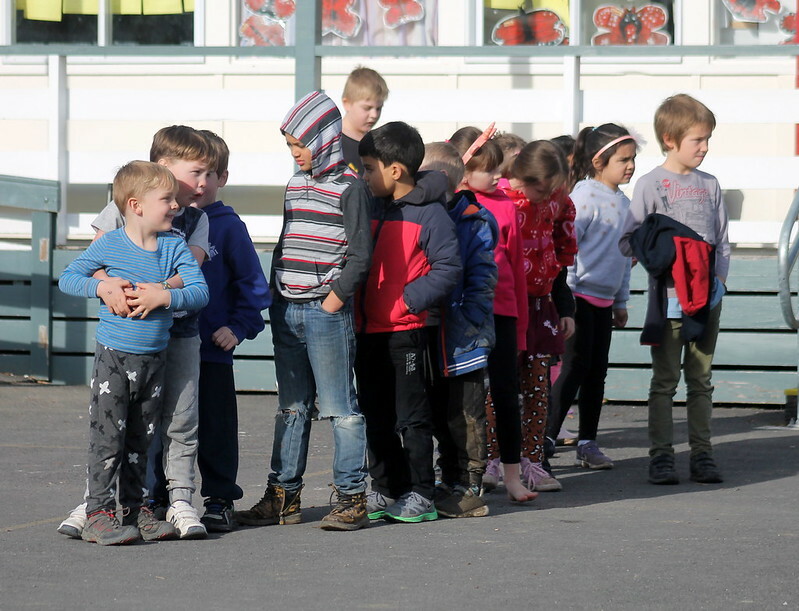 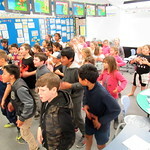 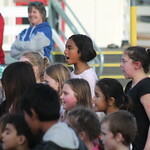 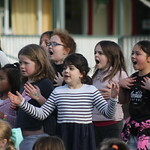 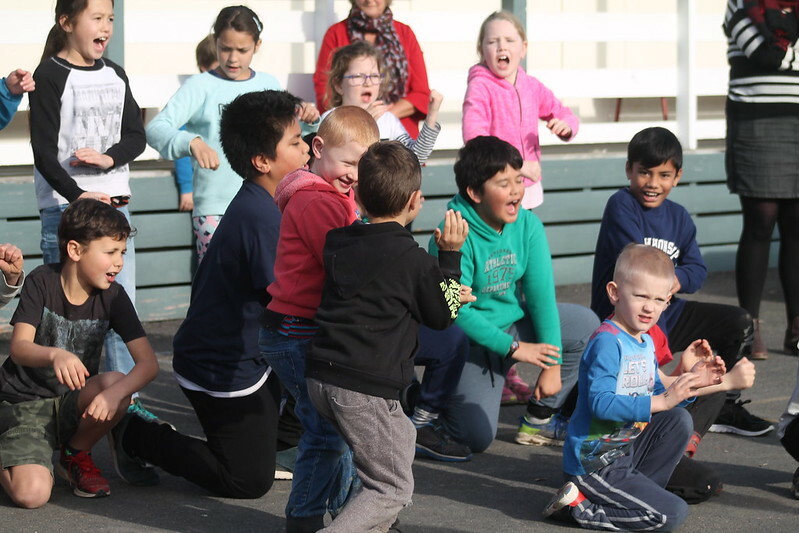 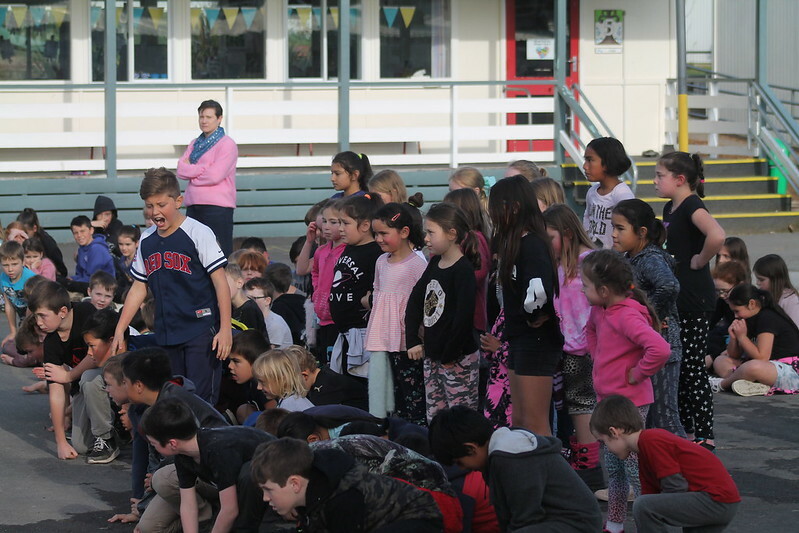 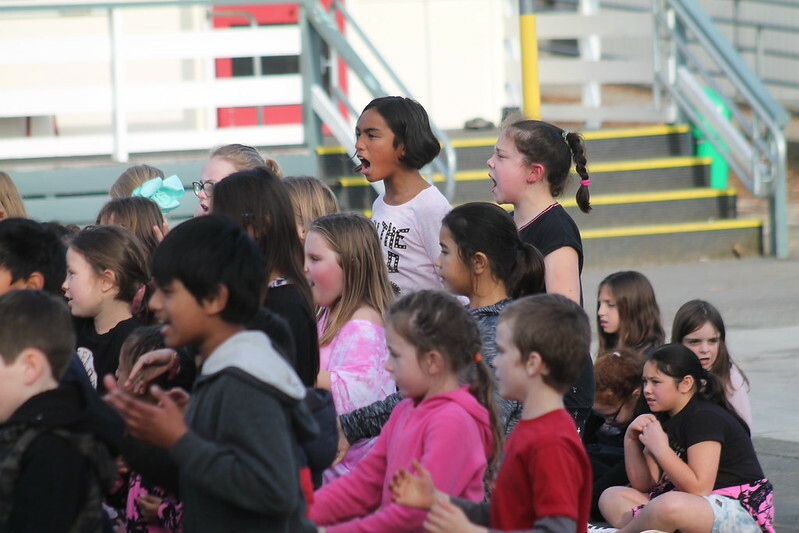 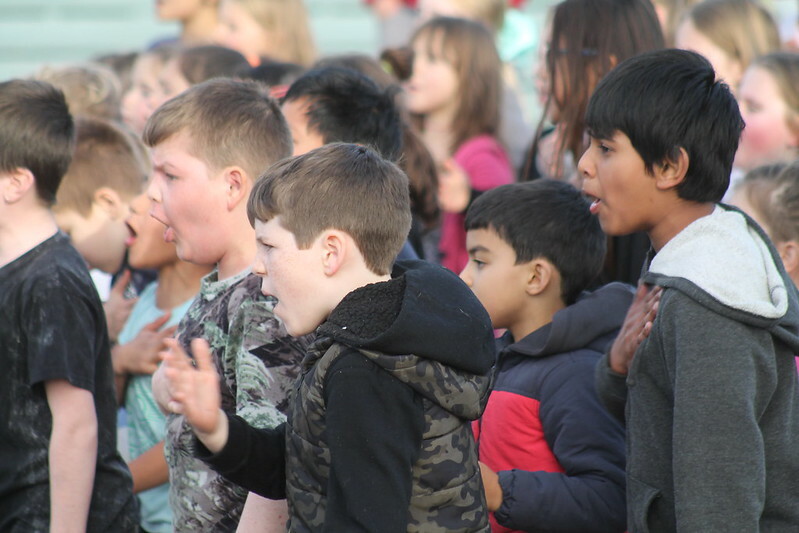 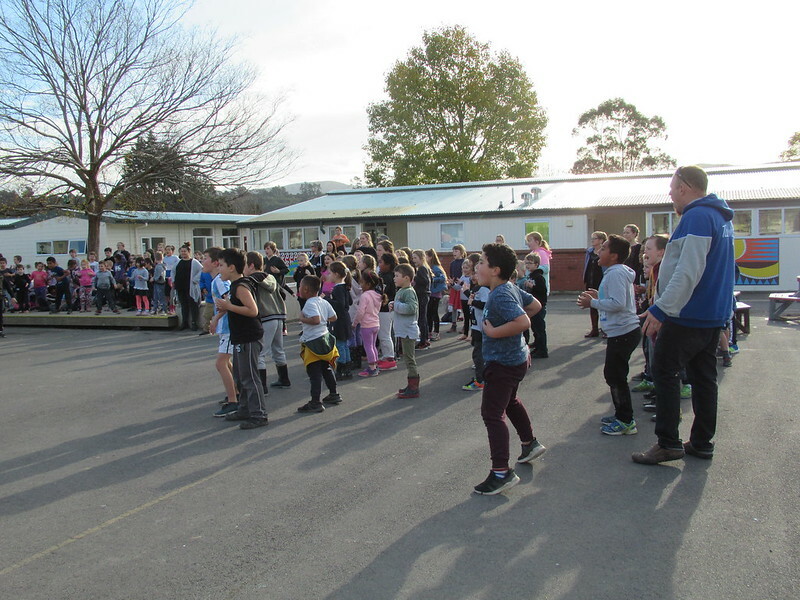 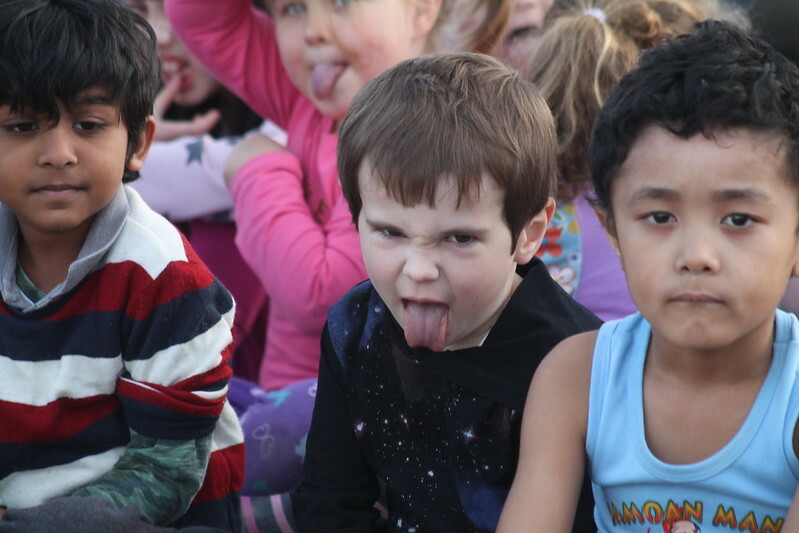 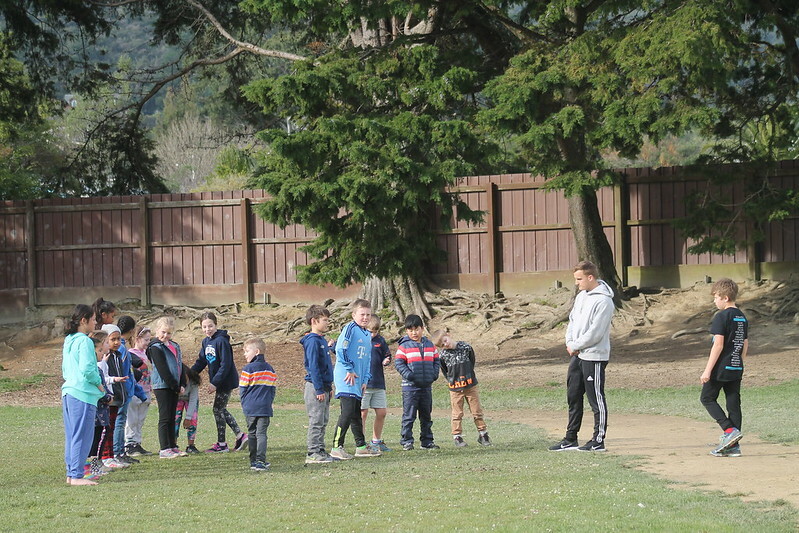 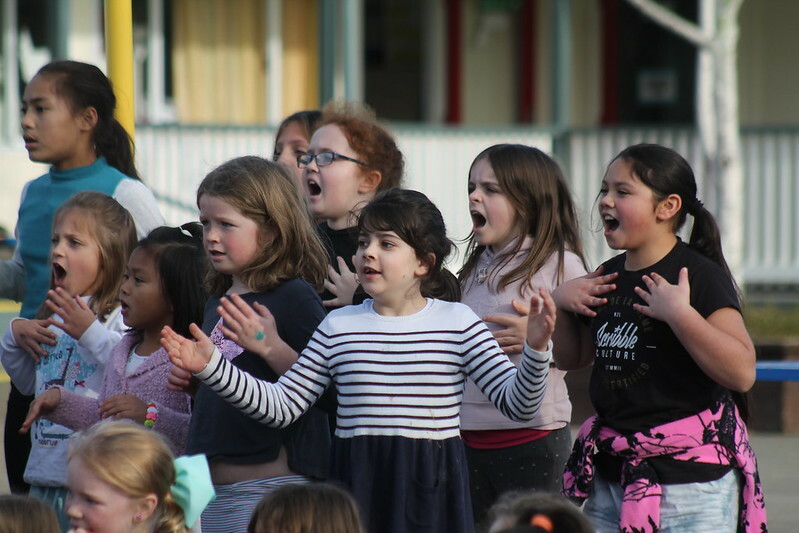 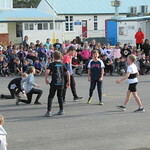 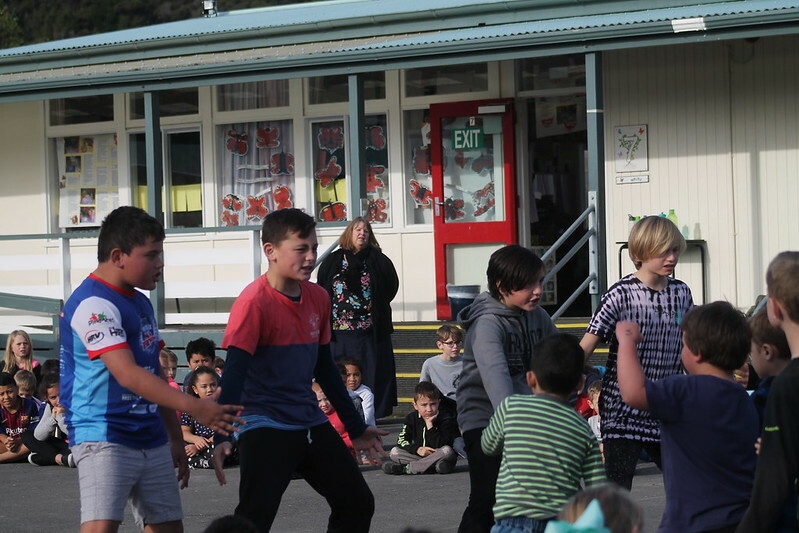 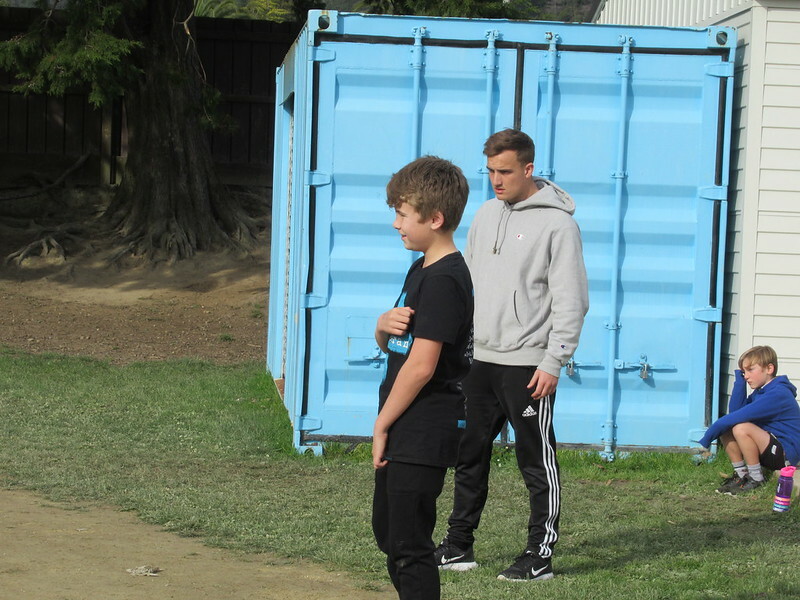 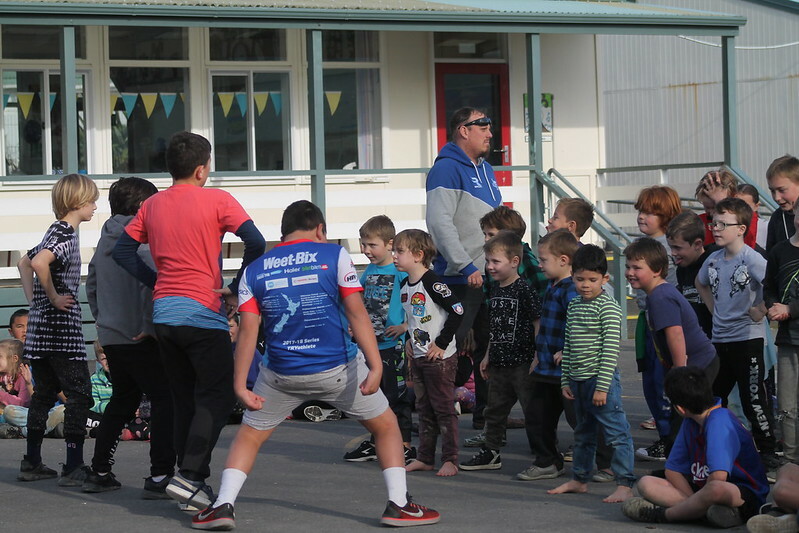 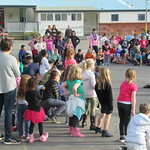 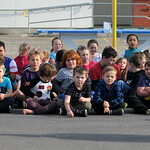 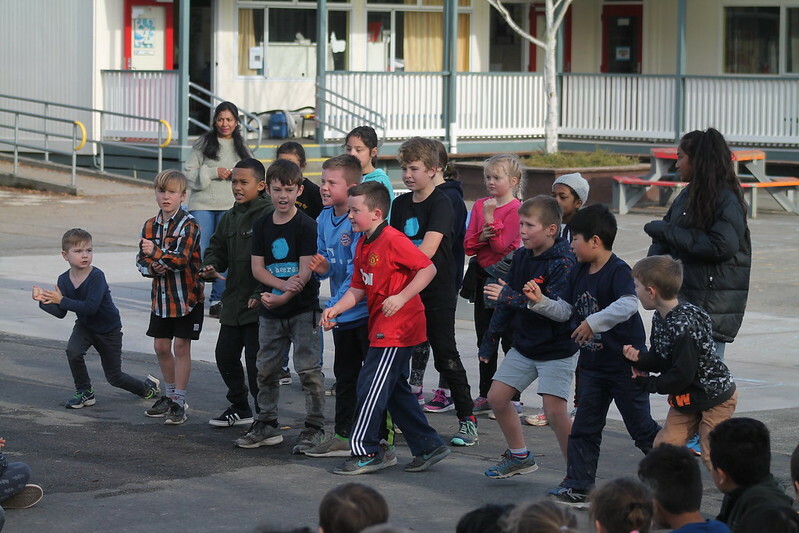 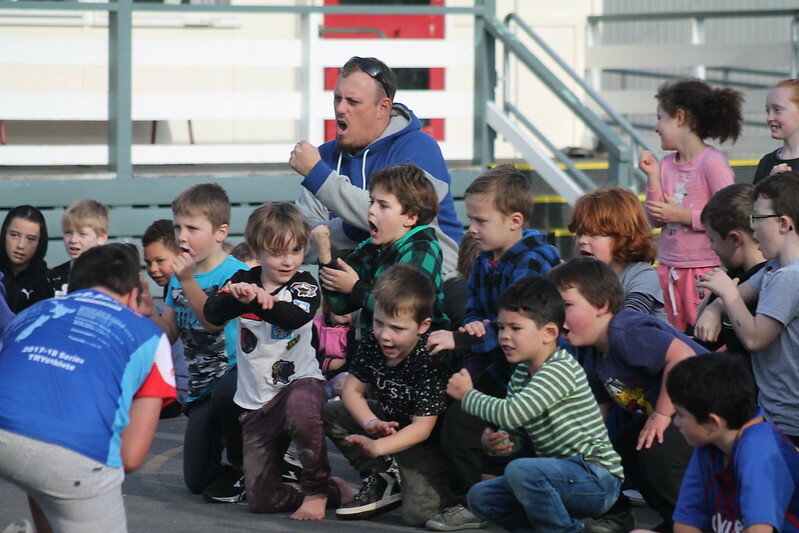 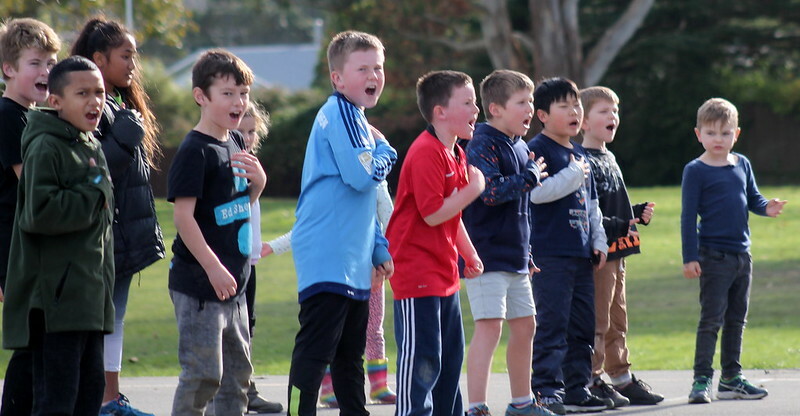 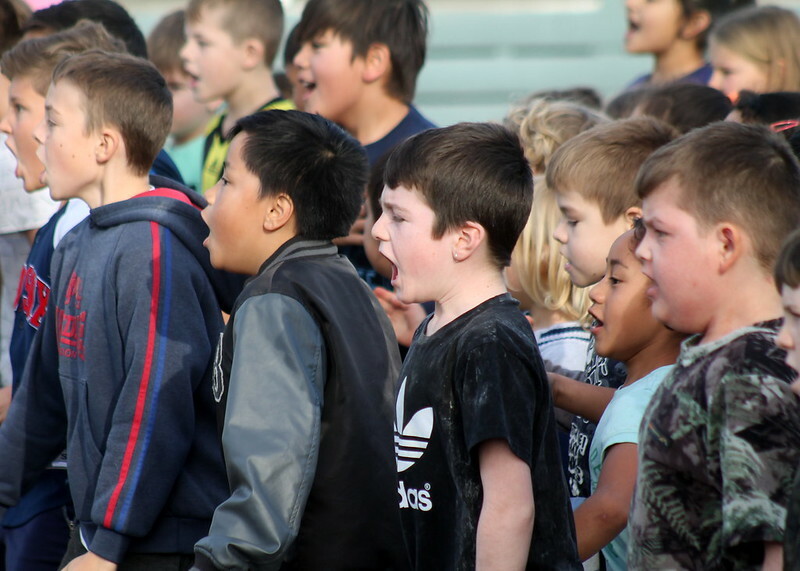 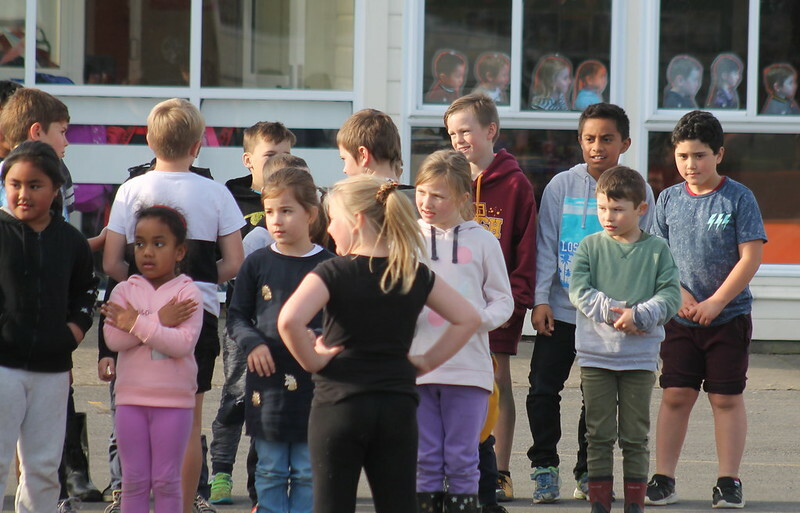 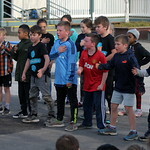 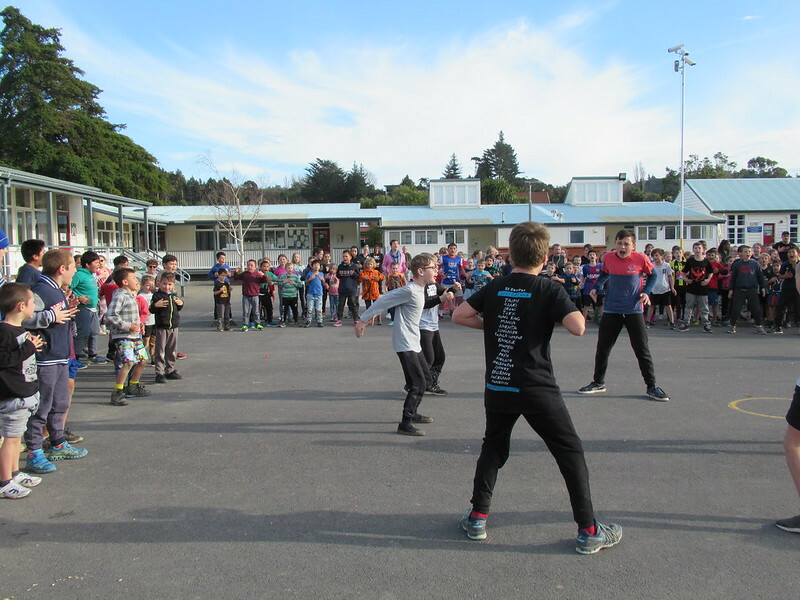 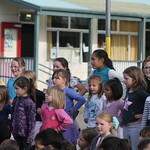 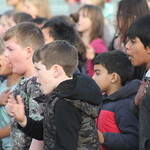 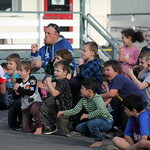 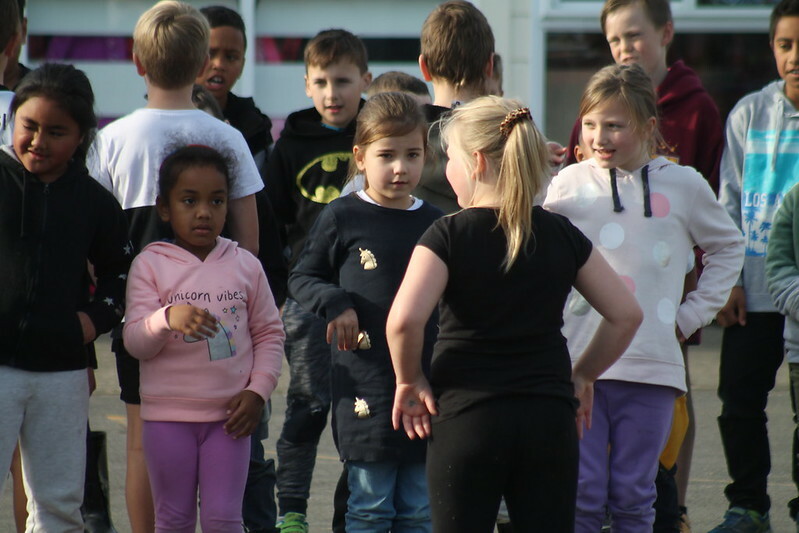 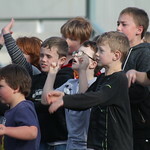 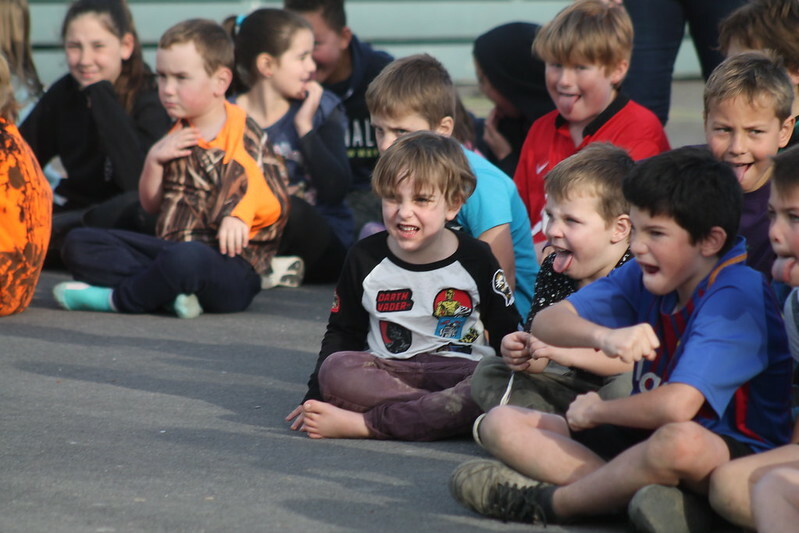 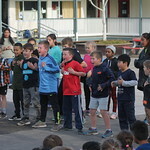 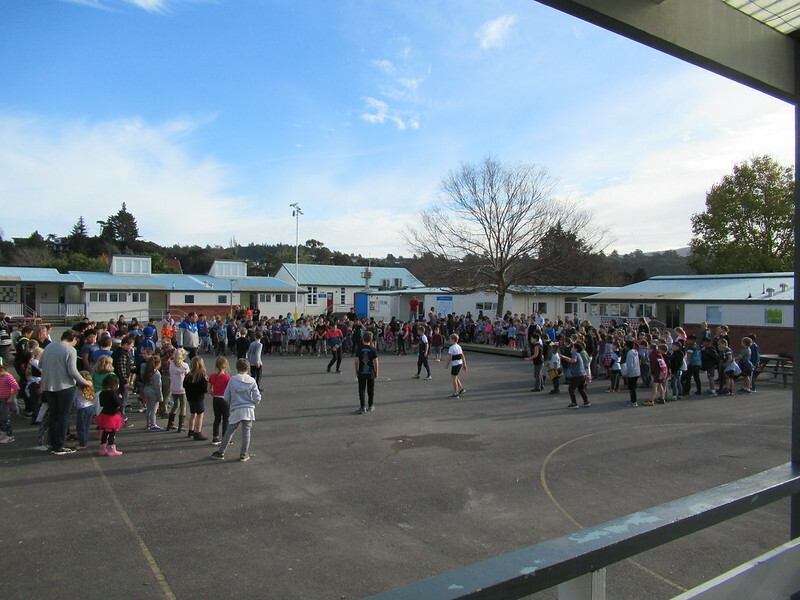 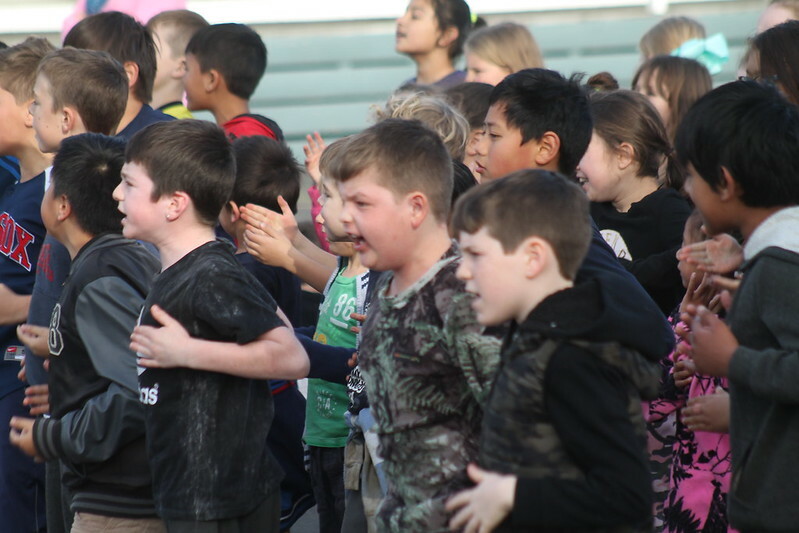 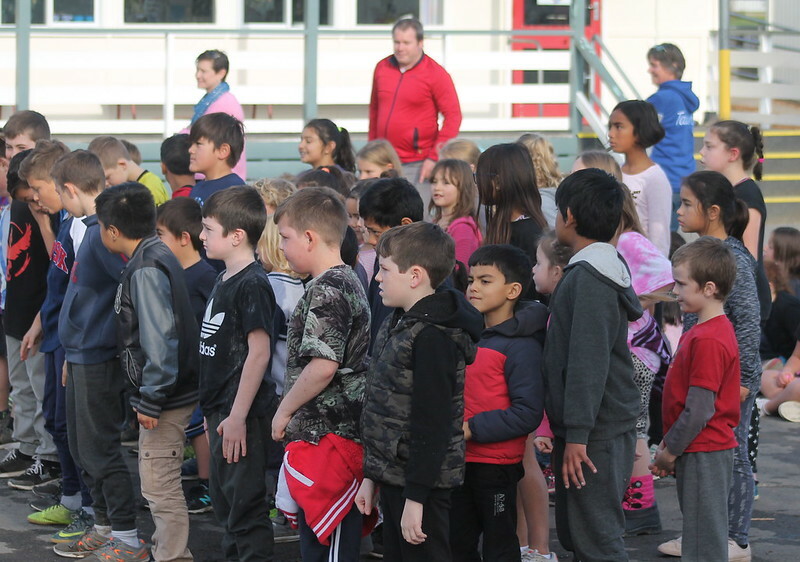 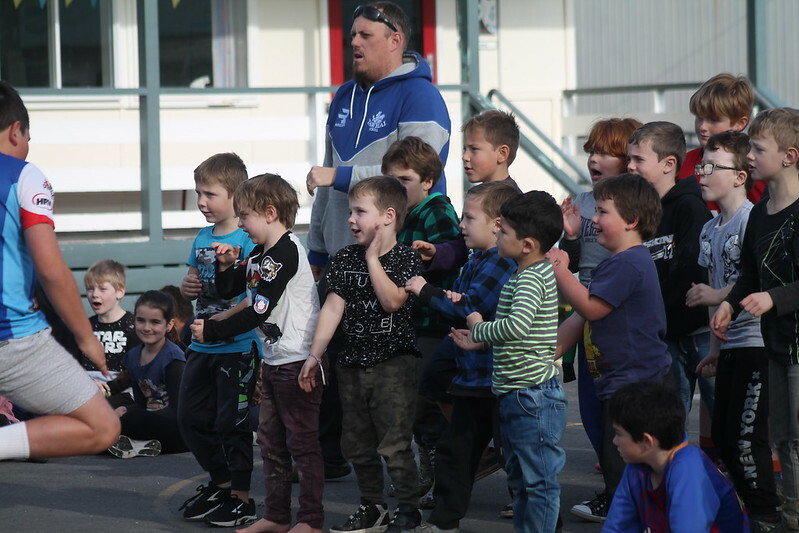 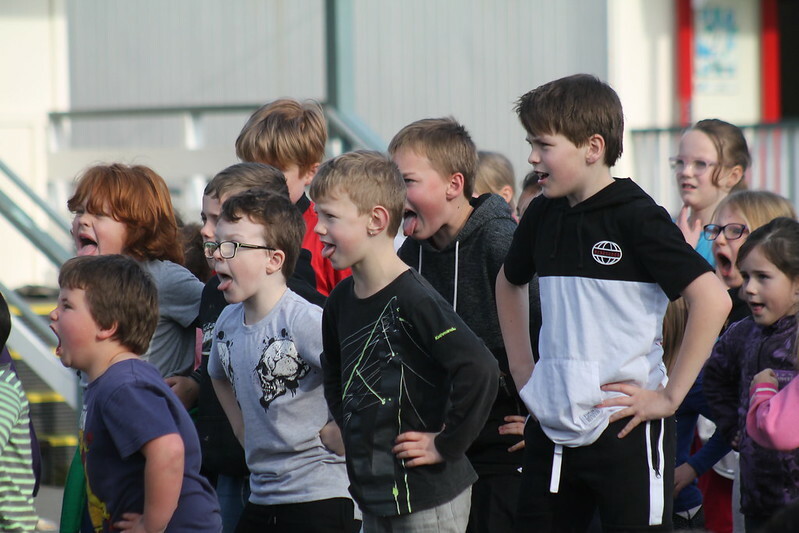 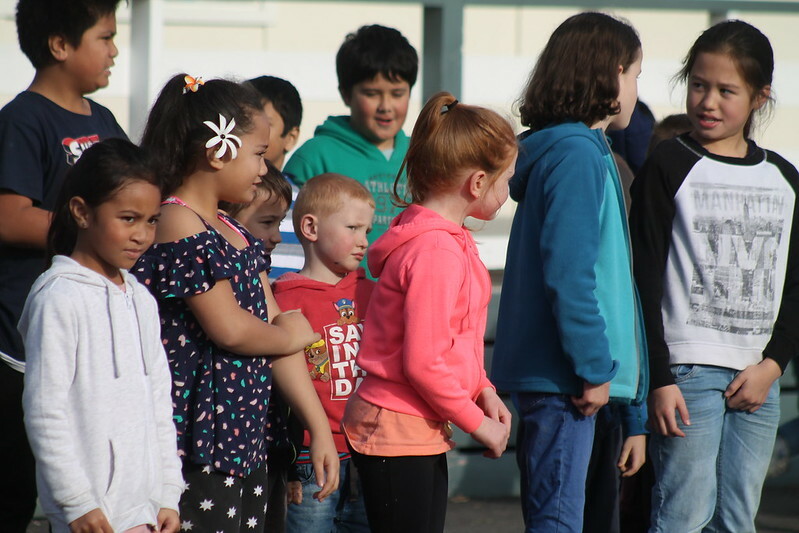 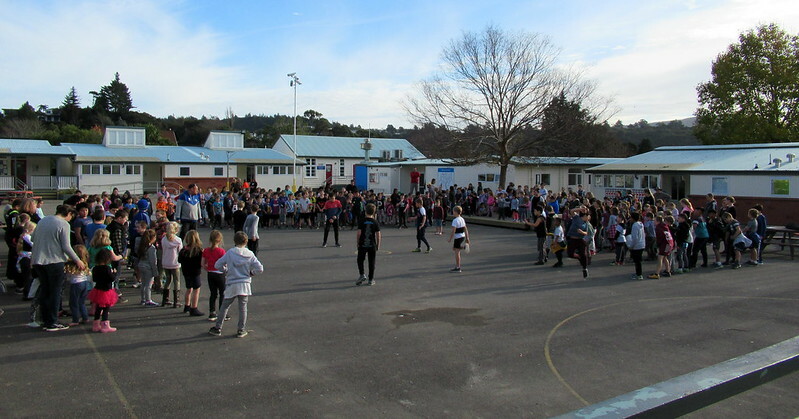 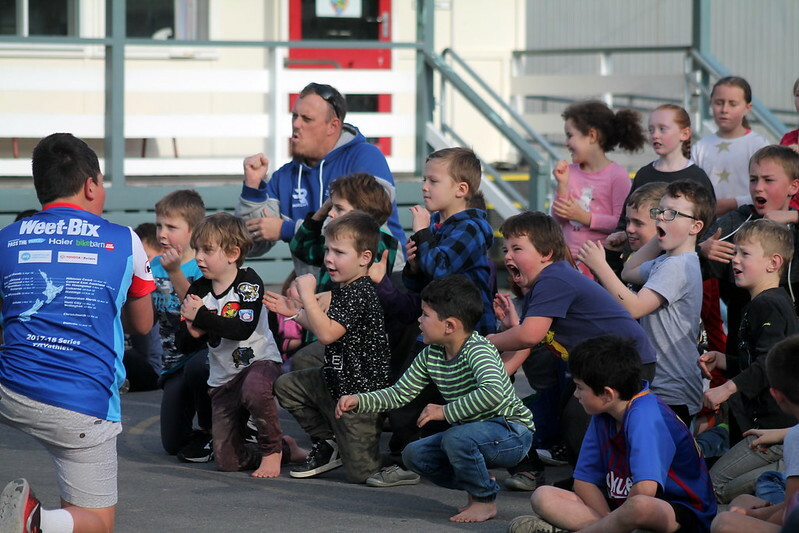 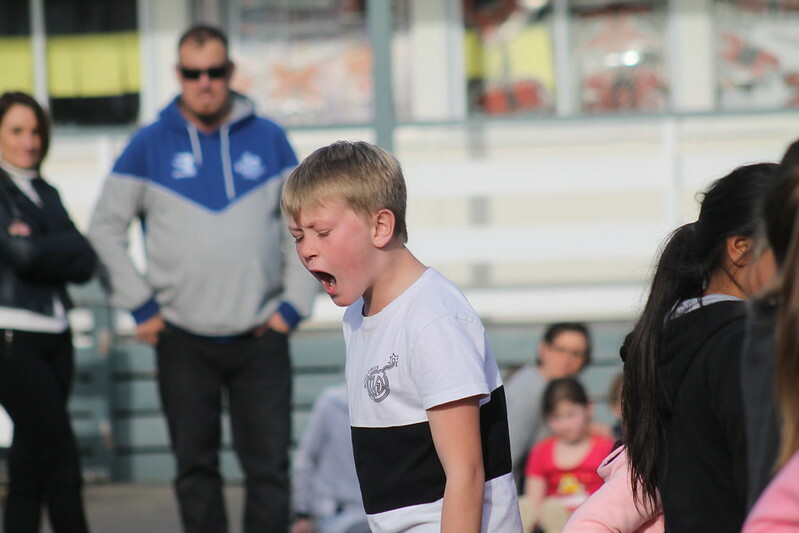 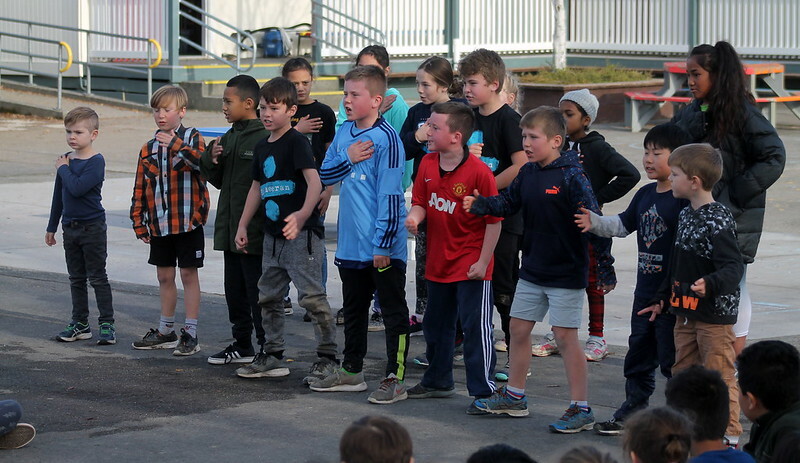 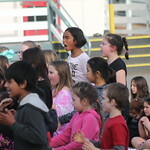 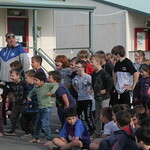 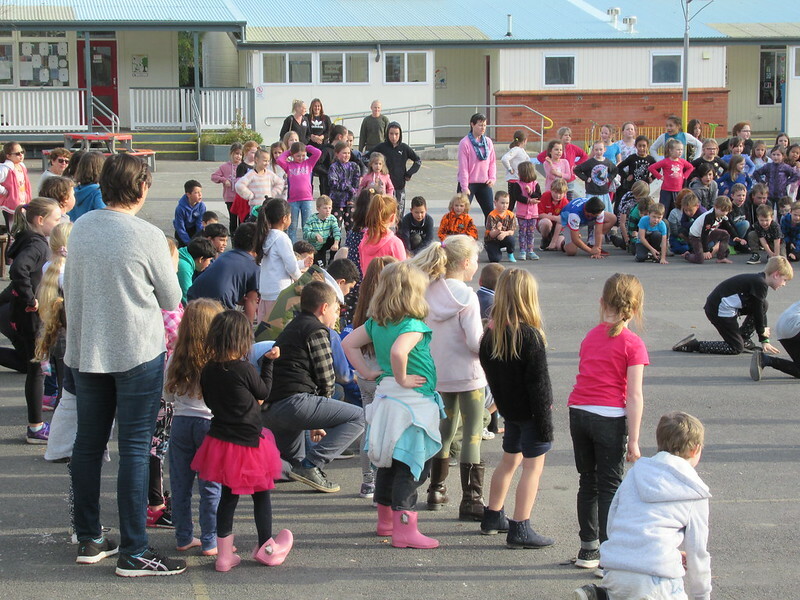 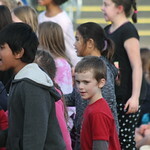 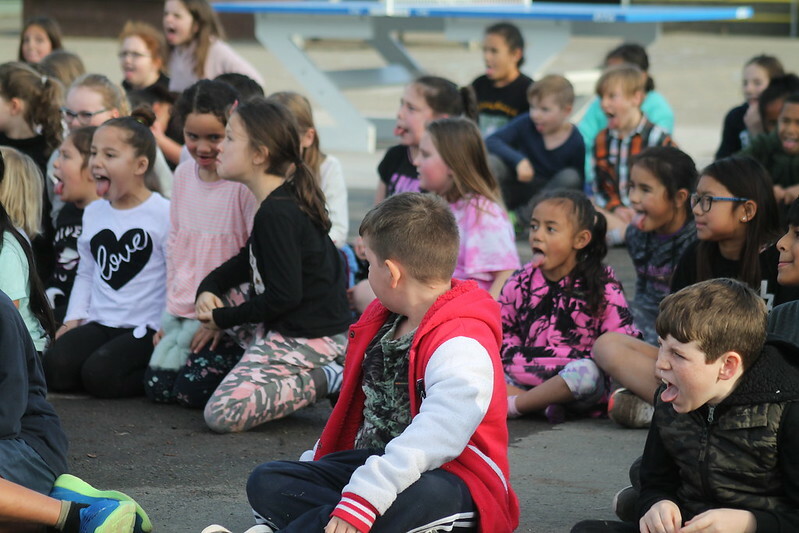 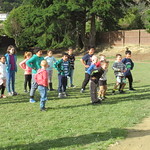 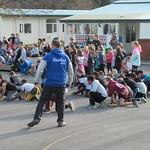 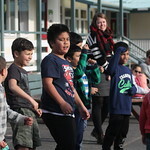 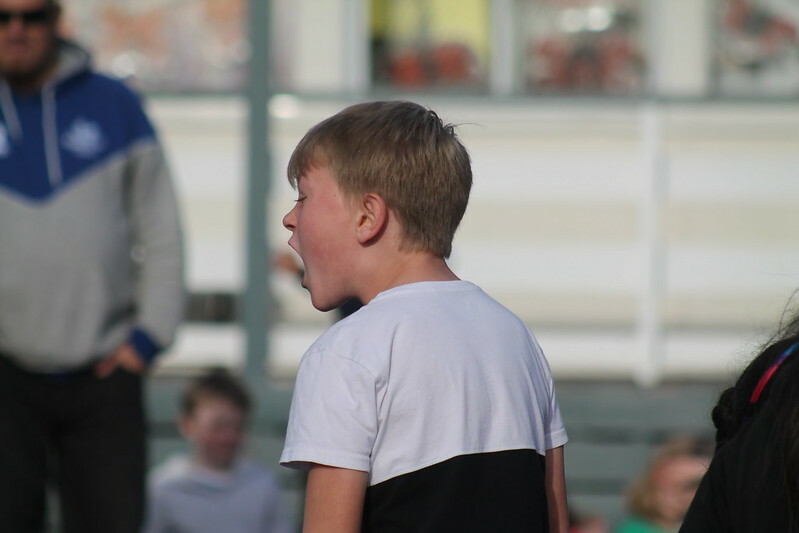 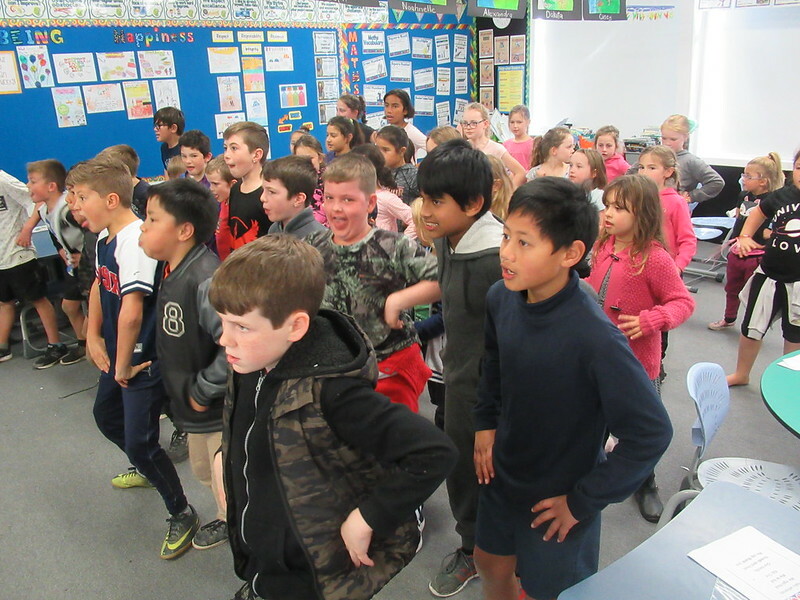 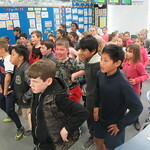 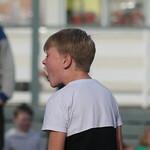 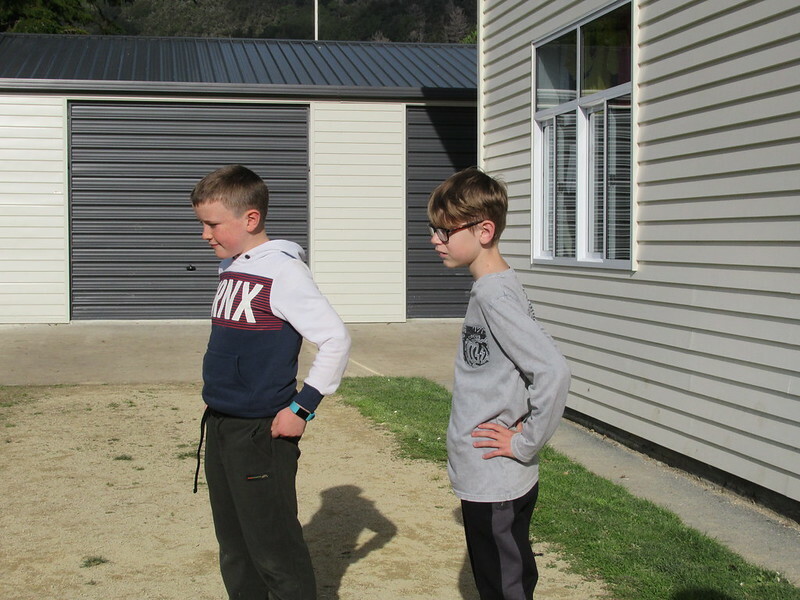 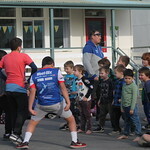 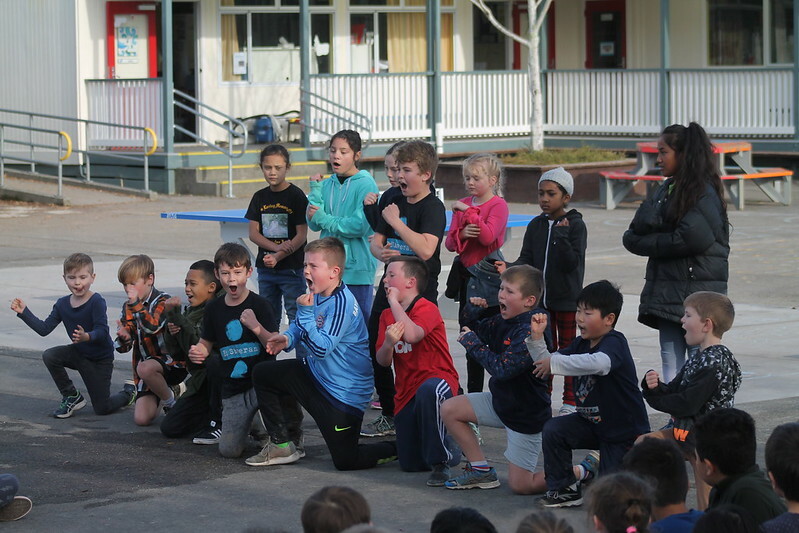 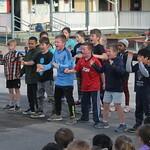 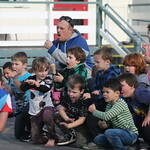 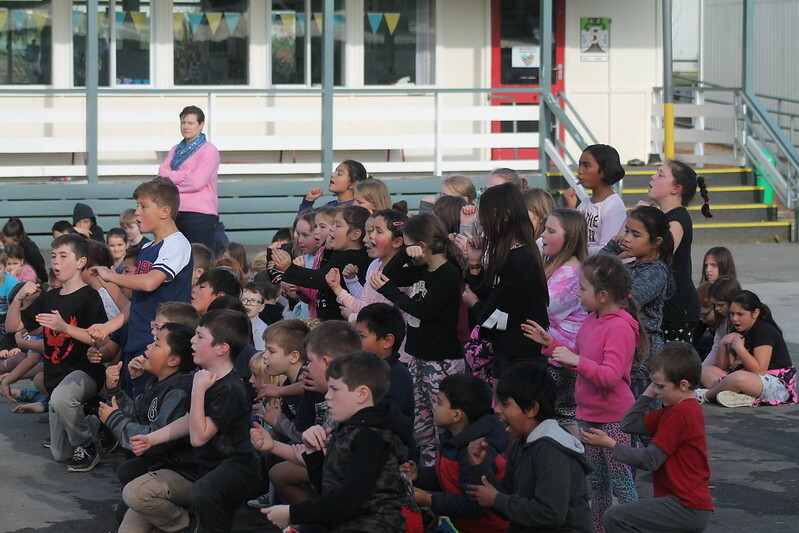 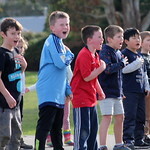 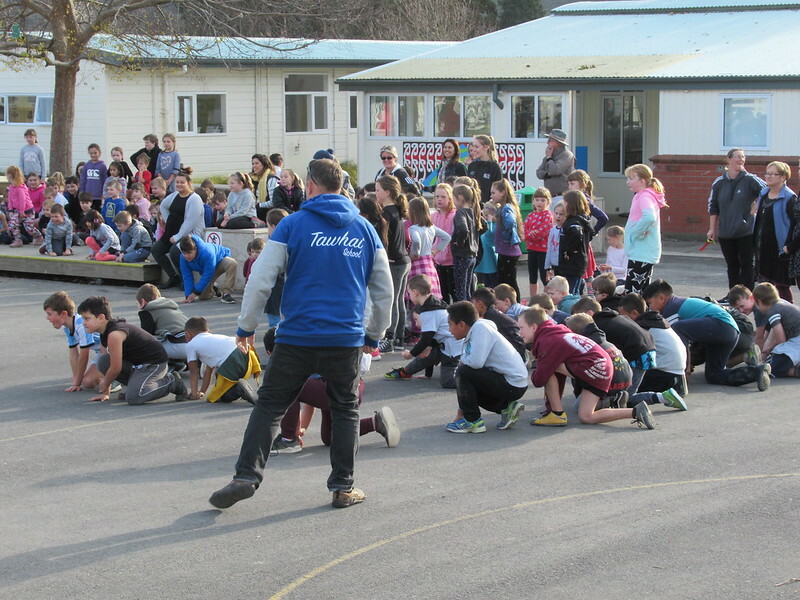 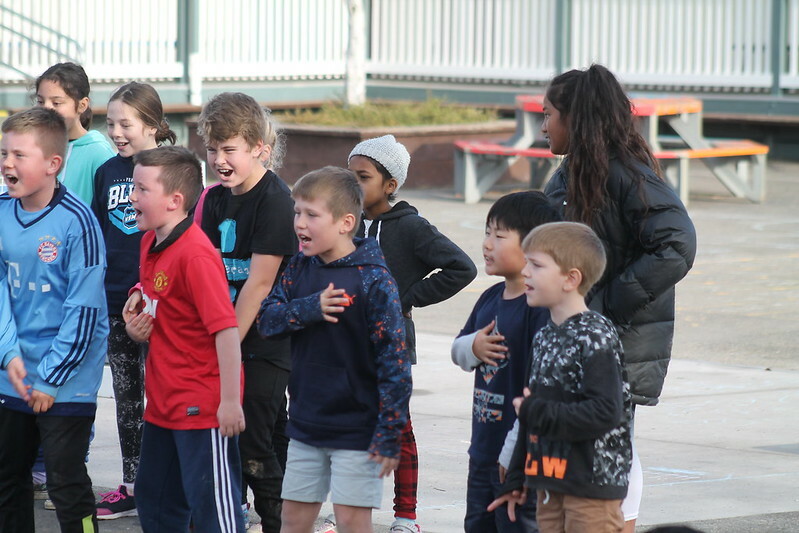 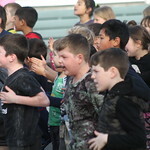 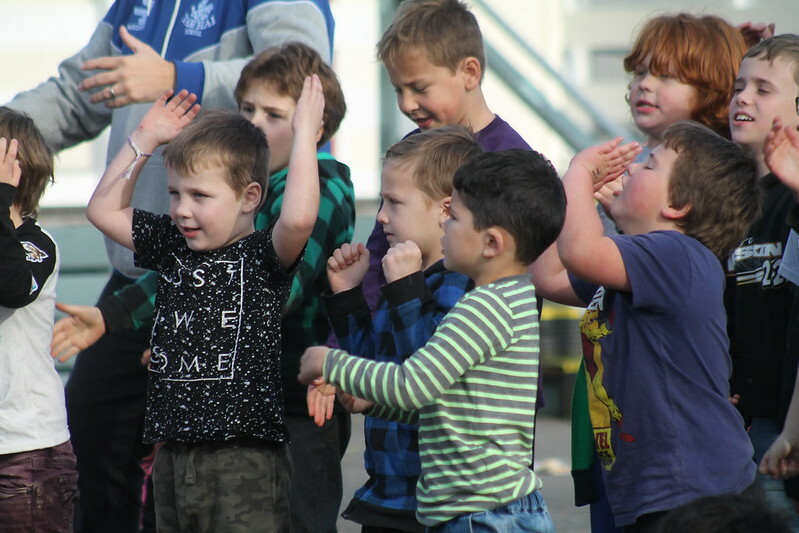 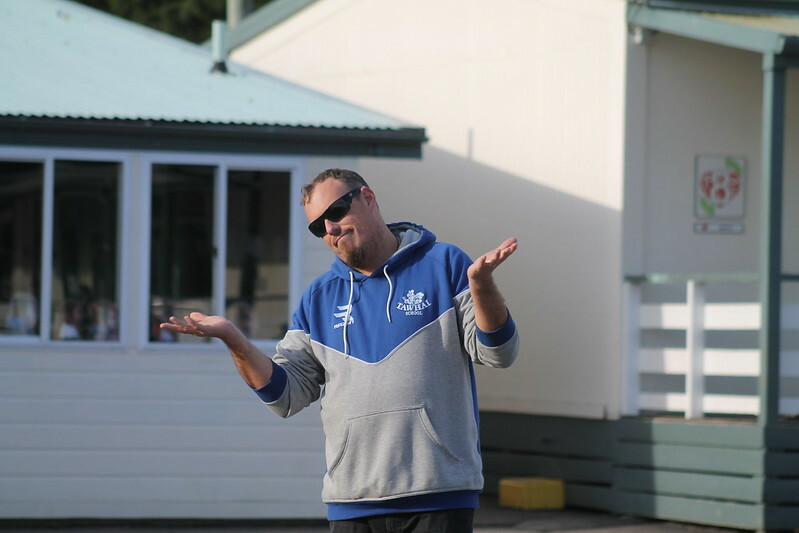 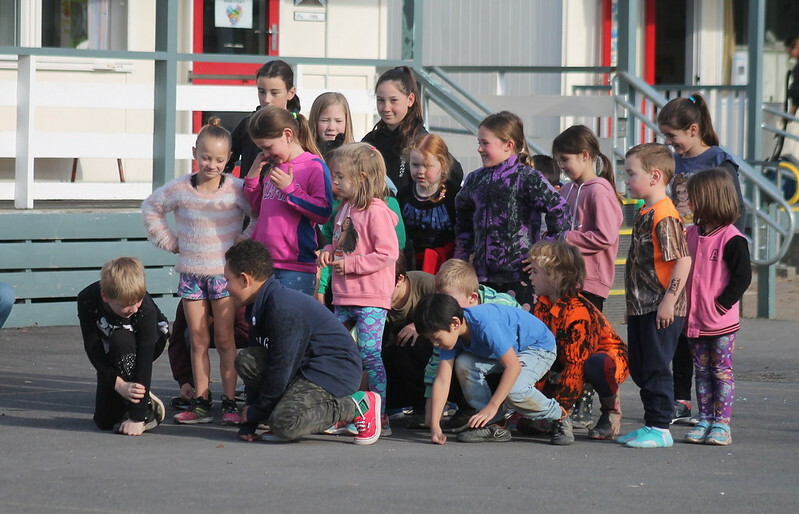 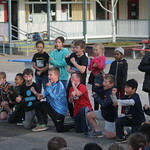 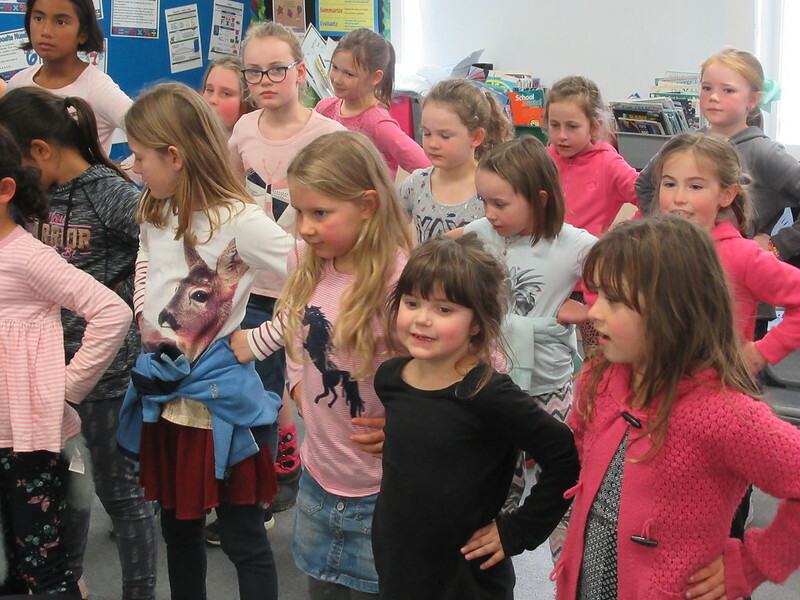 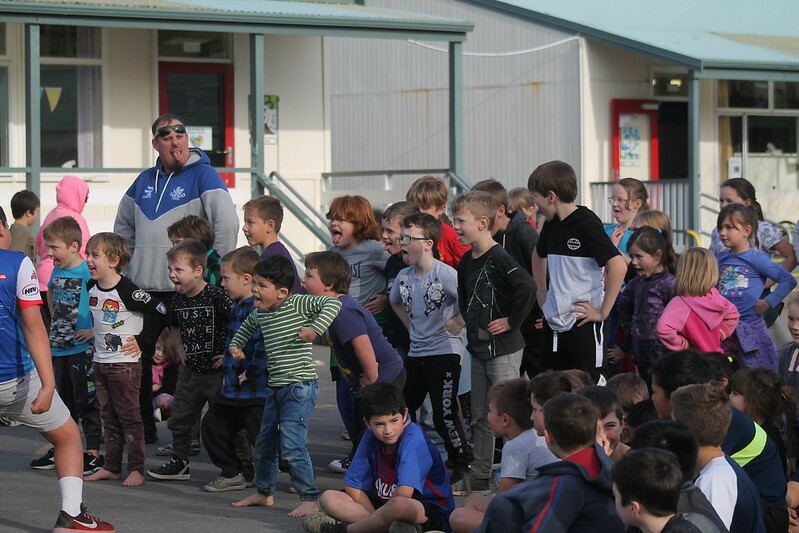 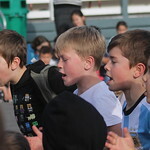 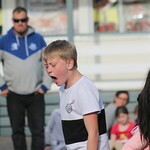 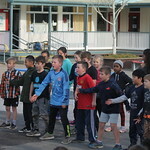 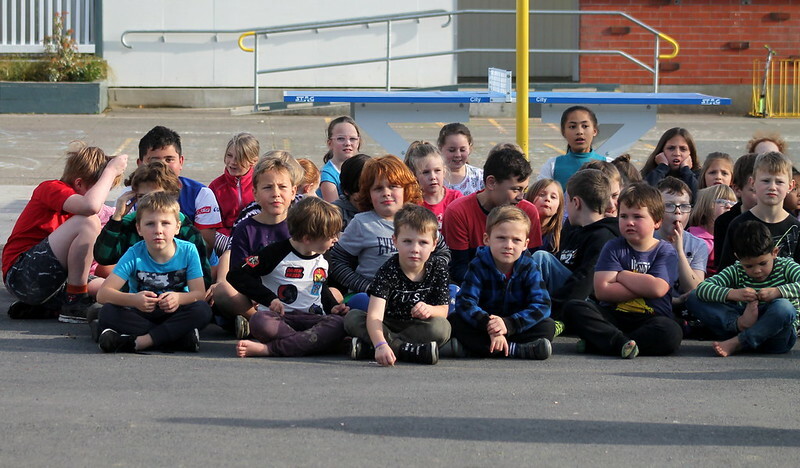 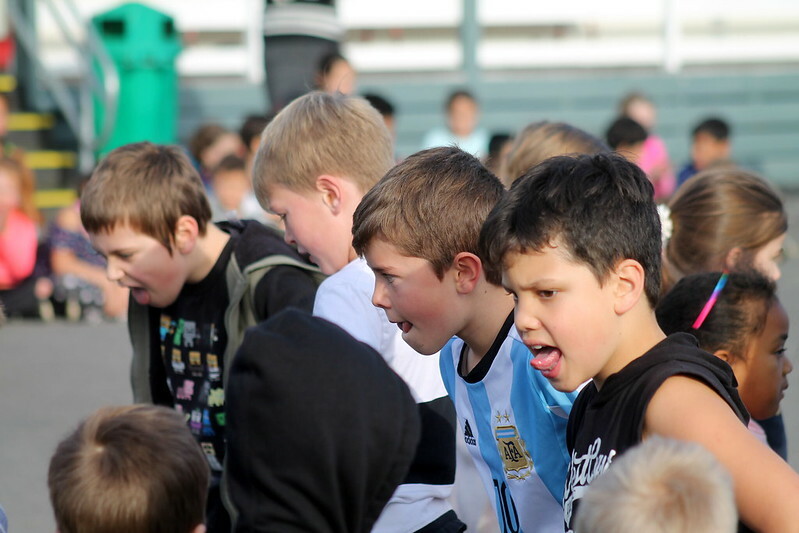 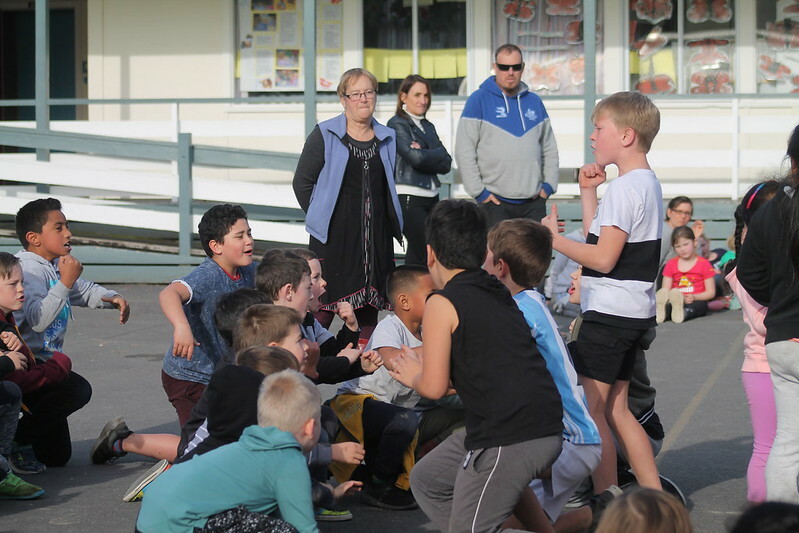 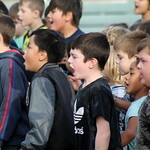 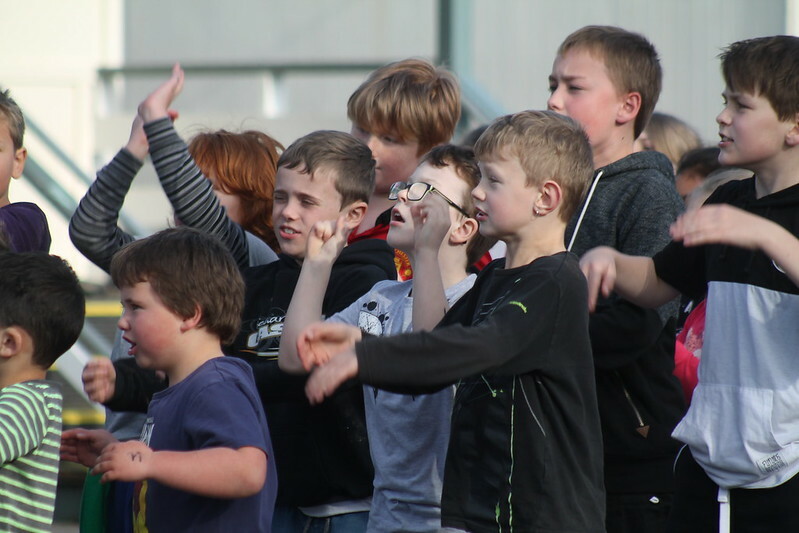 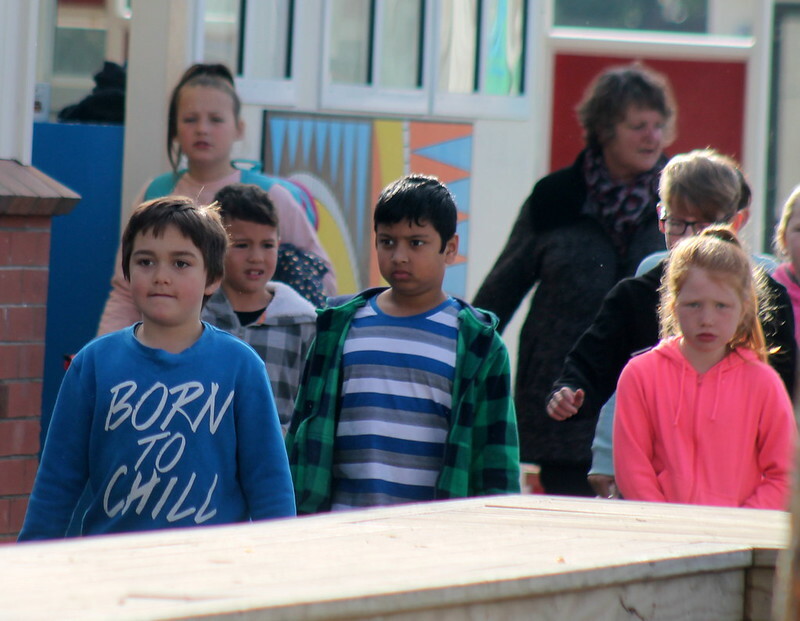 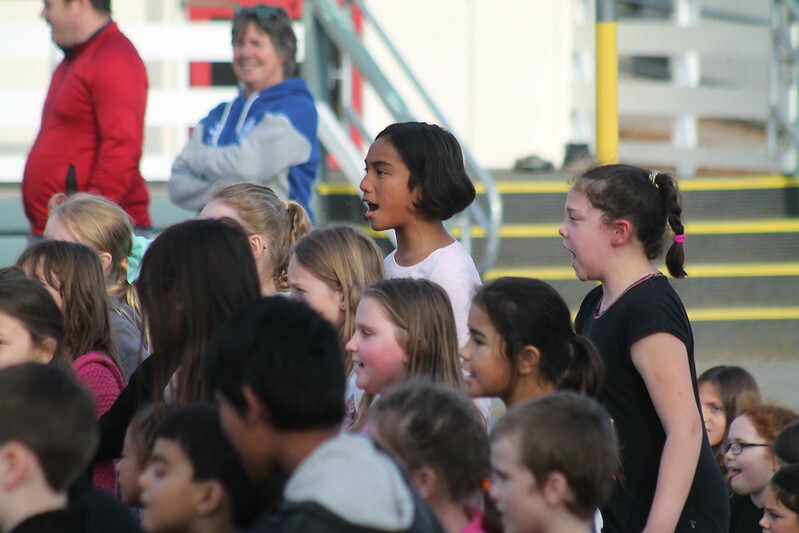 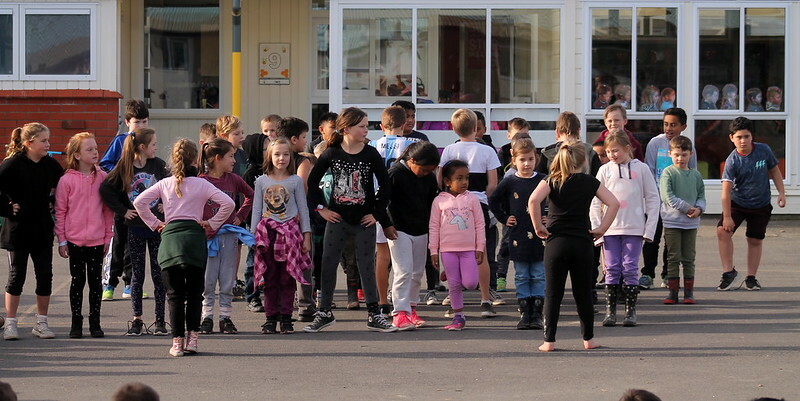 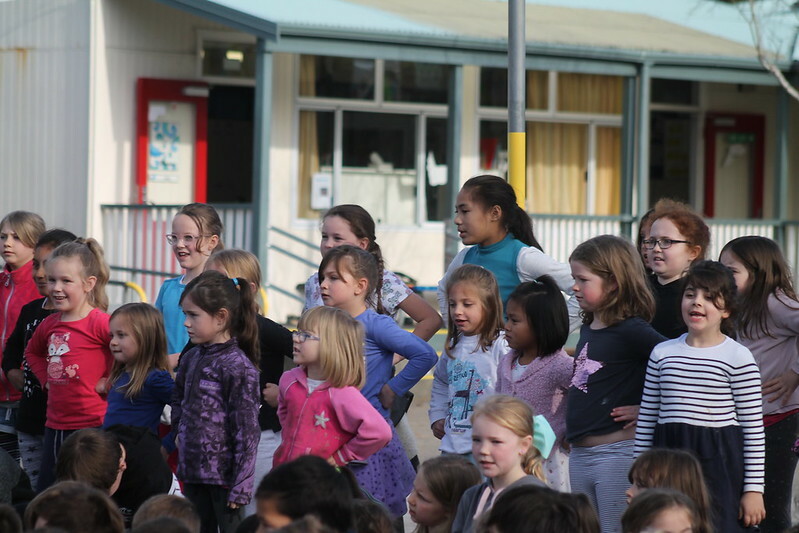 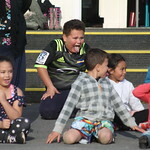 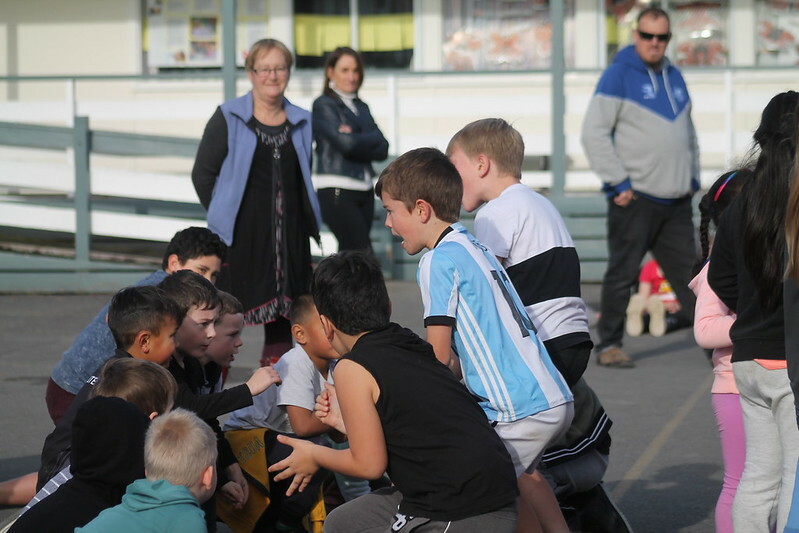 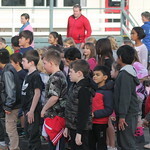 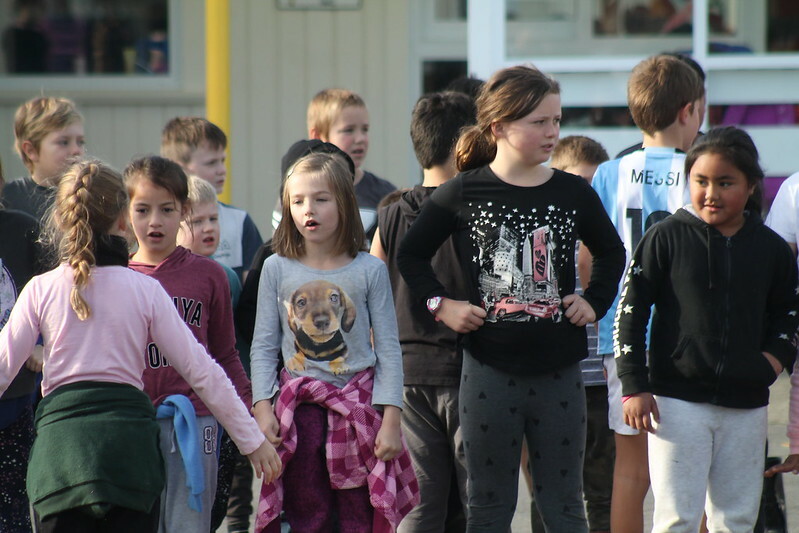 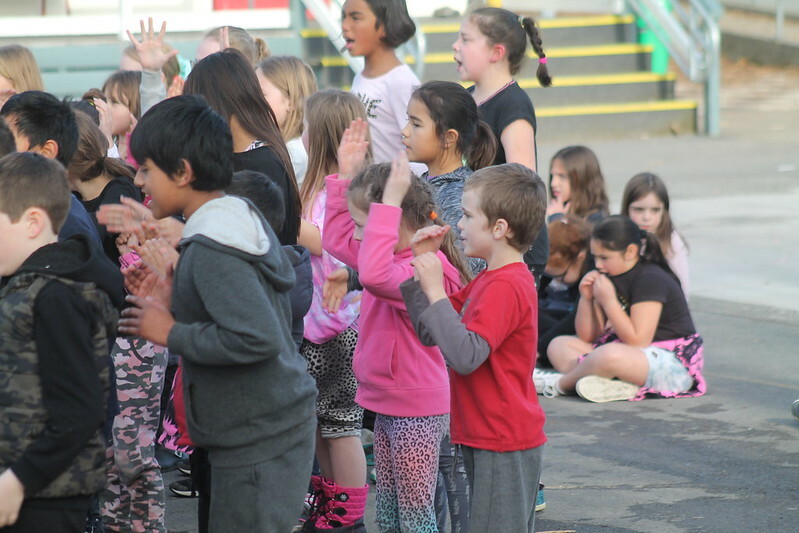 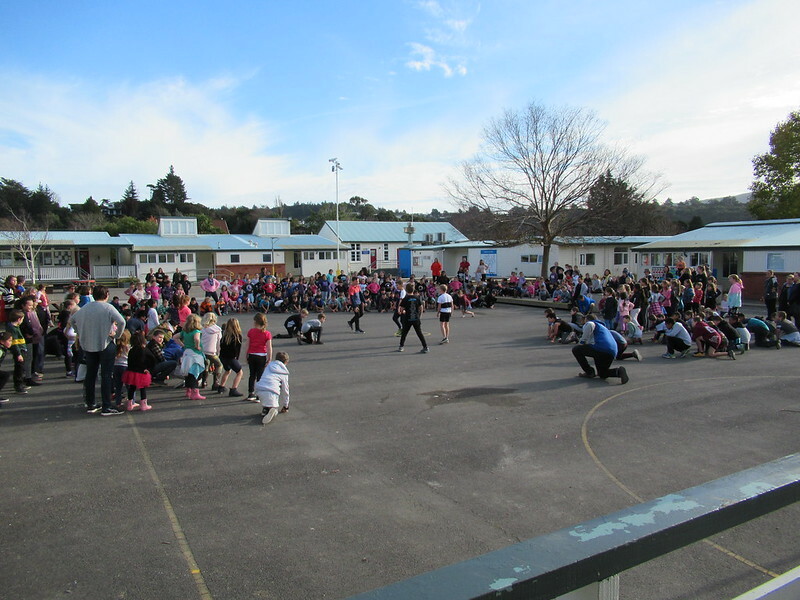 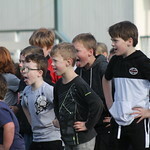 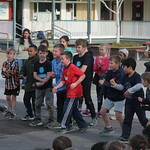 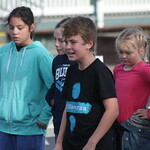 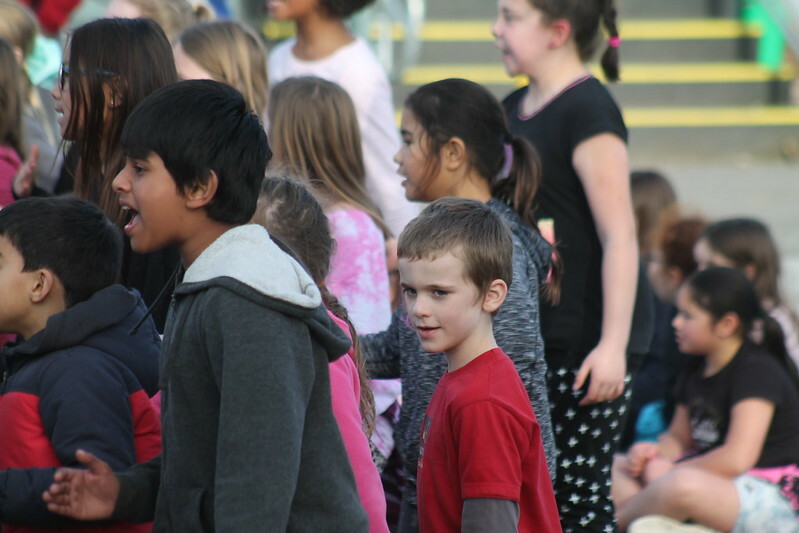 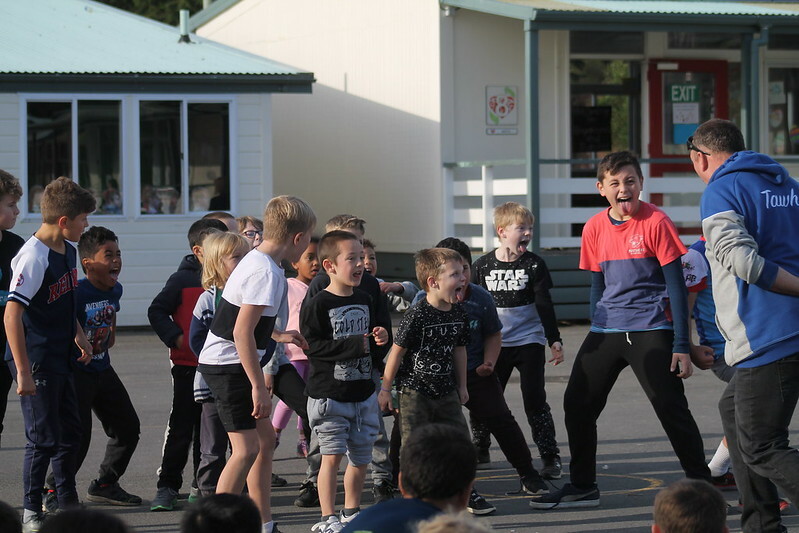 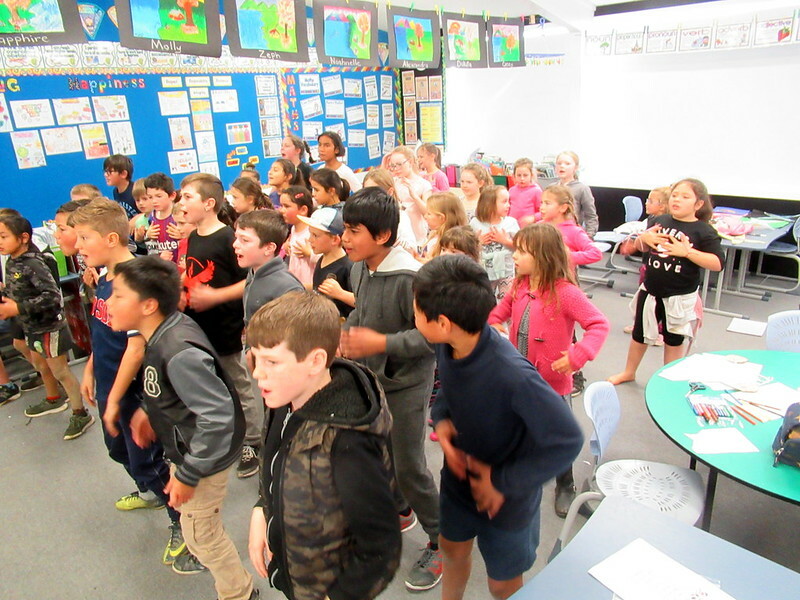 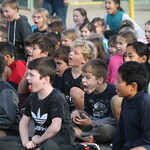 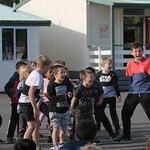 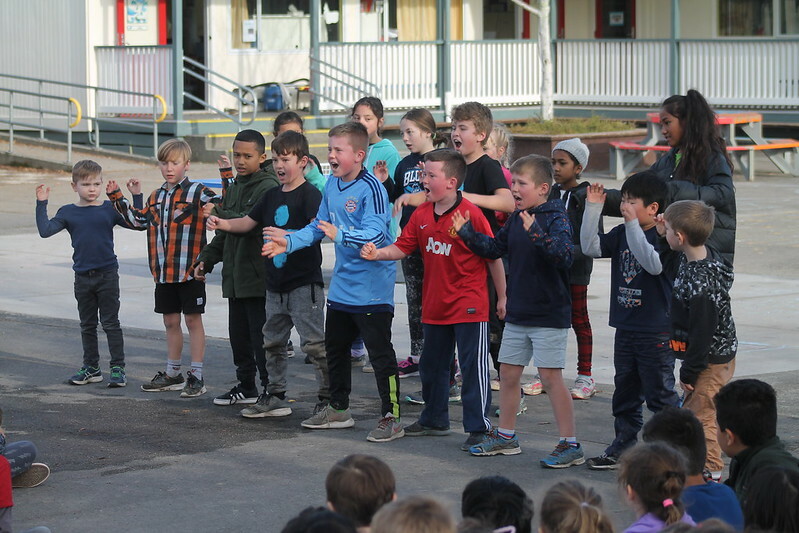 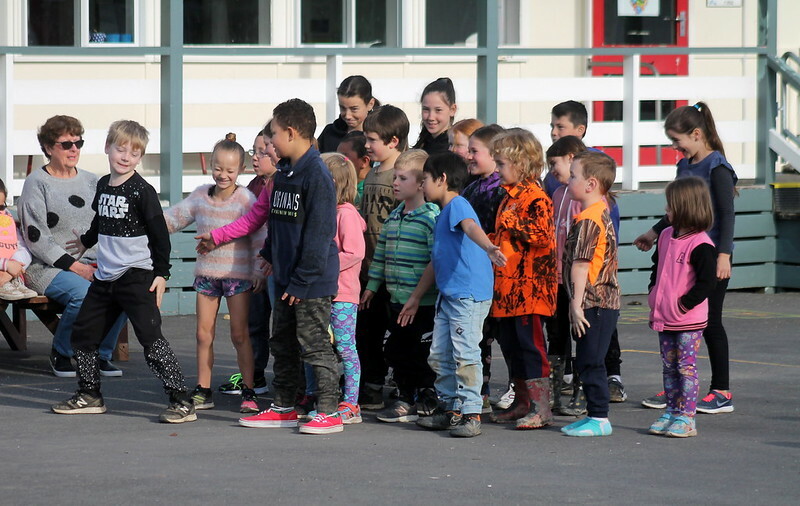 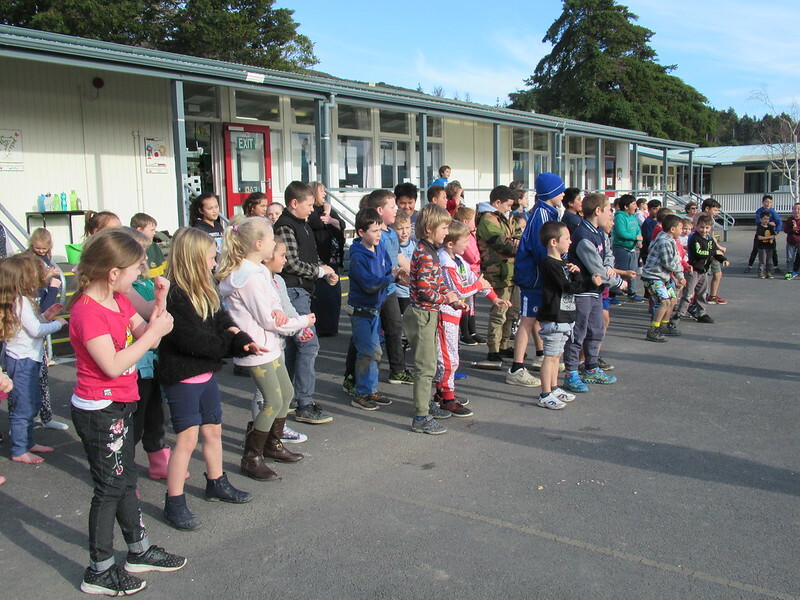 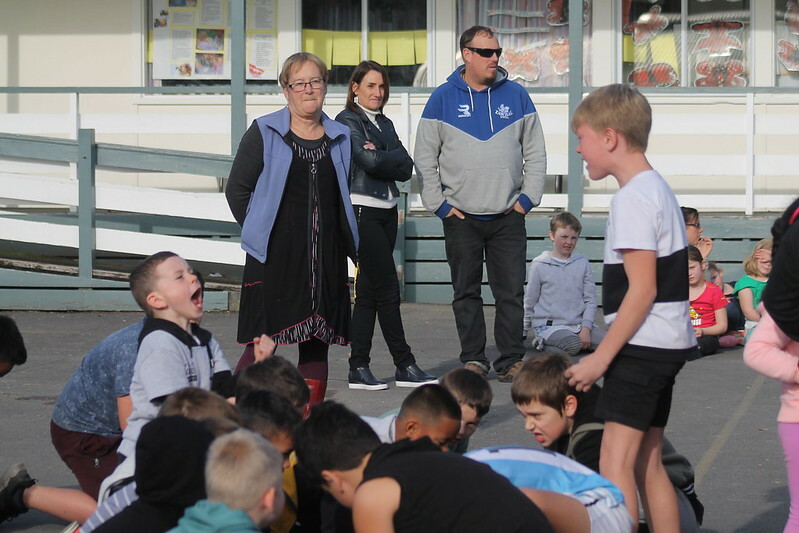 Then Mr Whiteman asked for a whole school Haka, loud enough to lift a few roofs in Stokes Valley. 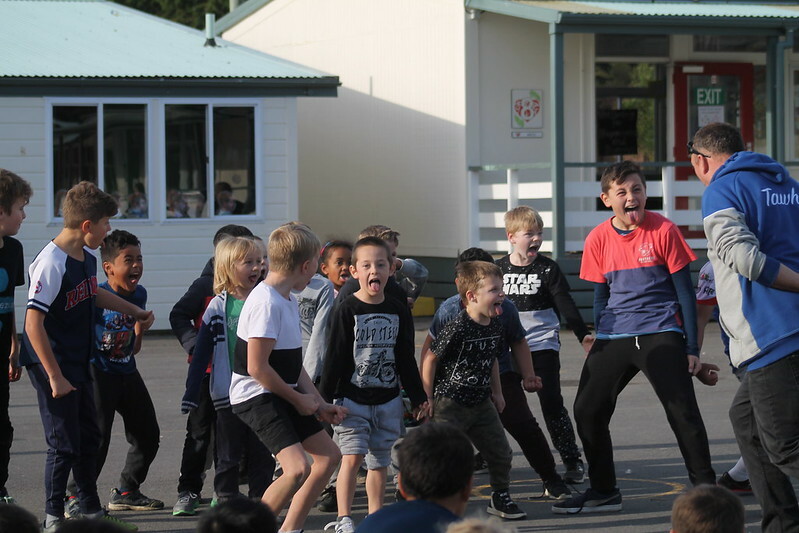 What an amazing and out of this world experience! 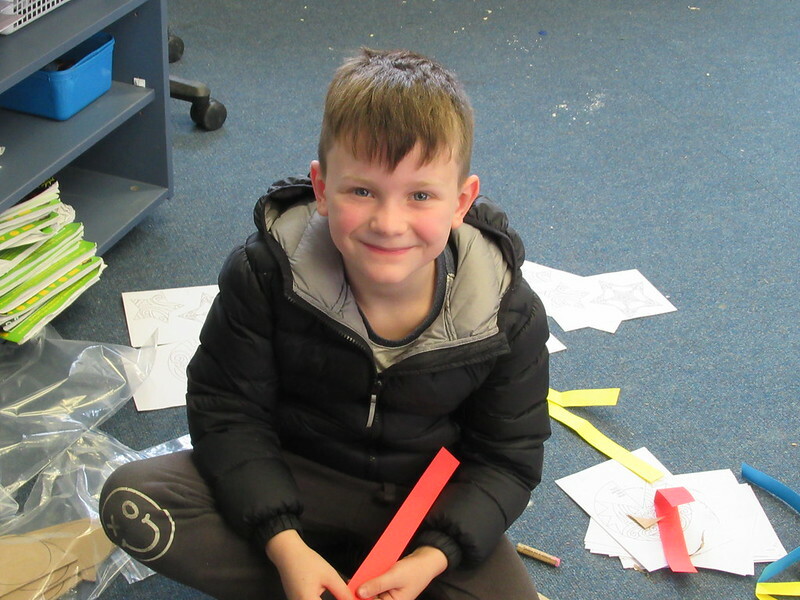 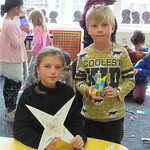 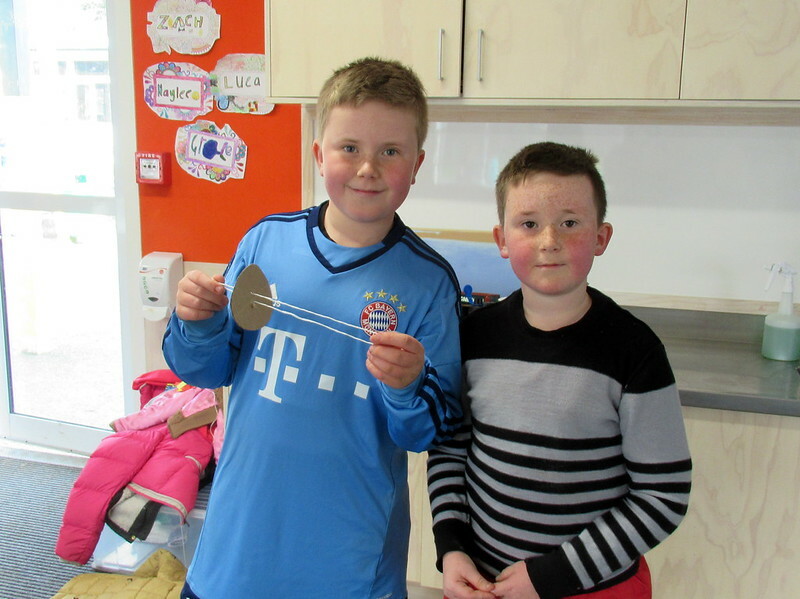 A HUGE THANK YOU to Mr Whiteman and Mr Pearce for organising the breakfast and to Mrs Dorgan for putting together all the craft making activities. 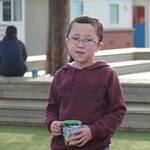 Also a big THANK YOU to all the parents who came to help out, Gavin, Adele, Karen, Angela, Donna, Gemma and Catherine. 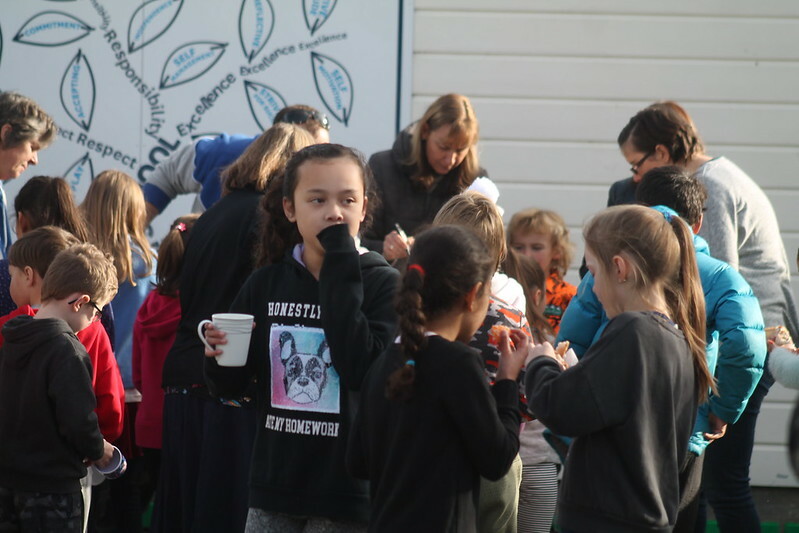 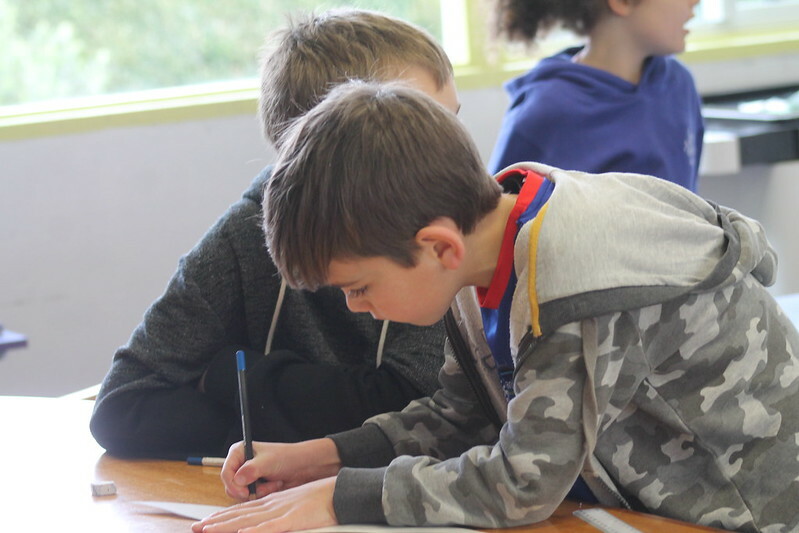 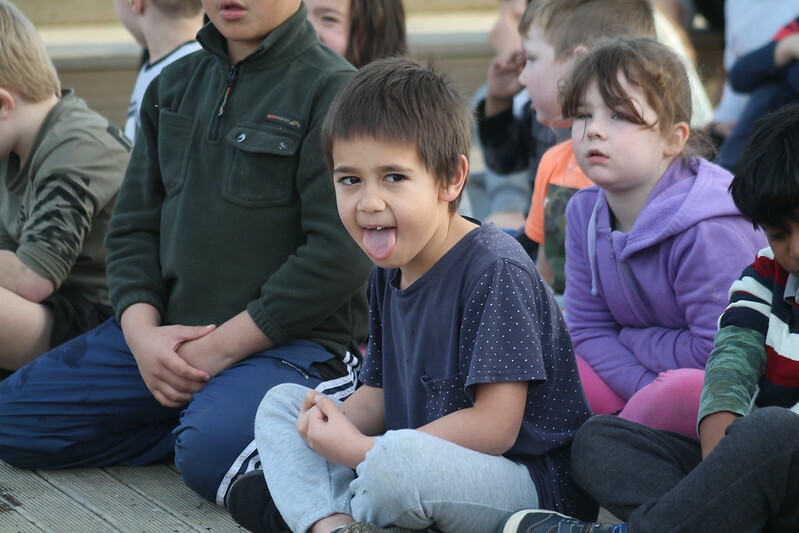 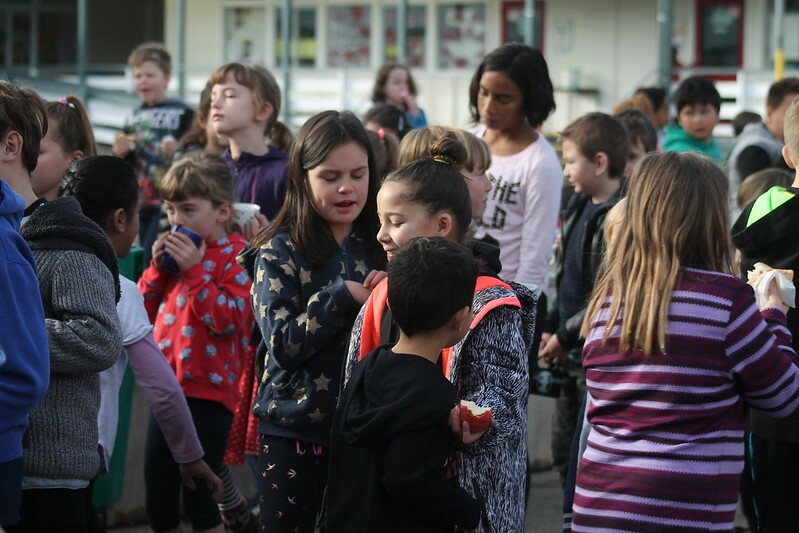 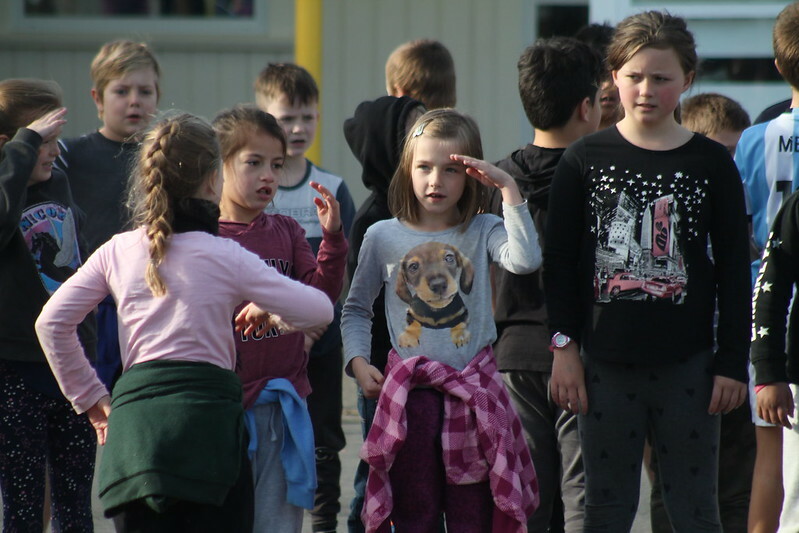 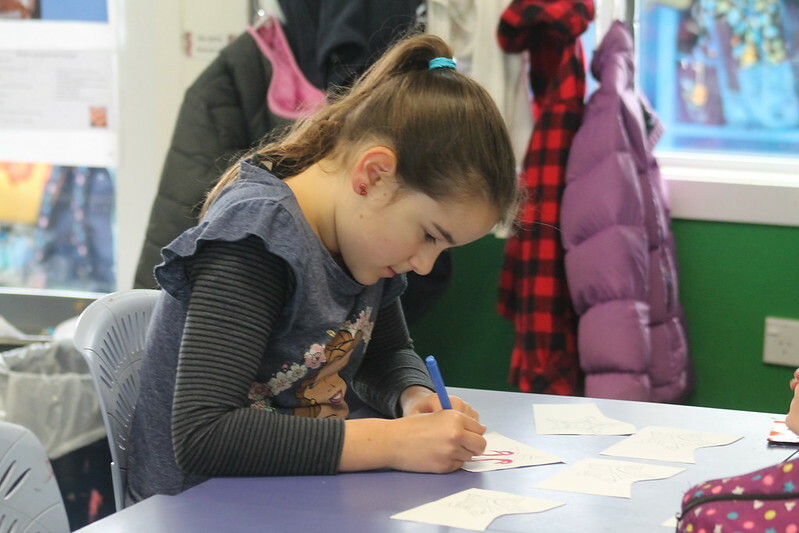 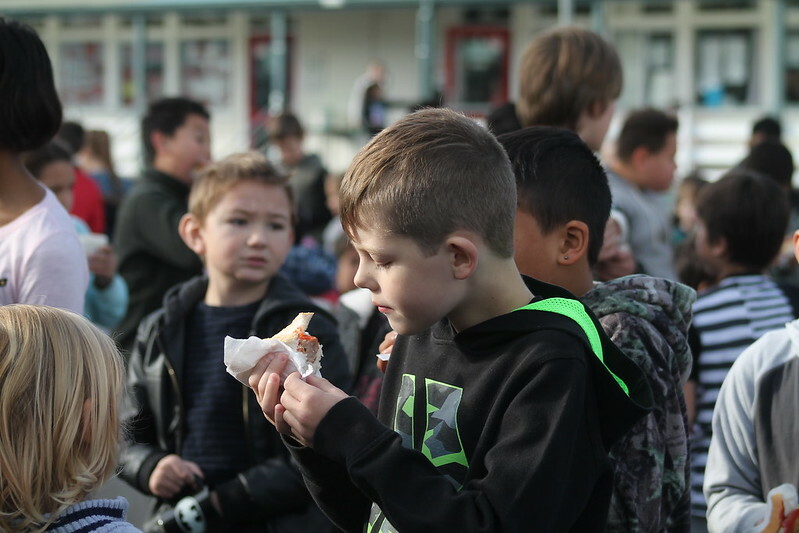 Lastly, we would like to acknowledge Stokes Valley New World and Pak n Save Upper Hutt for their generous contributions towards the Matariki celebration breakfast.